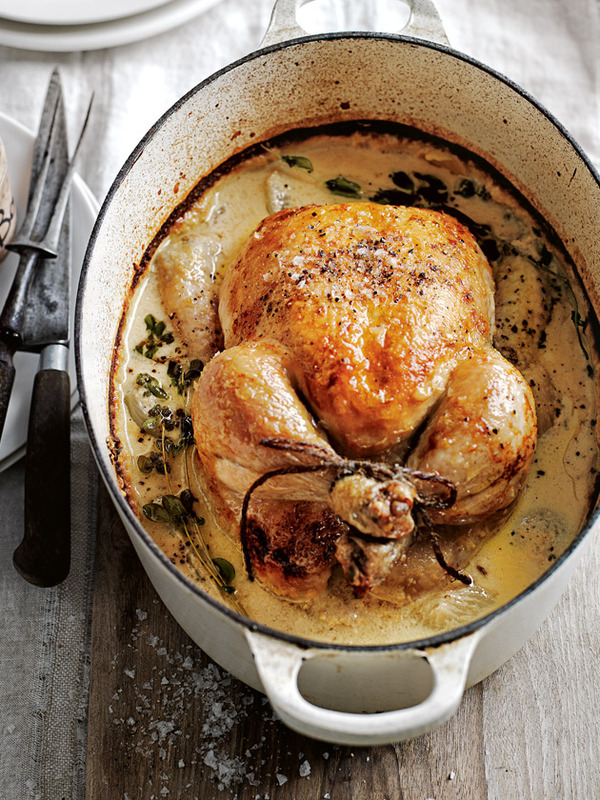 There are few things as universally comforting as the magical Sunday roast! 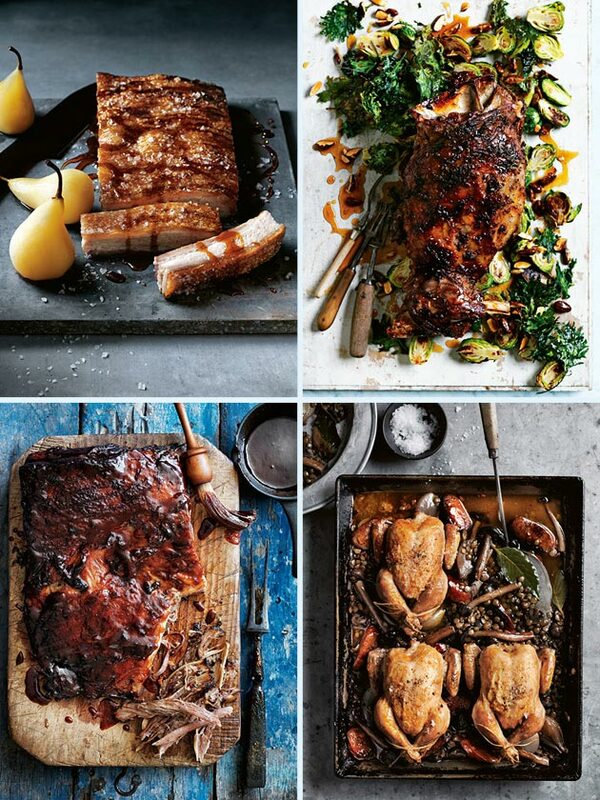 From a simple but succulent chicken to a statement standing rib here are some of our favourites. 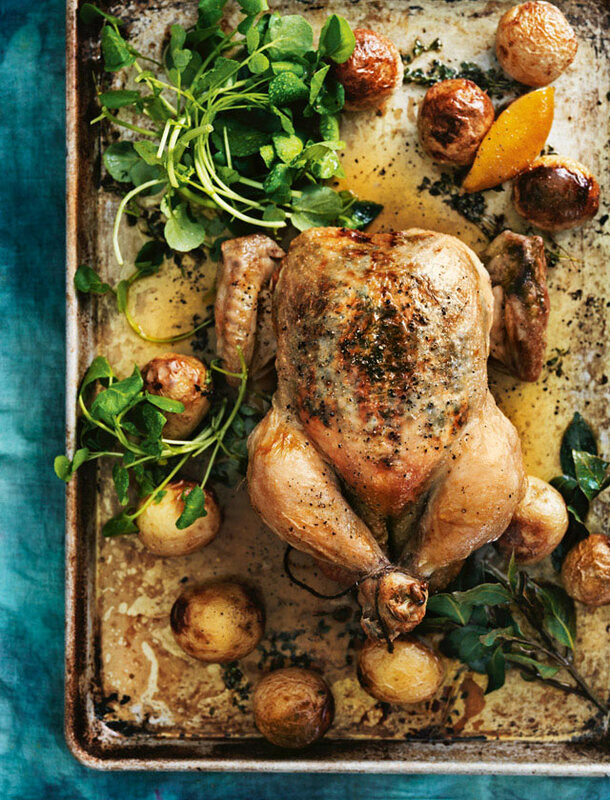 Nostalgia at its best, this succulent lemon thyme roasted chicken is the essence of home-cooking. 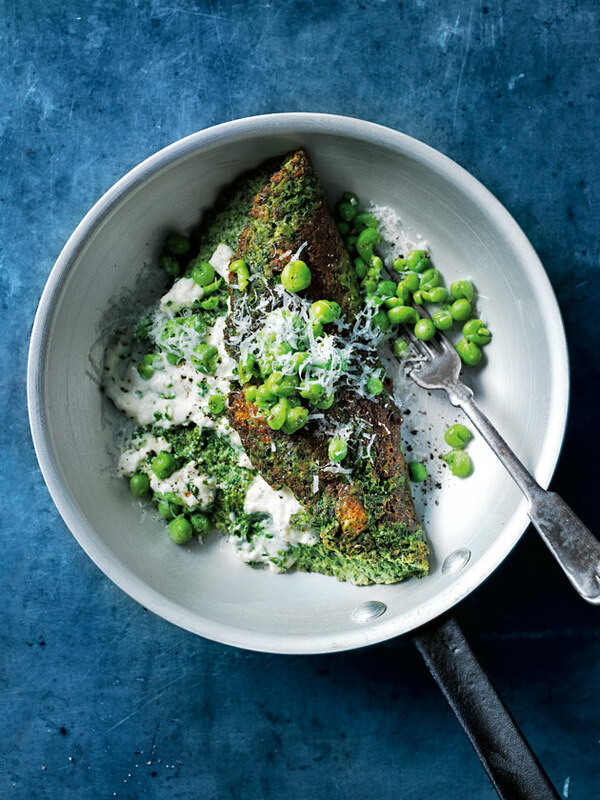 This is one of those forever recipes we’ll never get enough of. Make a statement with this impressive standing rib roast. 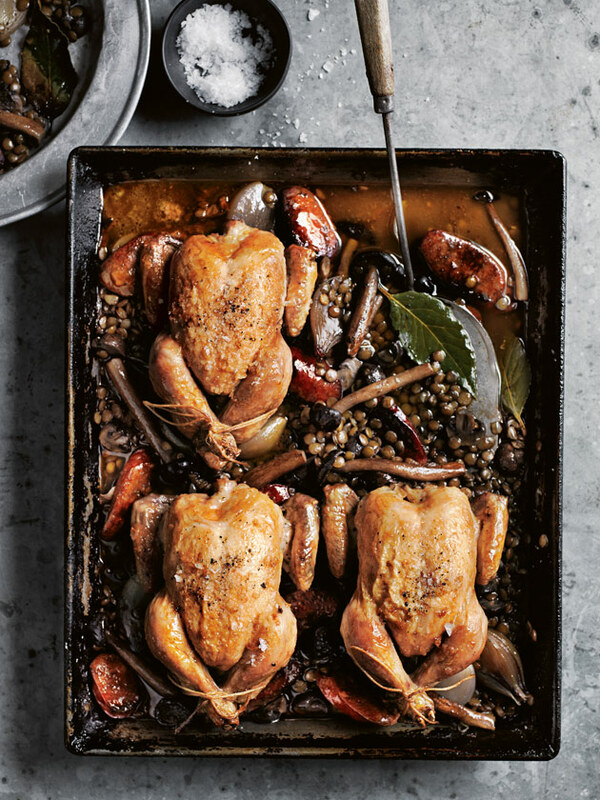 Brought to life with a variety of mushrooms, chicken stock, vincotto, garlic, eschallots and lentils. 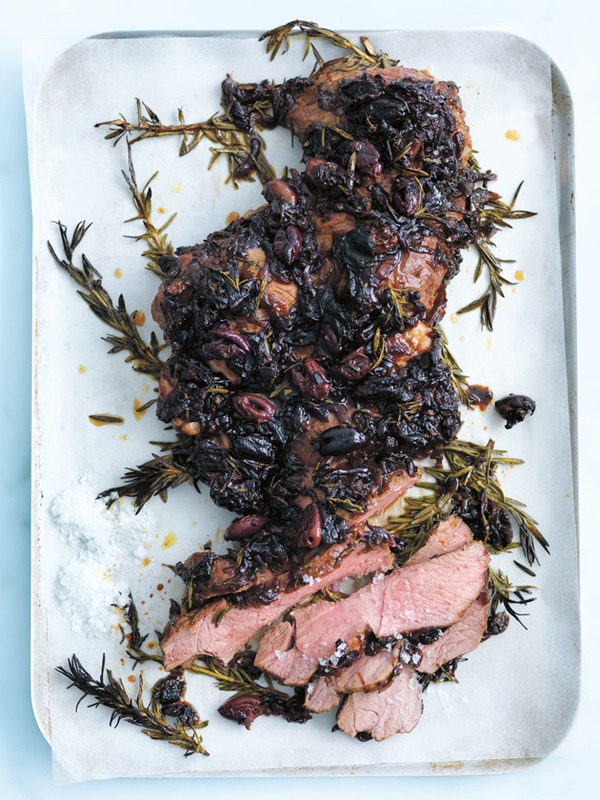 A dreamy Mediterranean adaptation of lamb roasted in a generous lathering of caramelised onion relish, olives, anchovy fillets and rosemary – so divine! 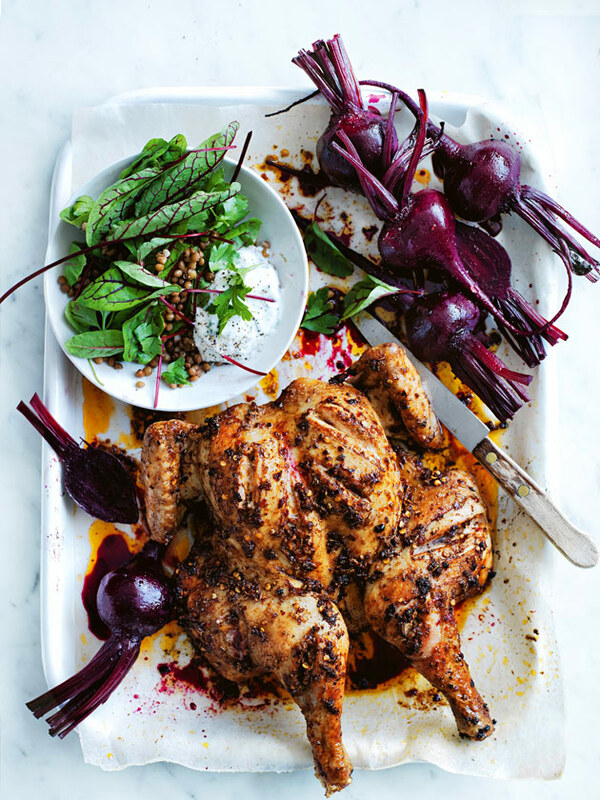 Give your classic roast chicken a middle eastern twist with the addition of warming spices like fennel, chilli and paprika. 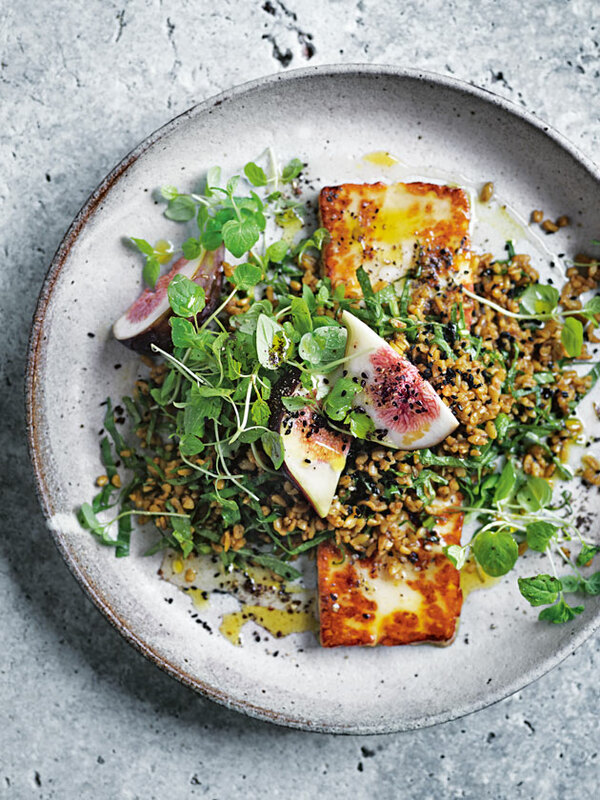 Serve with beetroot, lentils and zingy herbed yoghurt. 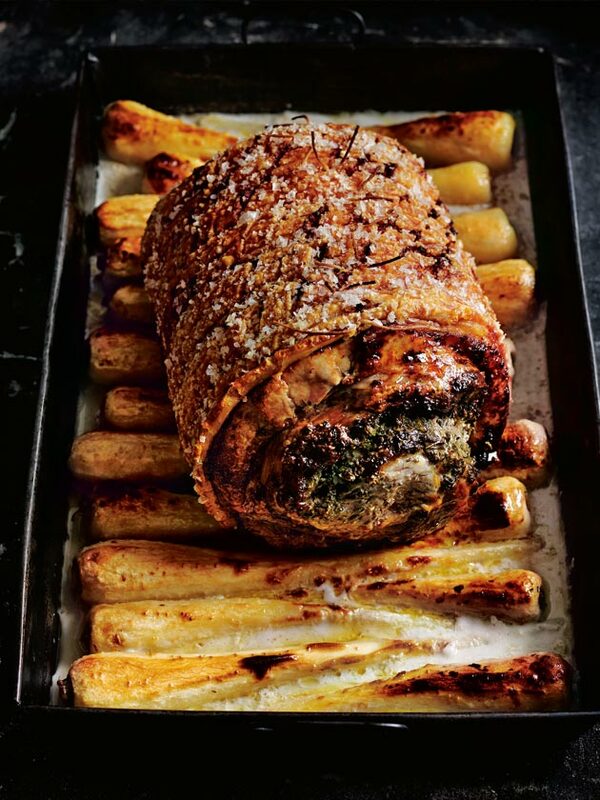 This garlic-y, fennel-y, crispy porchetta is your weekend cooking project sorted. 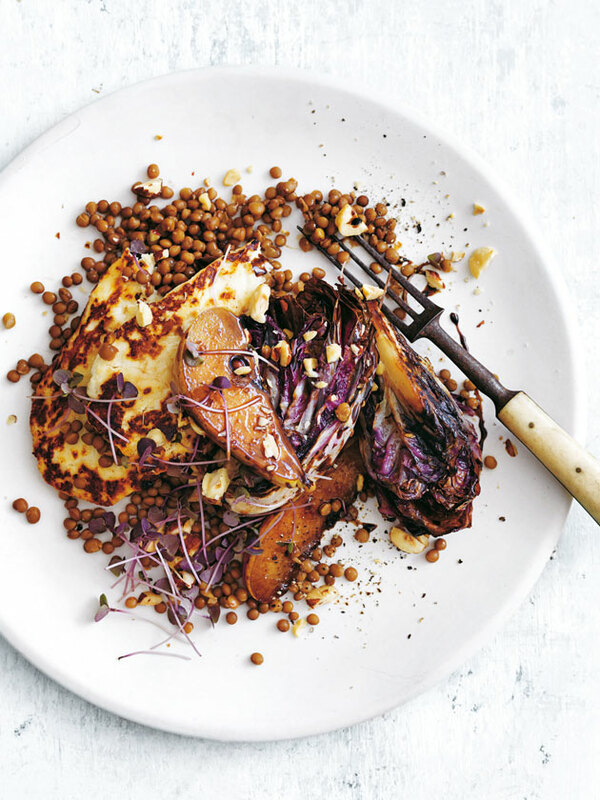 Roast it on a bed of almond milk drenched parsnips and you’ve got heaven on a roasting tray. A quality cut of boneless beef rib eye takes centre stage in this recipe. Dressed with a classic combination of mustard seeds, thyme, olive oil and salt and pepper. 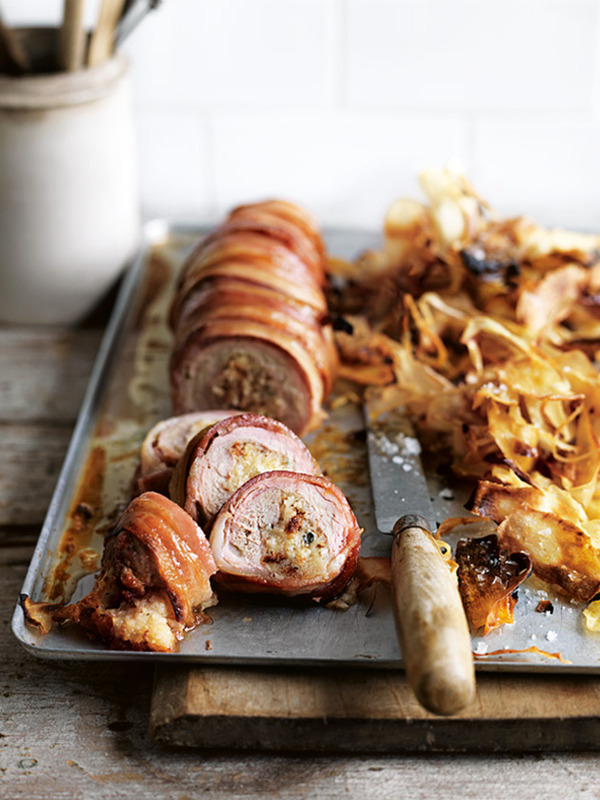 The perfect pairing of creamy blue cheese and streaky bacon transforms a simple pork fillet seriously delicious! 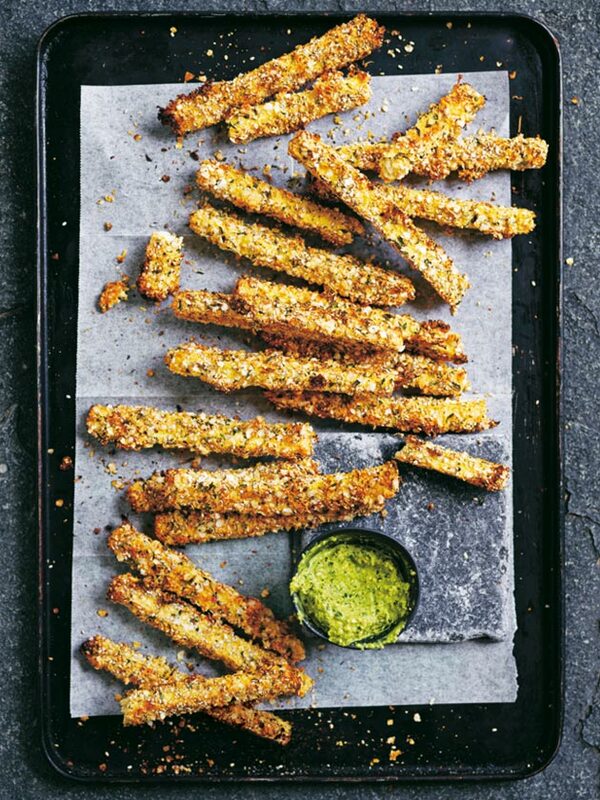 And don't miss the clever, crispy parsnip chips on the side. Time on your side? This one's worth the wait. 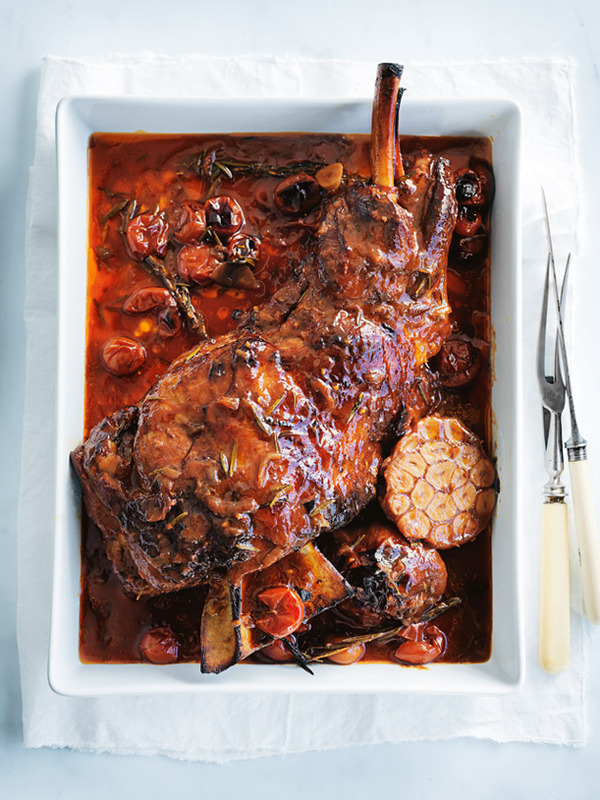 Red wine, cherry tomatoes, onion relish and olive oil lend depth and a rich flavour to this slow-roasted lamb shoulder. 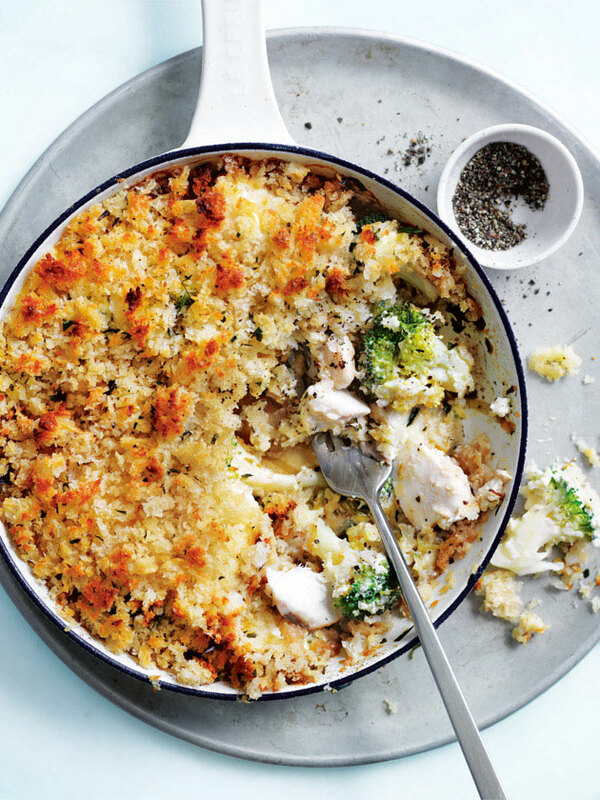 It's simple, it's quick and it's all in one pan. This butterflied chicken rests on sliced lemons, gently infusing the meat as it cooks. 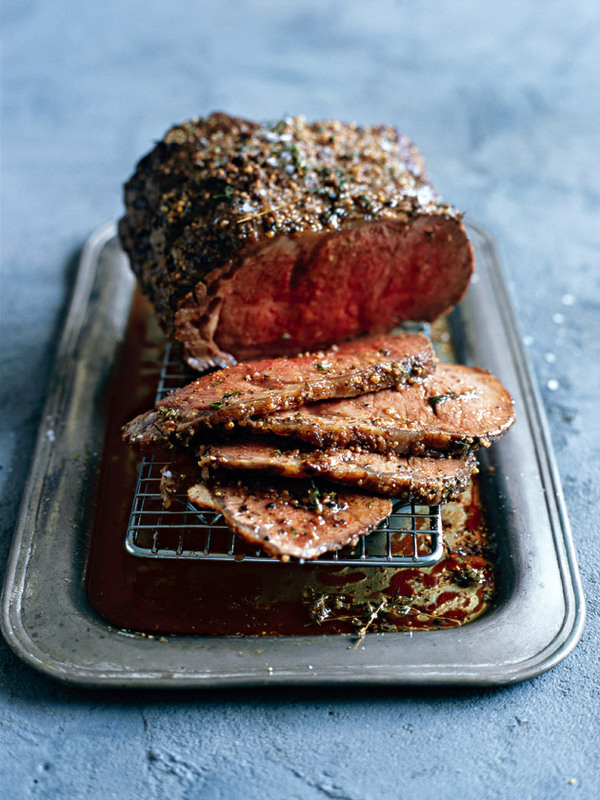 Perfect for a quick Sunday roast, or a mid-week staple. 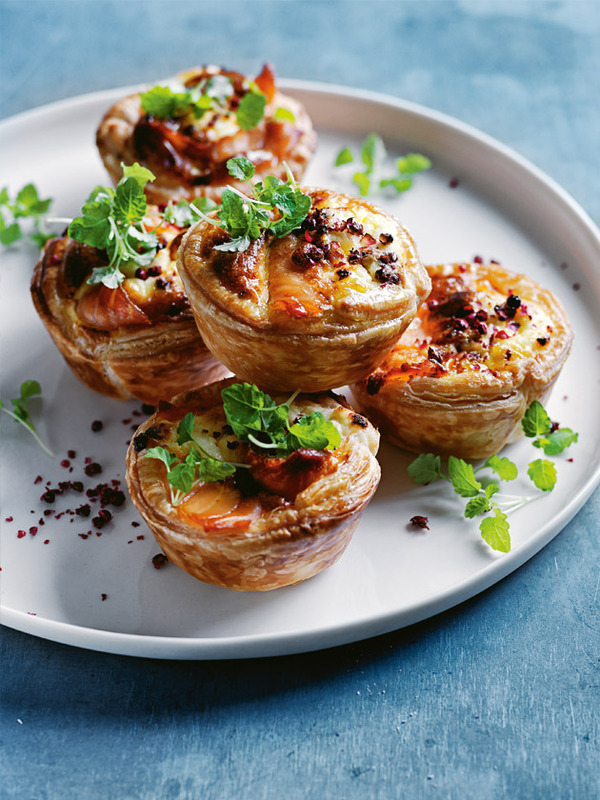 ​Whether it be a simple family gathering or New Year’s festivities - here are some of our favourite snacks to bring and share. 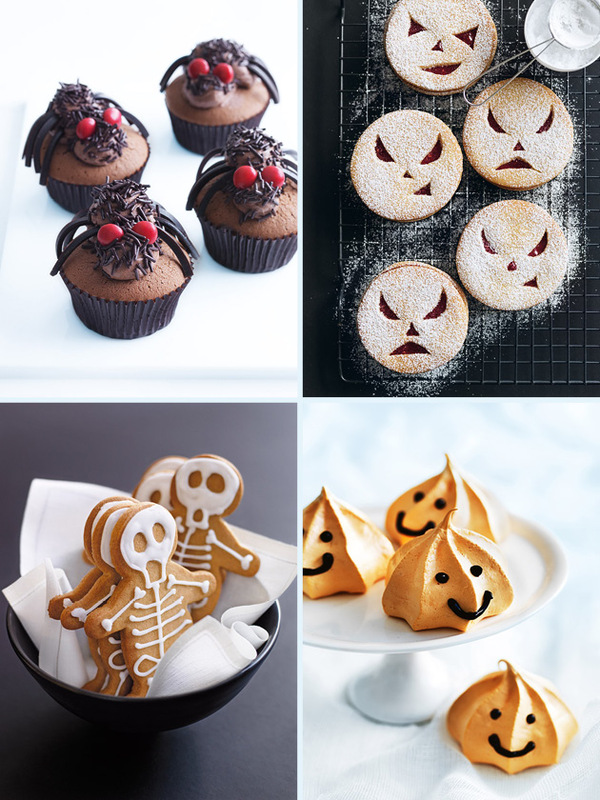 ​It's that time of year... when ghosts and goblins come out to play! 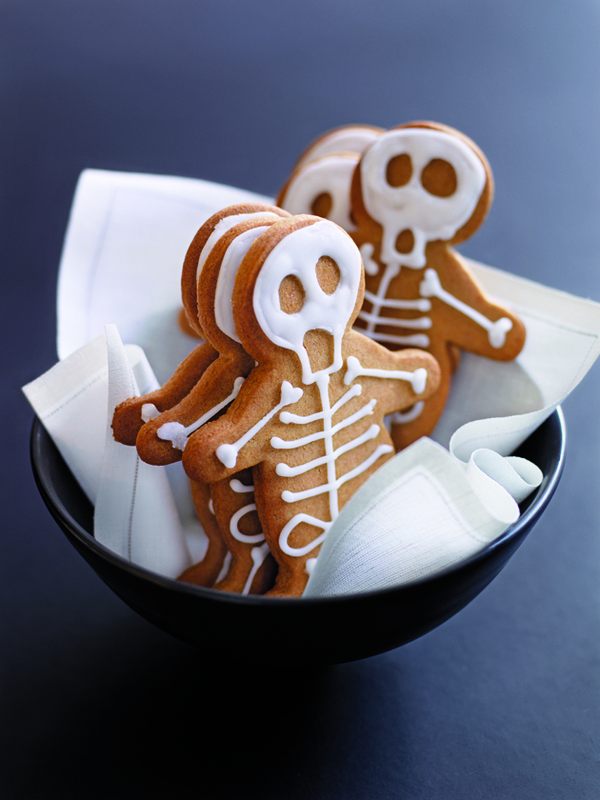 And of course they'll need some treats that are fun, tasty and a little bit spooky! Here are our favourites for inspiration. Click the pics for the recipes. Who knew an ice-cream cone could look so sinister? 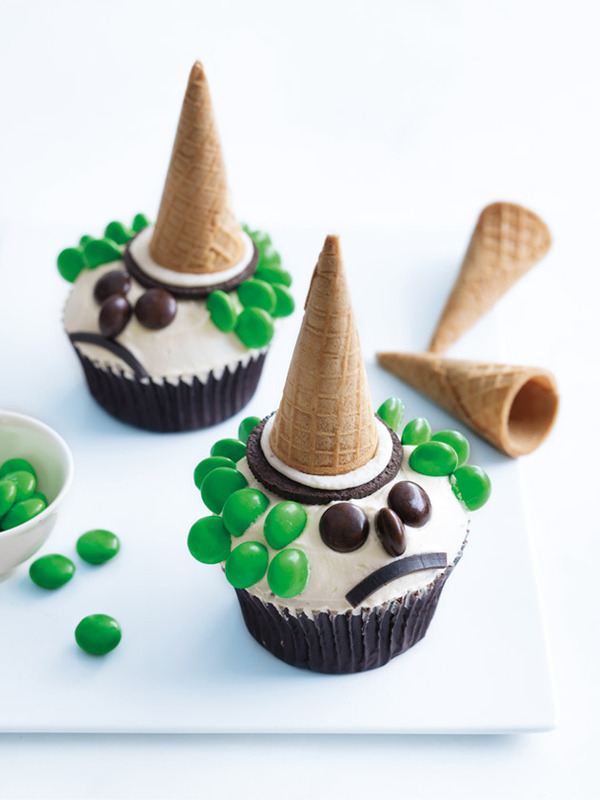 With just a few simple additions, you can transform a cupcake into a witch with some serious attitude. Look out! 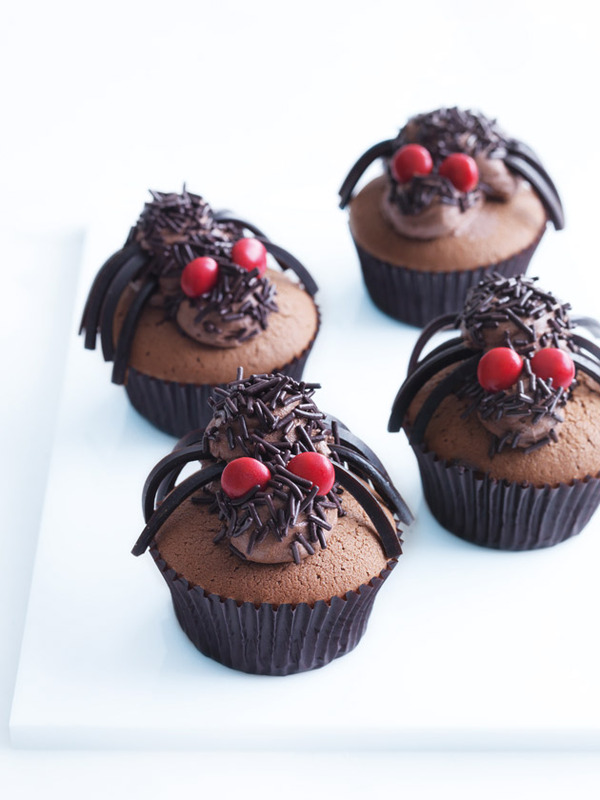 Pipe two carefully-placed mounds of chocolate icing, add eight licorice legs and a few sprinkles and these seemingly innocent chocolate cupcakes will suddenly make your skin crawl! 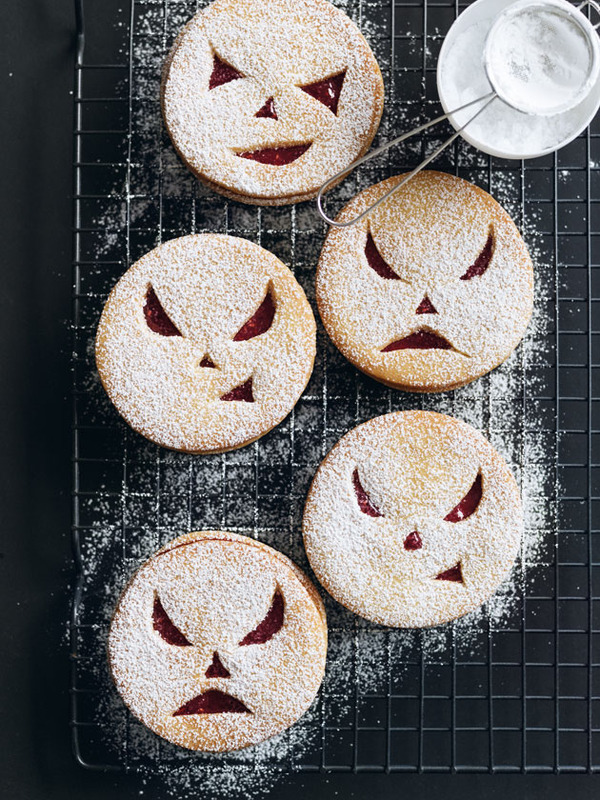 Put your pumpkin-carving skills to good use and create some wonderfully wicked faces for these jam cookies. 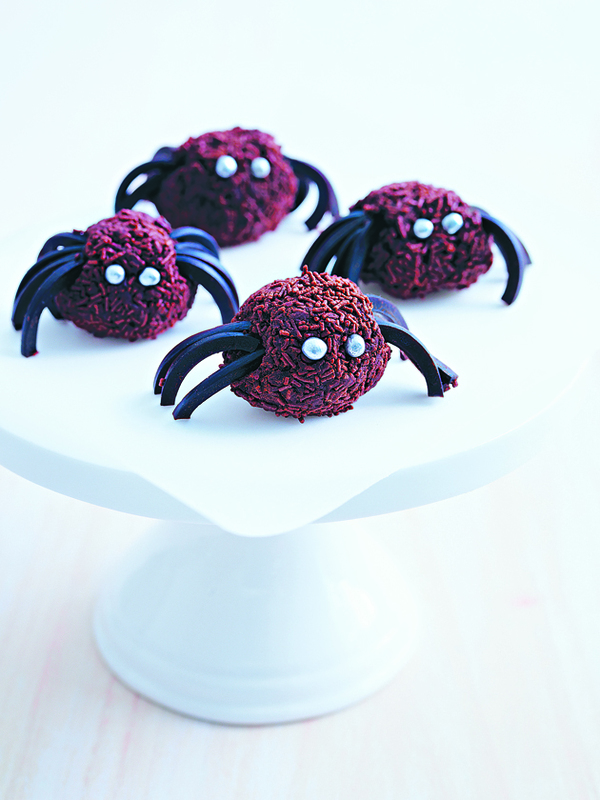 We know these huge hairy spiders are actually mini chocolate truffles in disguise. But don't tell your guests! No sugar-dusted cottage for this guy... he's the gingerbread of Spooksville! But he's super tasty and you can make him a few days in advance of your fright-night. Don't like pumpkin? No problem. 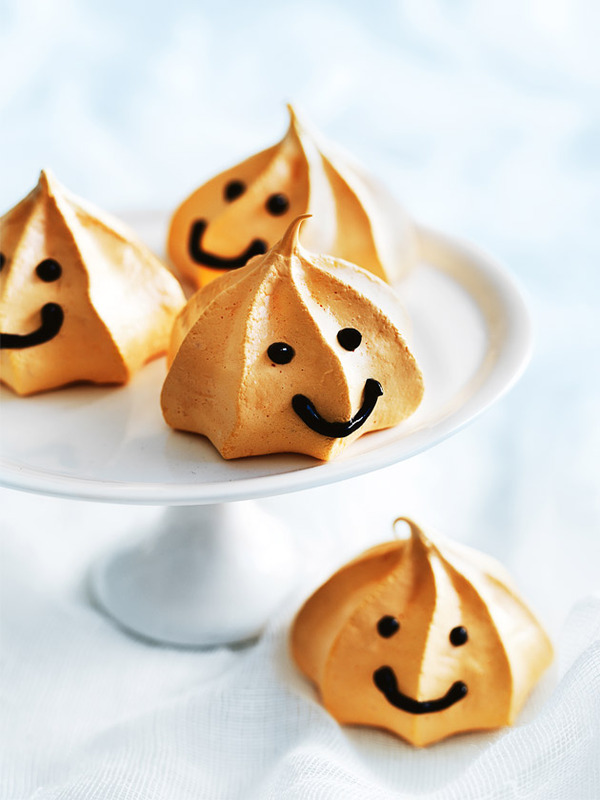 A few drops of food colouring and these sweet little meringues morph into Jack-o-lanterns! 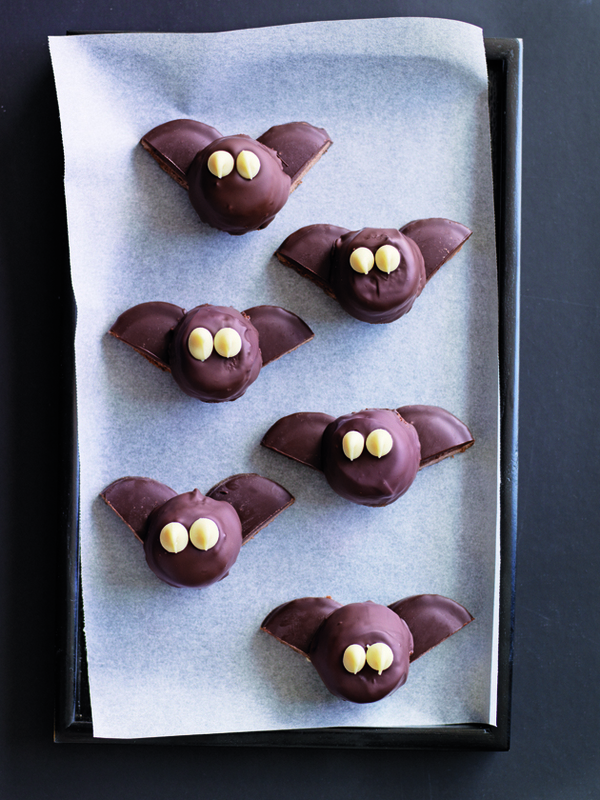 The kids will love making these little no-bake marshmallow bats, they are super simple and will literally fly off the plate! 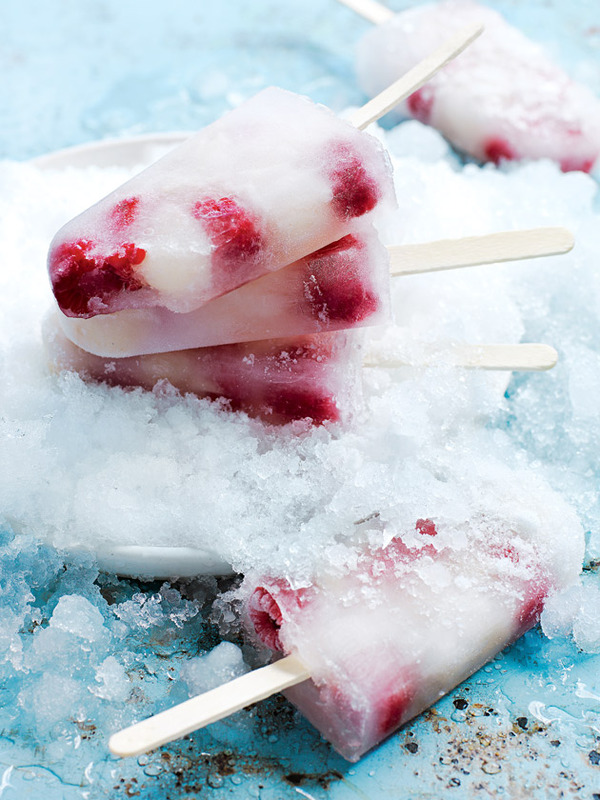 ​During the summer months, make the most of the beautiful, sweet jewel-like berries that are in season. 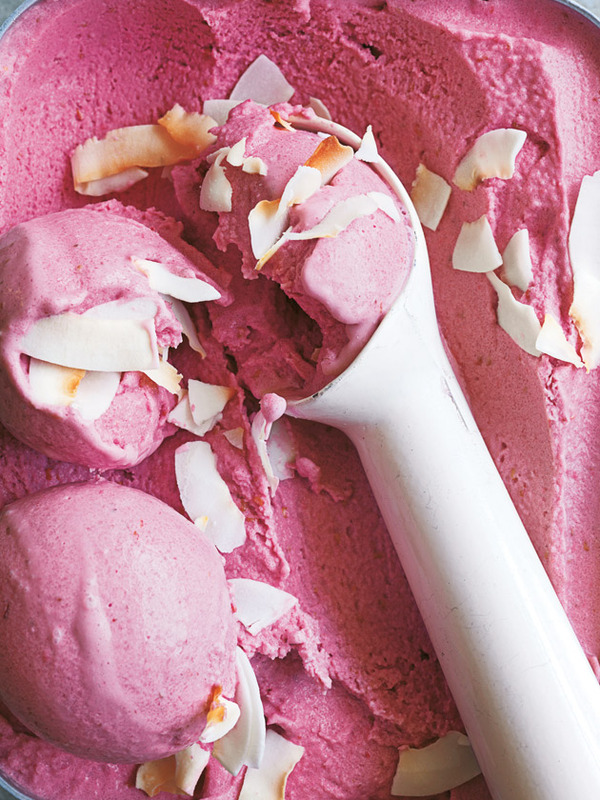 Here are four gorgeous berry recipes, all fit for a queen (and her king!). 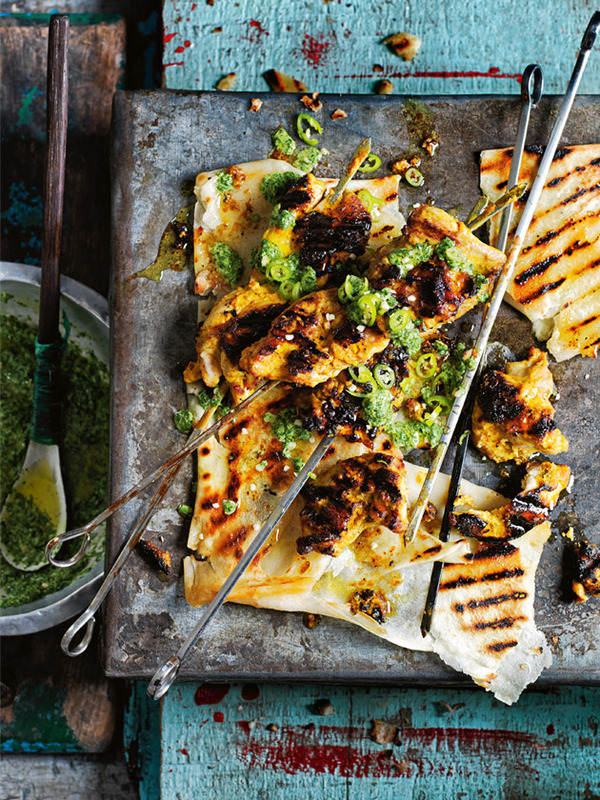 Summer holidays call for lots of barbecue action and this year we plan to up the ante! 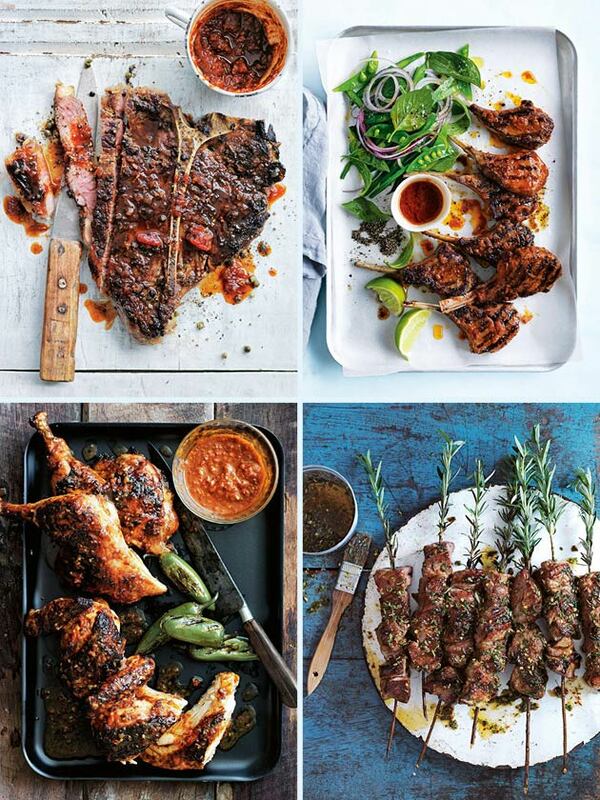 So fire up the grill - we’ve collected a few of our best-ever barbecue mains - just click on each image for the recipe. 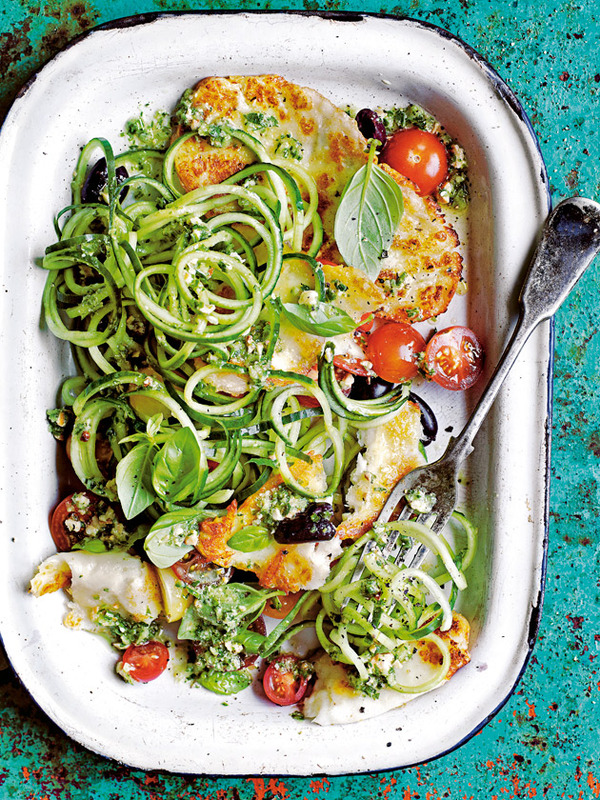 From Italian braised beans to roast tomato and haloumi lasagne - your meat-free Monday wish list will last all week! 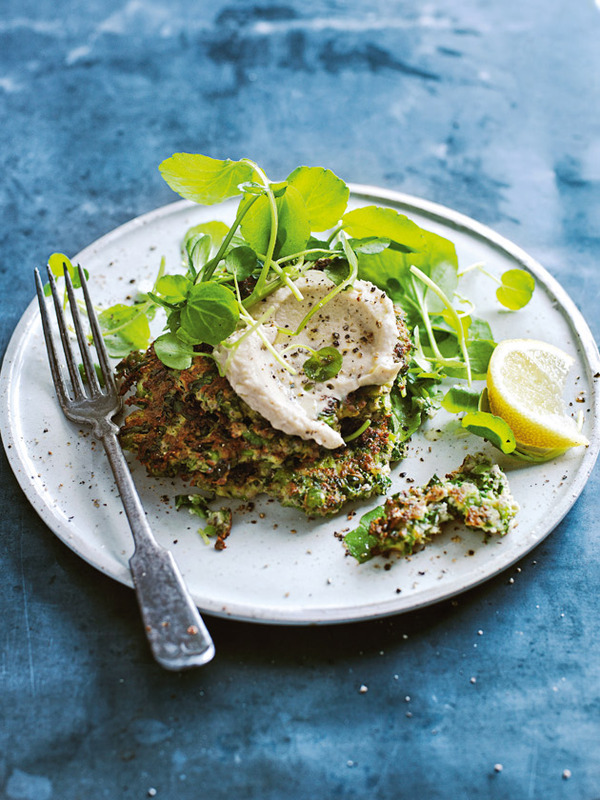 Packed with wholesome ingredients, these fritters make for a sensational savoury snack or delicious breakfast. 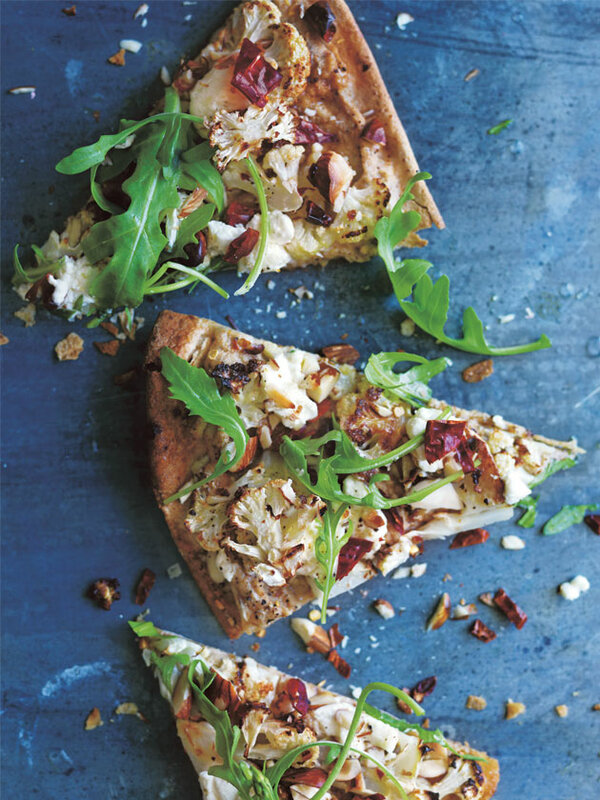 Topped with roasted cauliflower, feta and fresh rocket, this nourishing pizza will keep them coming back for more. 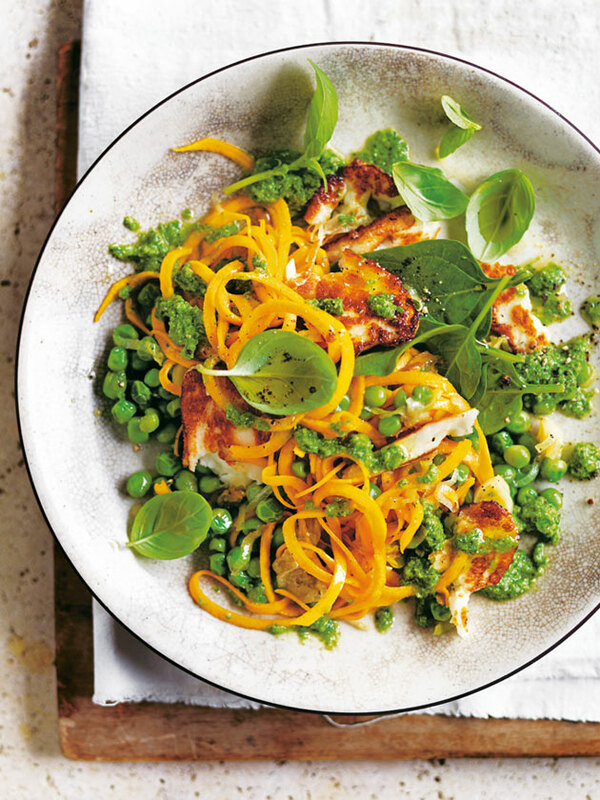 For a better-for-you take on a classic pasta, look to pumpkin for an easy, healthy and delicious substitute. 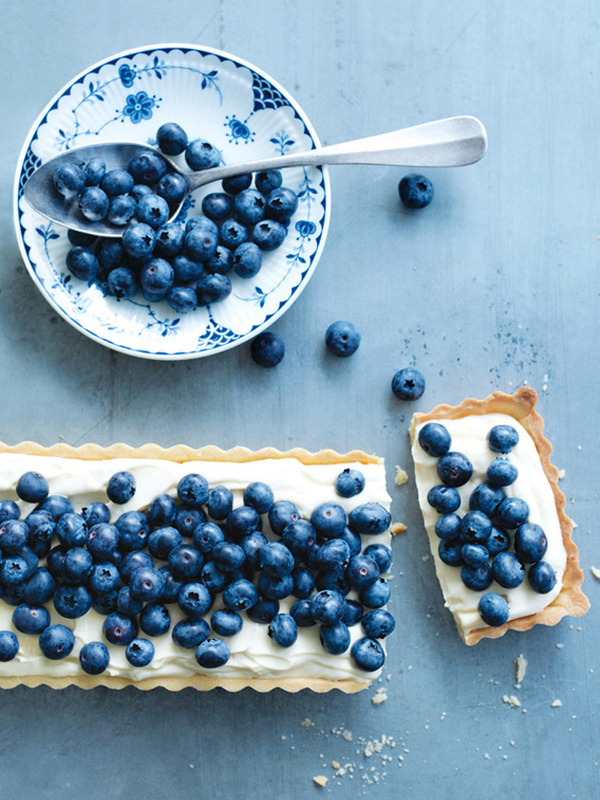 Cheat sheet - swap out the pastry base for a healthy twist. 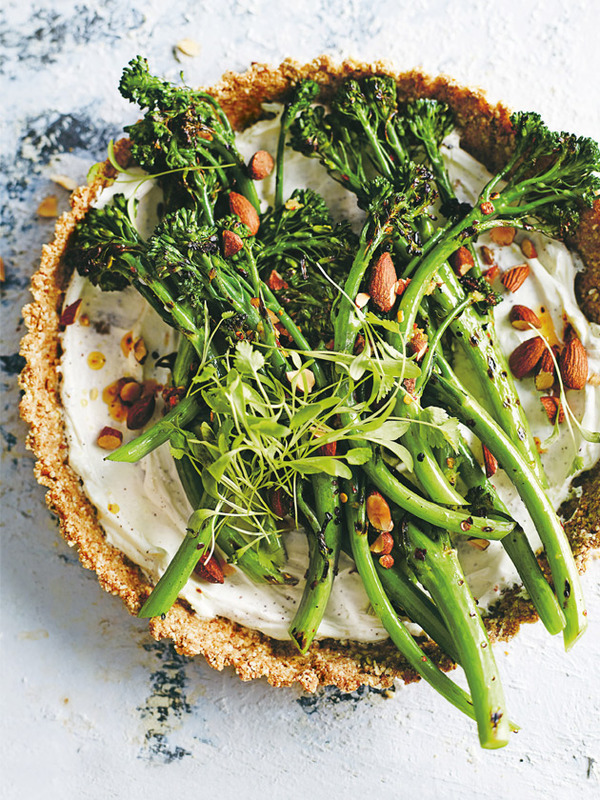 Try this delicious savoury tart with a crushed almond base. 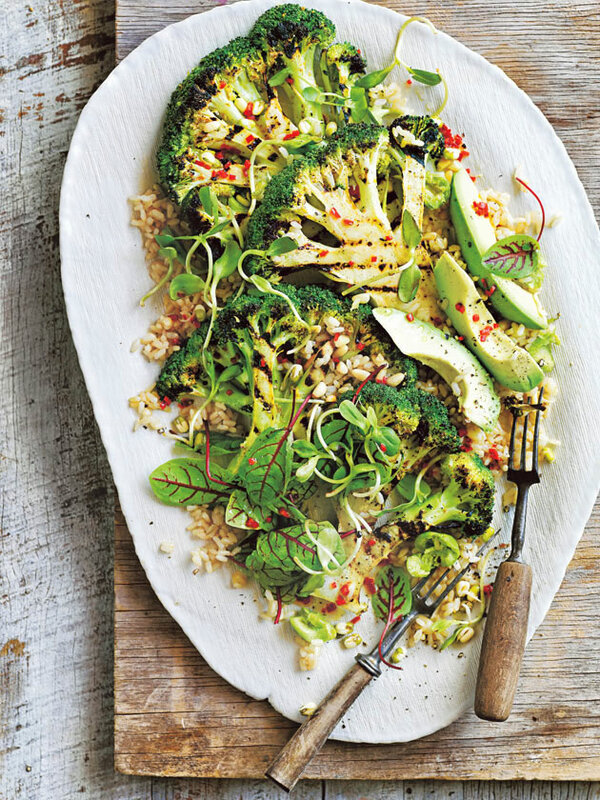 For a nourishing weeknight dish, this brown rice salad is perfect as a light main or a tasty side. It's even great for lunch the next day! 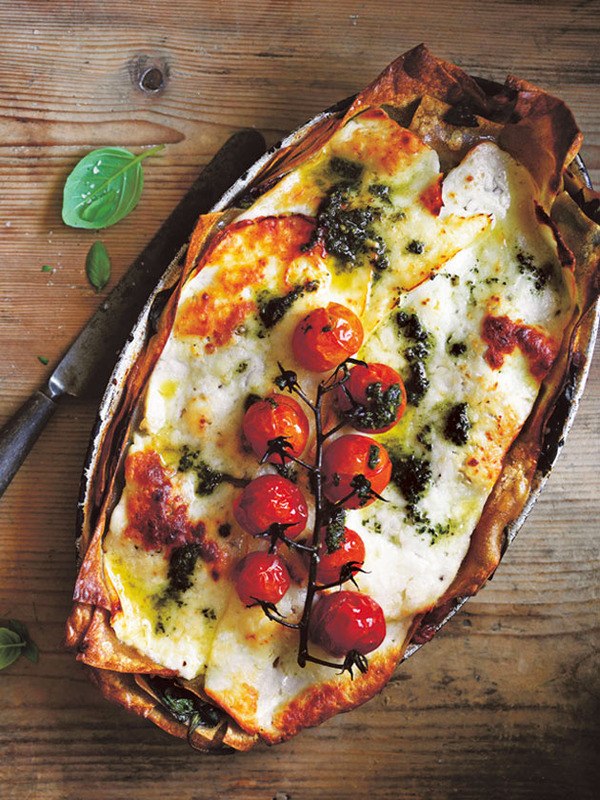 Transform your traditional lasagne with our comforting and crowd pleasing roast tomato, basil and haloumi version - so yum! 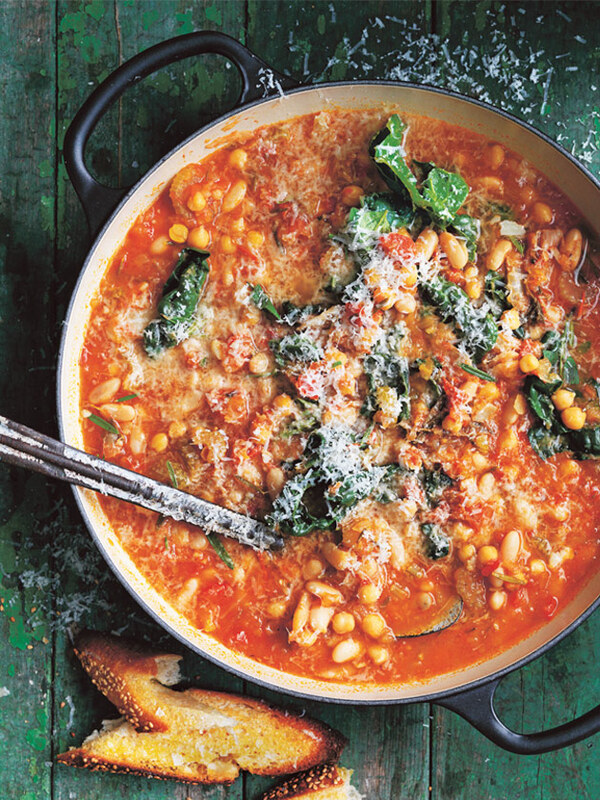 A hearty stew is the perfect way to pack in important proteins and this classic Italian braised bean dish does just that! 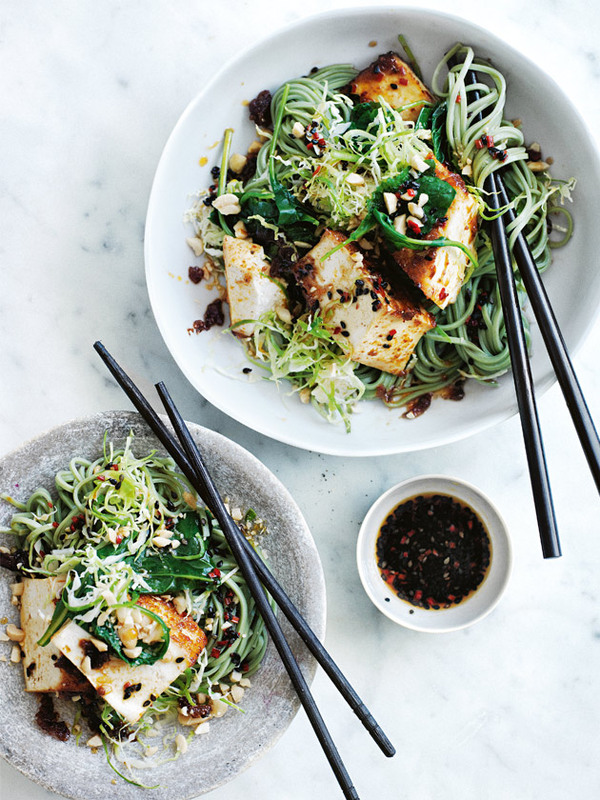 As delicious as they are glamorous - you'll find these chilli tofu and kale noodles on high rotation at your place very soon! 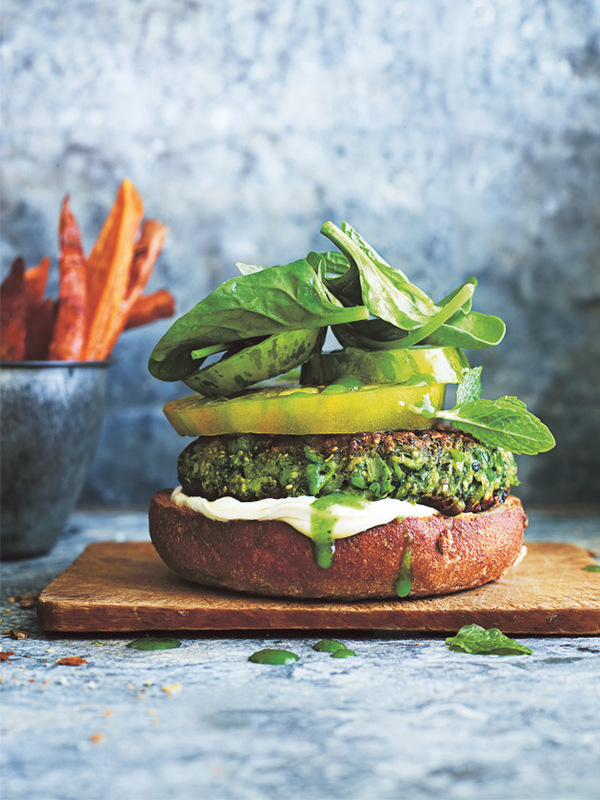 For a deluxe vegetarian burger, look no further than our supergreen with a side of sweet potato fries. 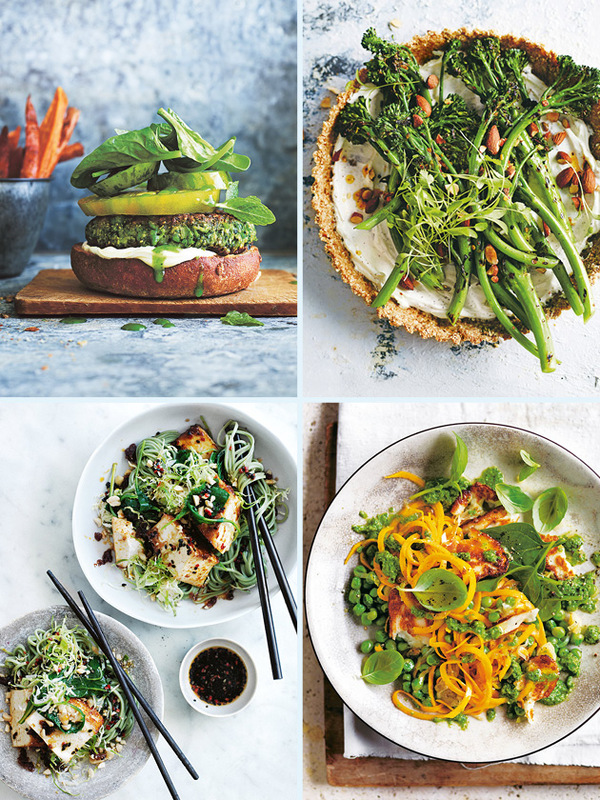 In need of inspirational vegetarian meal ideas? 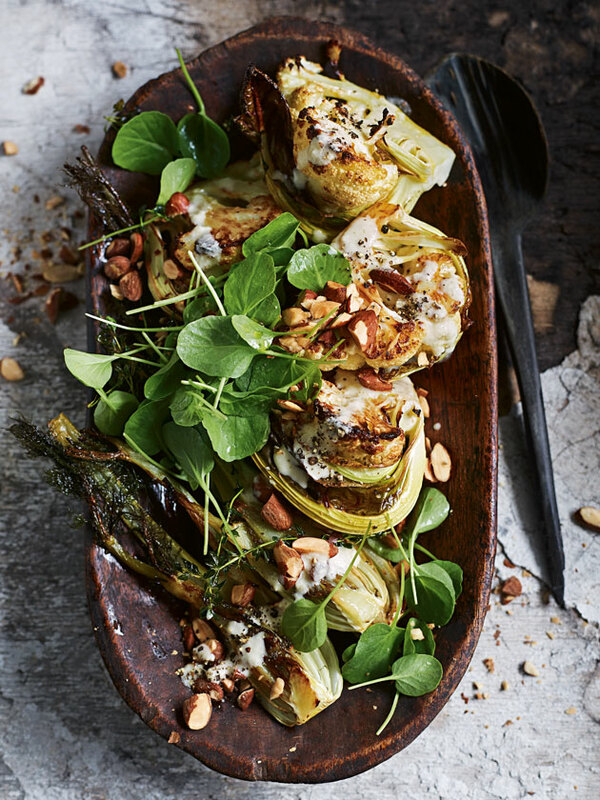 Make the most of the season’s fresh and natural produce with these impressively delicious veggie dishes - just click on the image for the recipe. 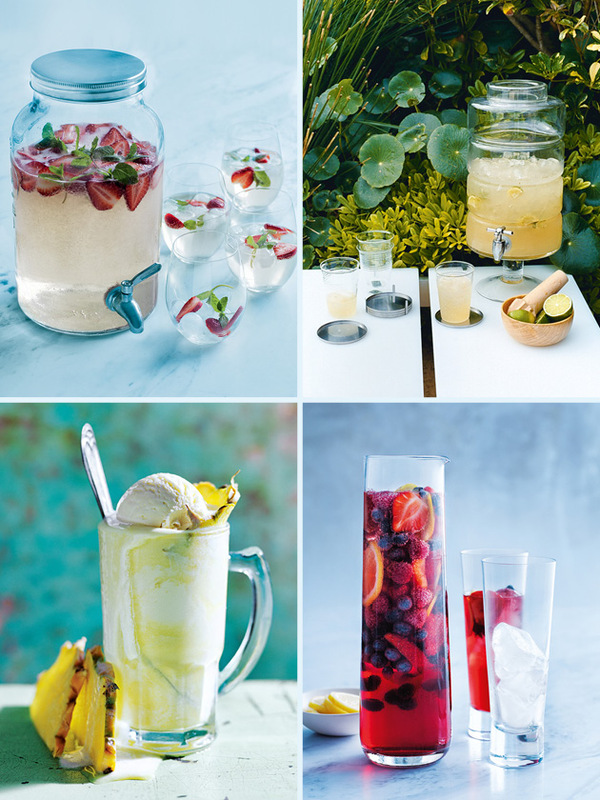 Whether you’re planning on entertaining or just spending the day by the pool, these beverages are perfect for the warmer days ahead. 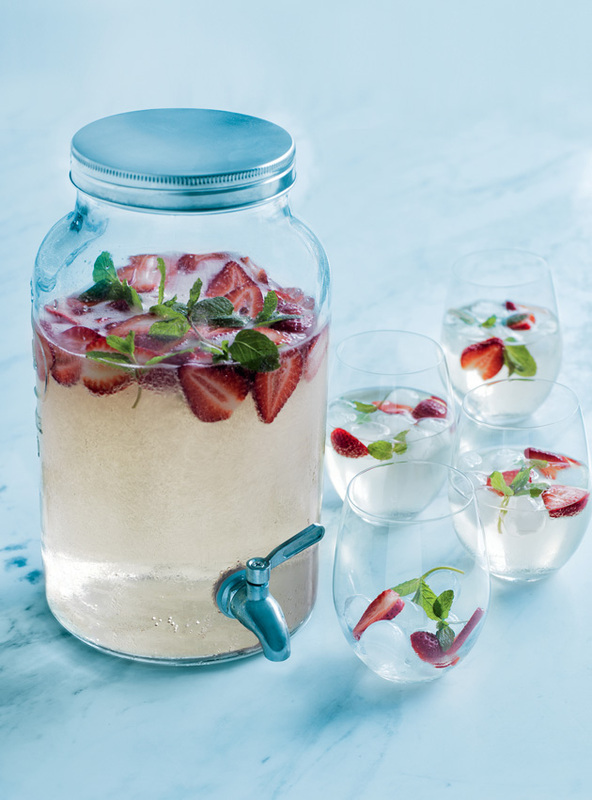 From the fresh strawberries floating in chilled pino gris to the sweet agave syrup, this spritz is the perfect summer refresher. 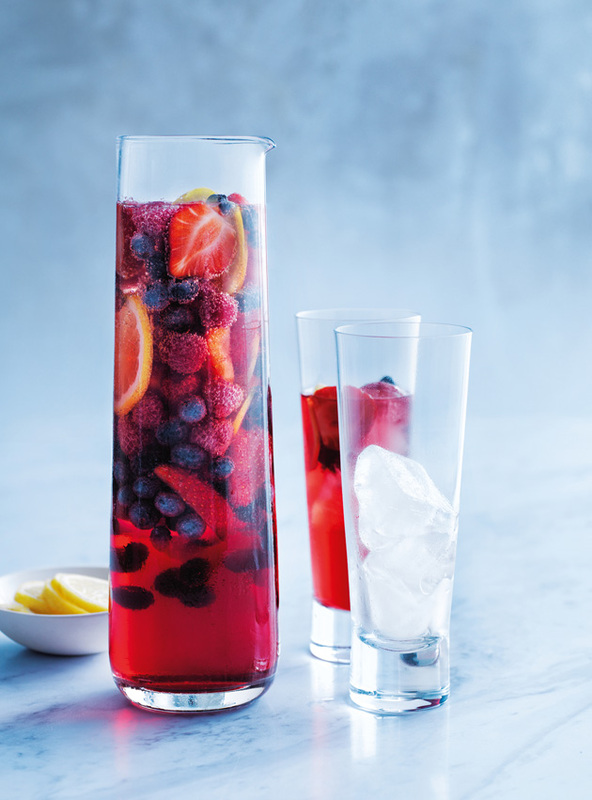 Packed with antioxidant-rich berries, this sweet thirst quencher will be sure to cool you down as the temperature rises. 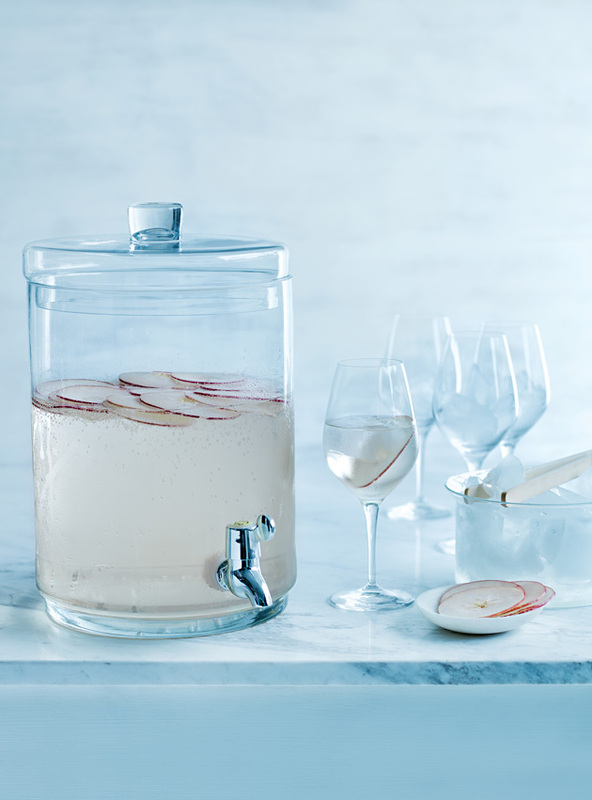 Summer calls for pool parties and pool parties call for this east coast cooler complete with chilled sauvignon blanc and sweet, juicy pick lady apples. 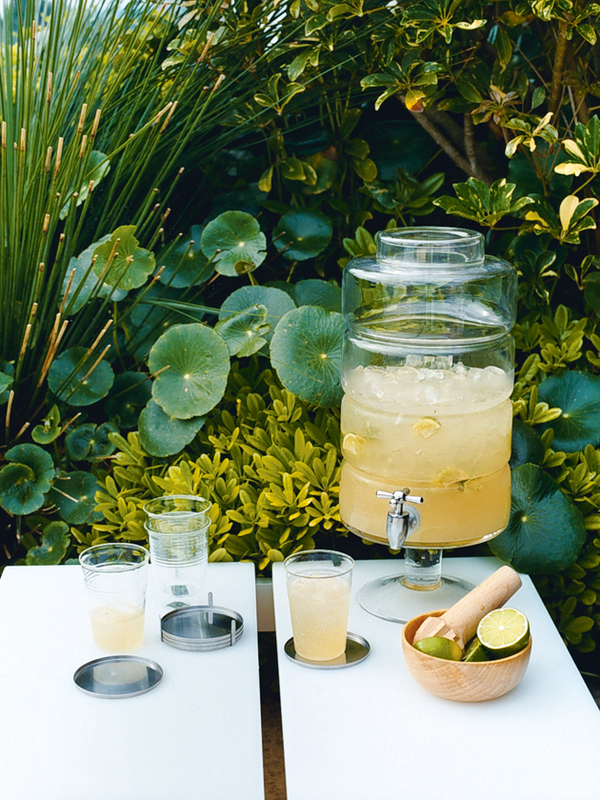 With the perfect combination of lime, vodka and ginger beer — this refreshing crush packs quite a mouthwatering punch. 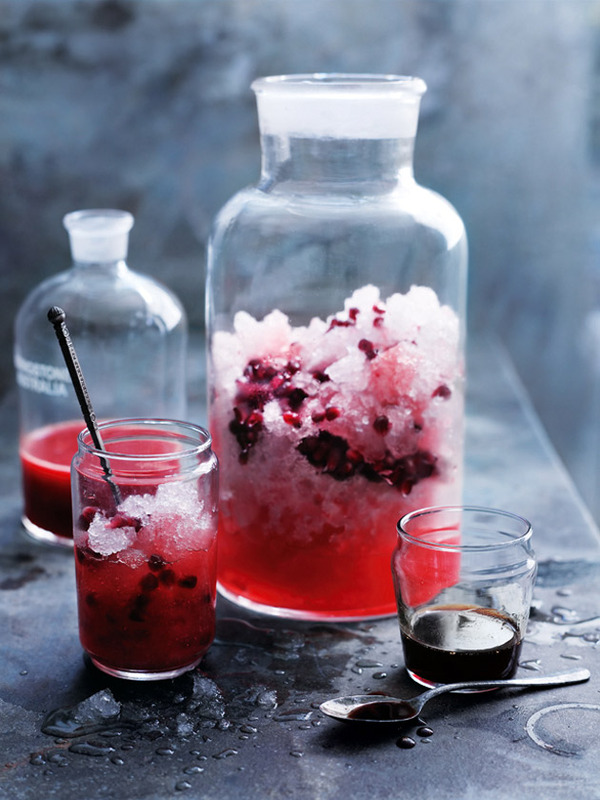 Why resort to store-bought syrups when you can make your own from scratch? 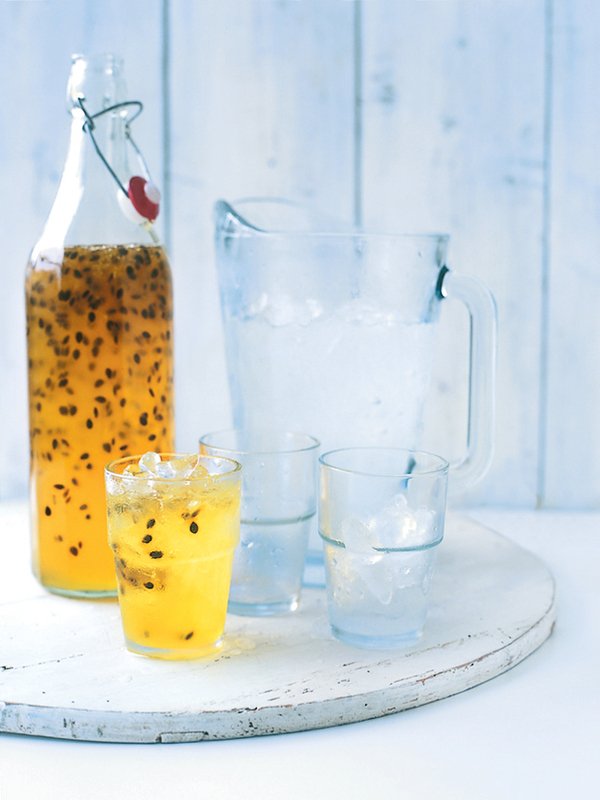 Both quick and easy to make, this passionfruit cordial is a sure-fire summer winner. 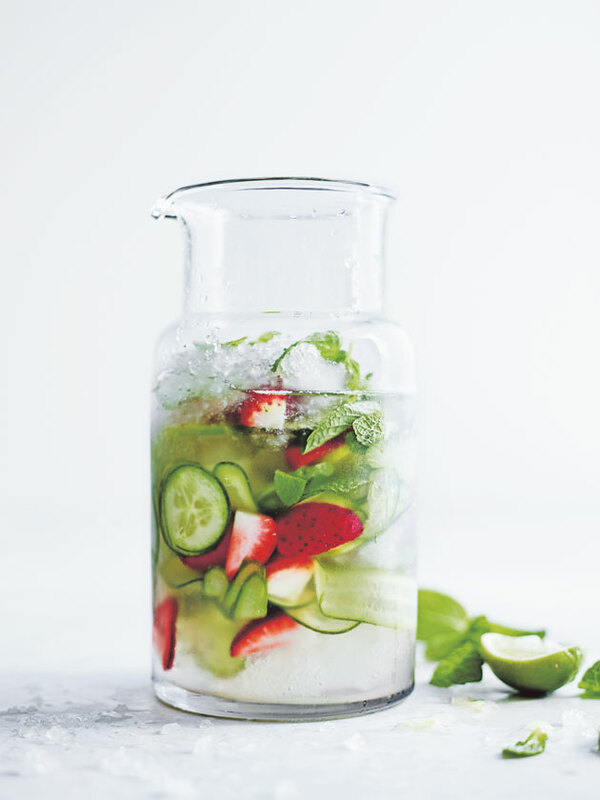 Refreshing and hydrating, this coconut cooler complete with cucumber and strawberries is a summer soiree staple. 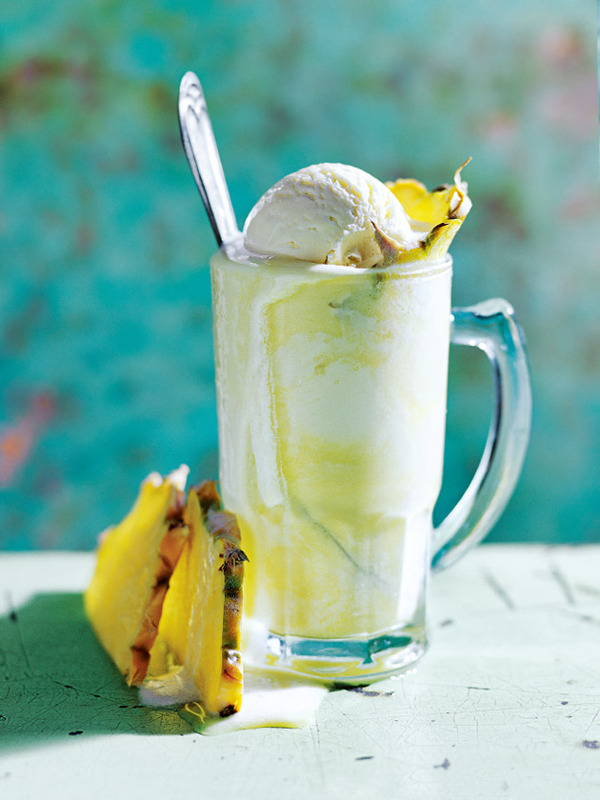 Whether you’re spoiling yourself or treating the kids with this delicious pineapple and ginger beer spider, it’s a thirst quencher the whole family will love. 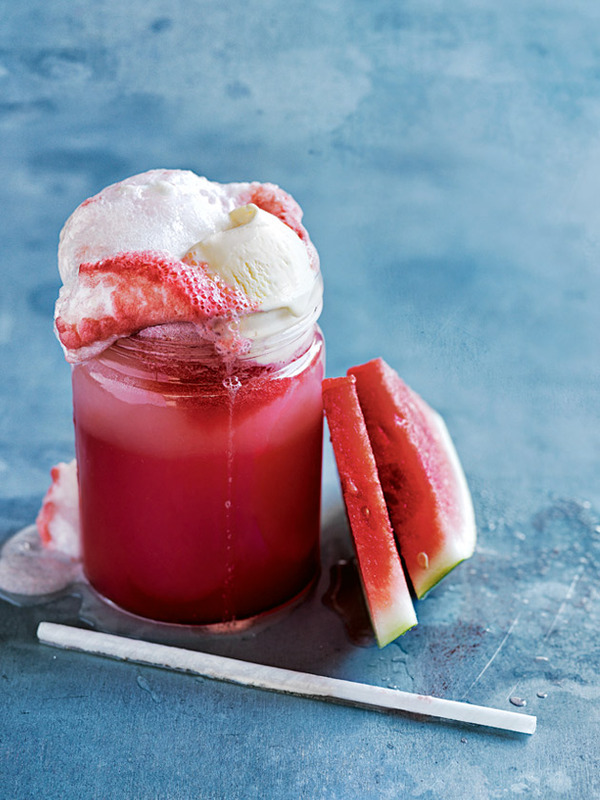 The ultimate afternoon treat on hot summer’s day, this refreshingly sweet watermelon and grapefruit float is pure heaven. 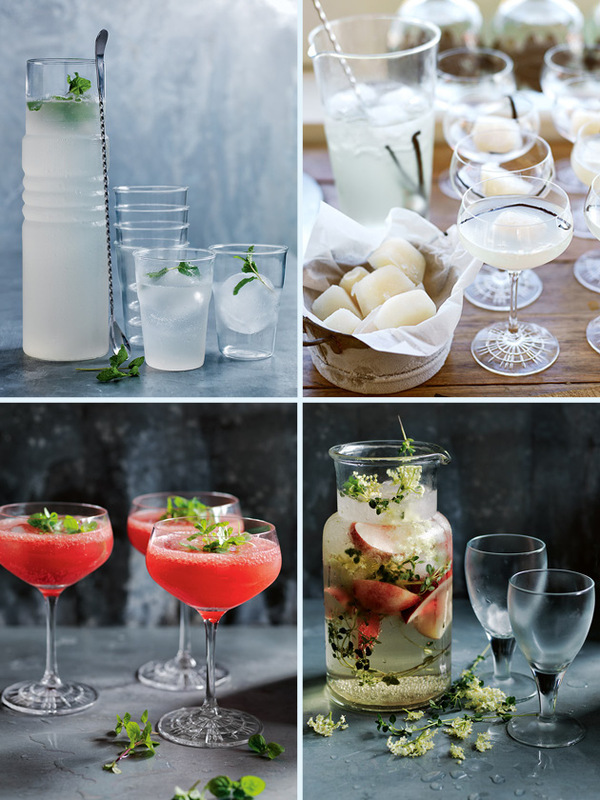 Take inspiration from our collection of cool and refreshing quenchers this summer - just click on each image for the recipe. 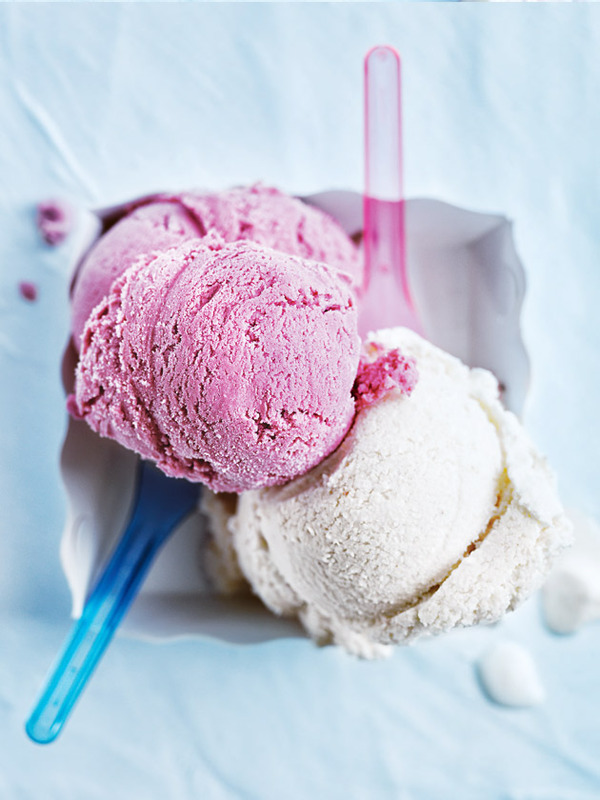 When the sun is scorching sometimes you need a coffee and a cool treat, simultaneously. 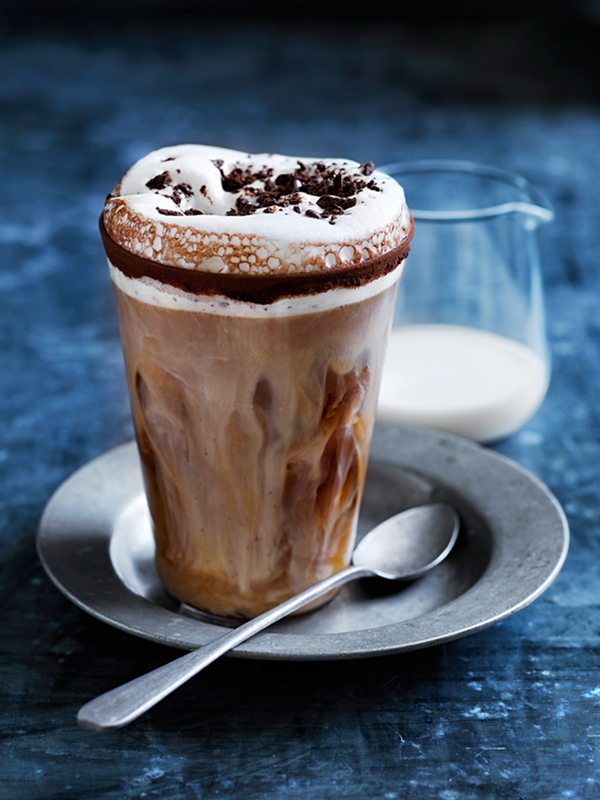 A great iced coffee is a delicious afternoon pick-me-up but it doesn’t stop there. 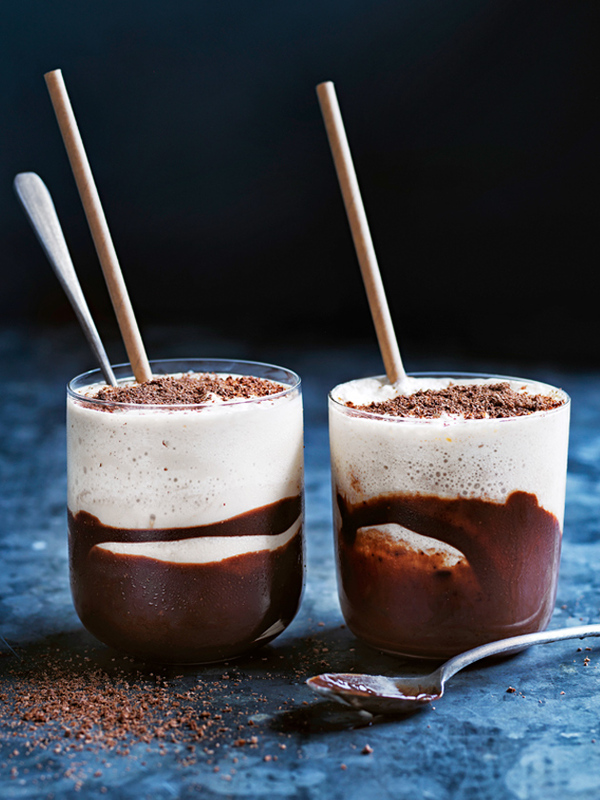 We’ve created a collection of our favourite icy-cool coffee treats made using Nespresso’s Limited Edition coffees, Leggero on Ice and Intenso on Ice! 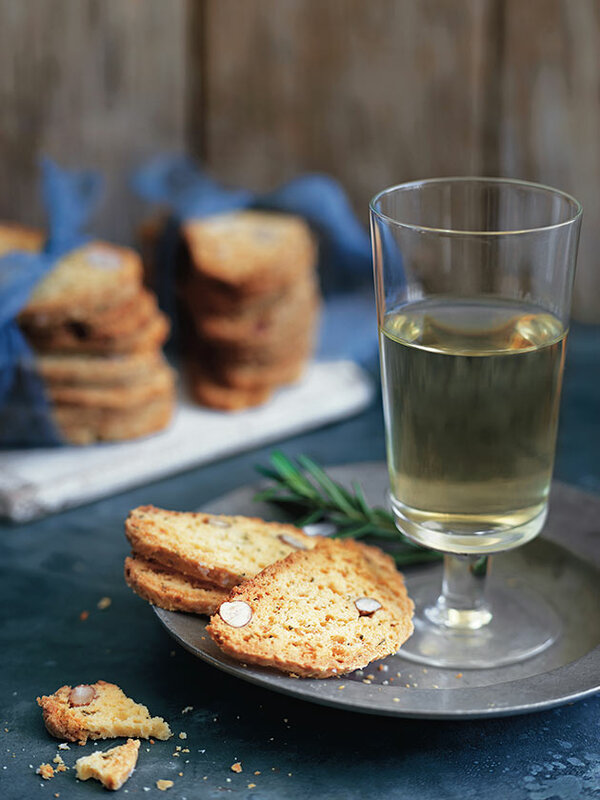 Take your festive baking up a notch with the addition of Cobram Estate’s Australian Ultra Premium extra virgin olive oil - flavoursome recipes fit for entertaining! 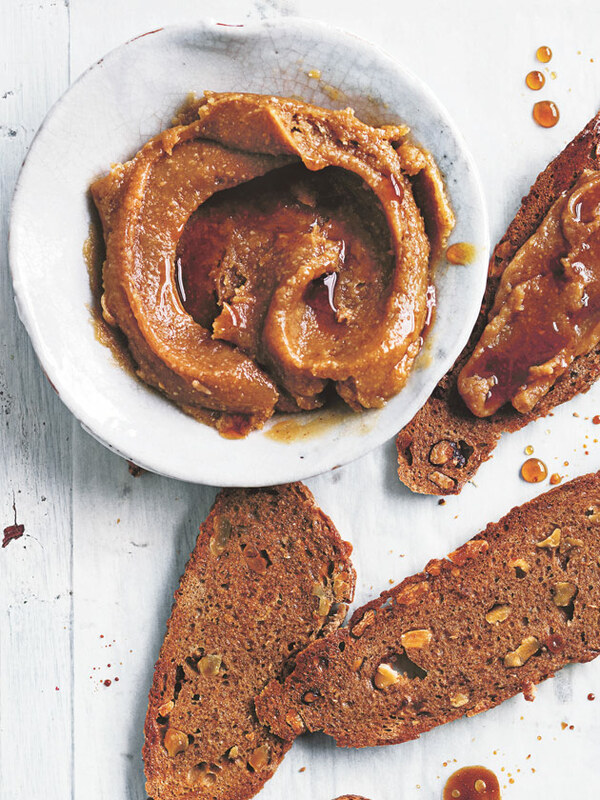 Swap unhealthy spreads for our nutritious, homemade wholefood nut butters. 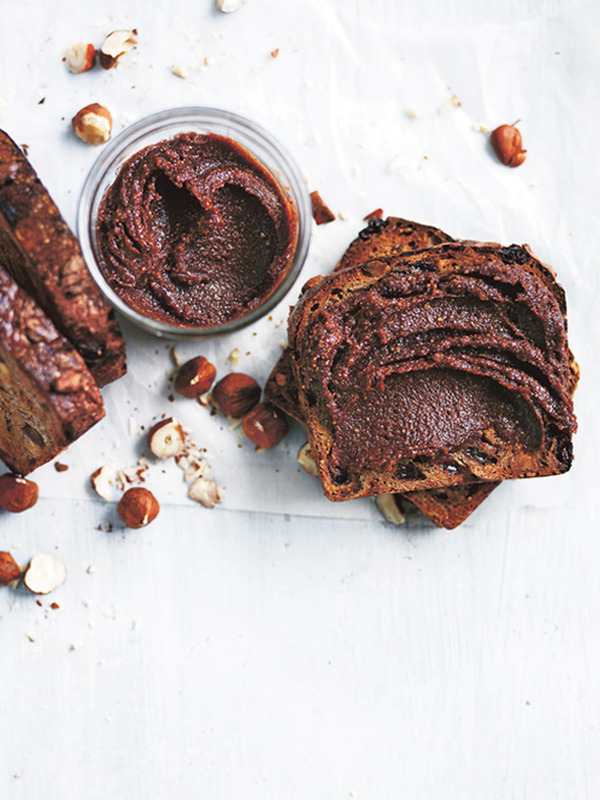 A great source of heart-healthy fats and protein, they are simple to make and offer plenty of opportunity to experiment with different flavours such as cacao. 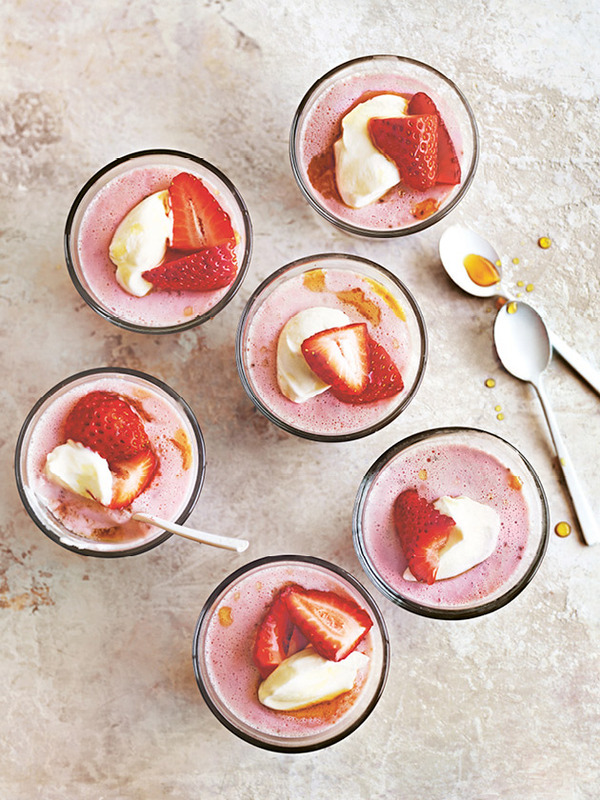 Smooth and creamy, they’re delicious on sliced toast or dolloped into smoothies or porridge. Cruise through your morning rush hour with these wholesome and delightful breakfasts you can make the night before! These coconut and blueberry overnight oats are made with a blend of chia seeds and shredded coconuts for a refreshing and creamy grab-n-go breakfast. 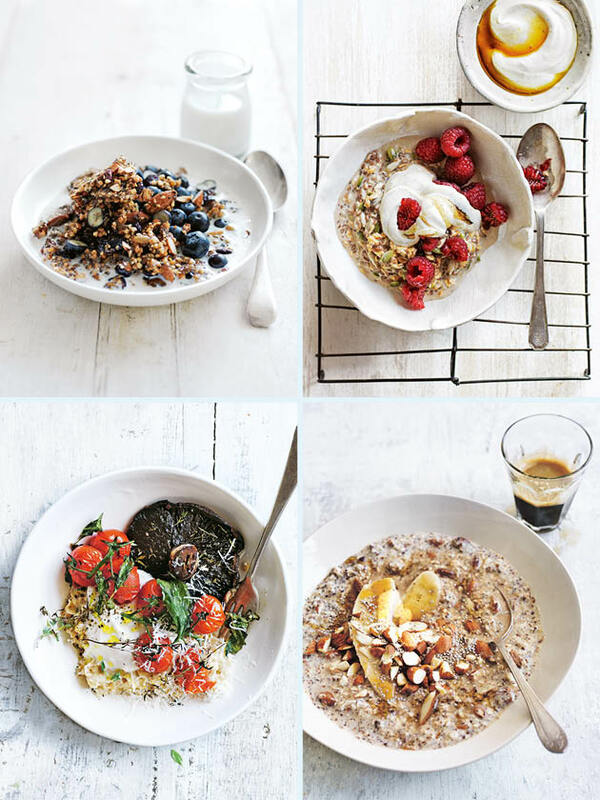 Add quinoa to your oats for a protein kick in the morning! 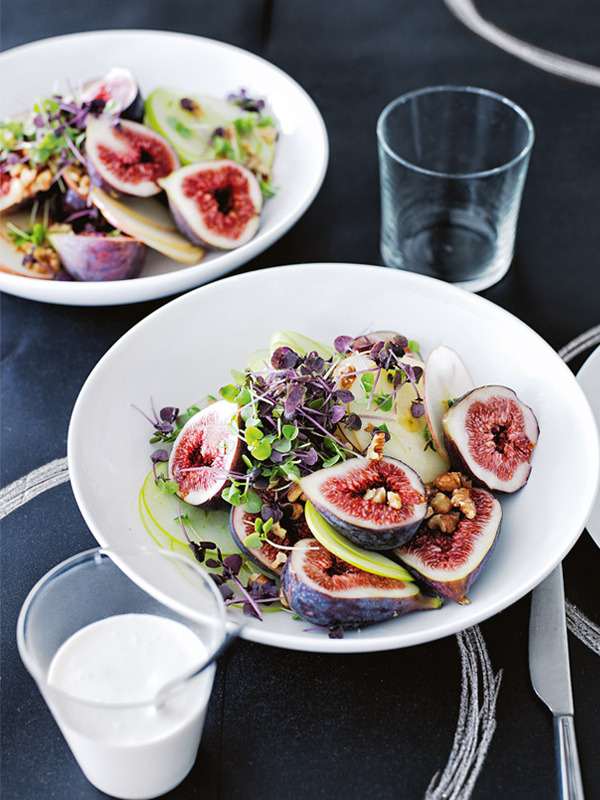 Drizzle with honey and serve with figs. Perfection! 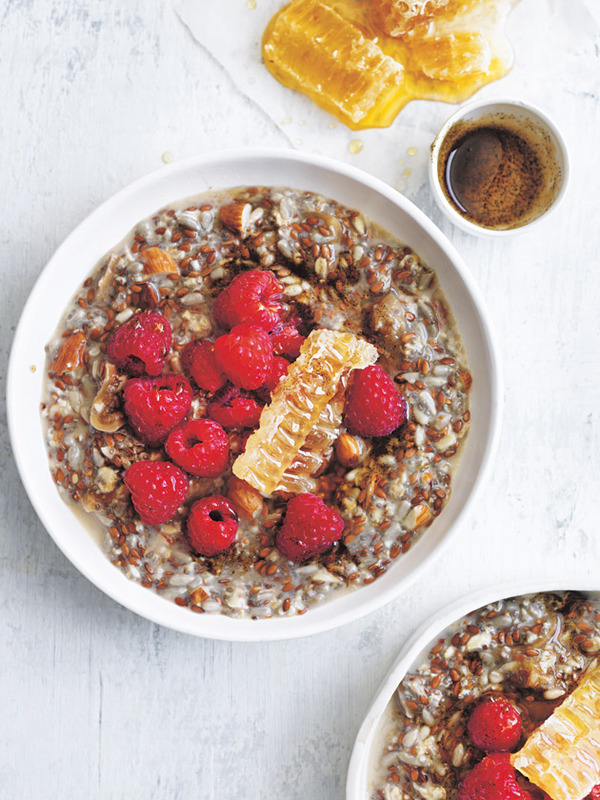 This power packed recipe is full of seeds and nuts that will help you kick start your day - sunflower seeds, linseeds, almonds and chia seeds served alongside a healthy handful of raspberries. 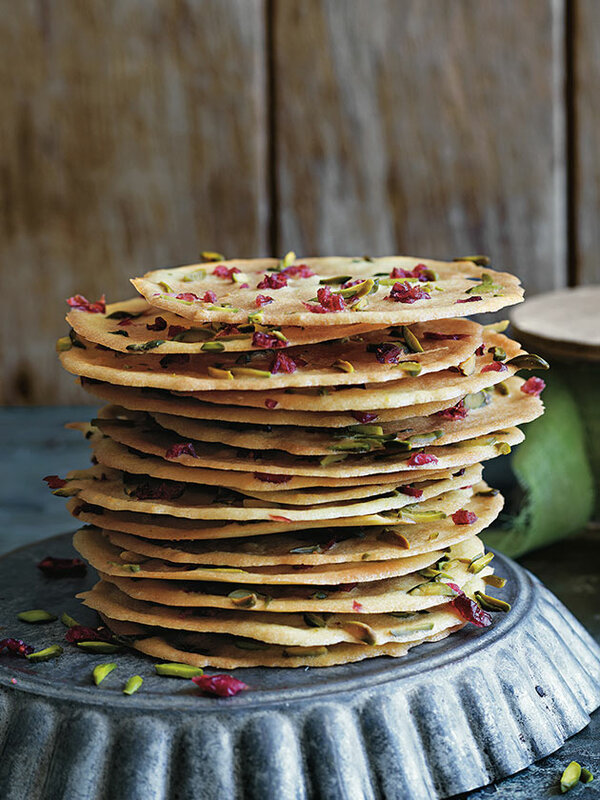 Who doesn't love hazelnuts and pistachios, especially when coated in maple syrup and cocao. 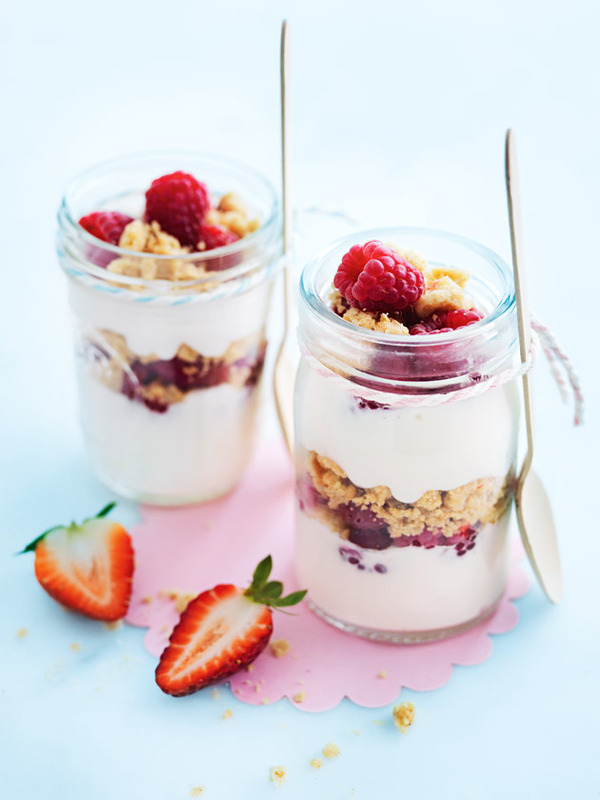 This breakfast treat will have you excited to wake up in the morning. Have a busy day ahead? 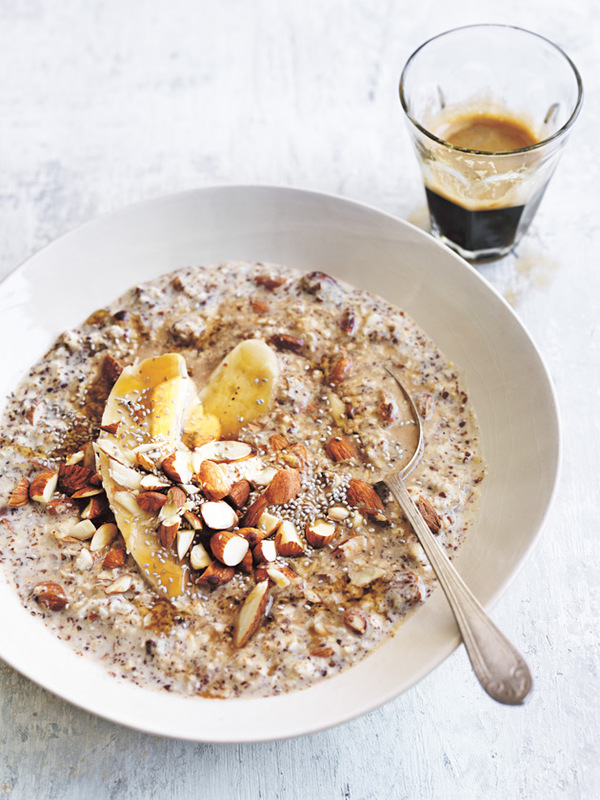 Start it on the right foot with a hit of coffee in your oats. 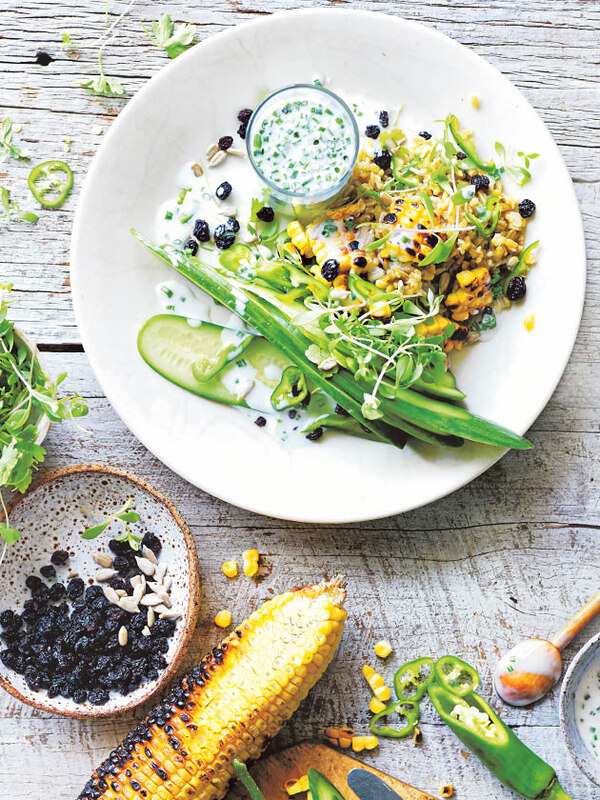 Add a little buckwheat into your diet. 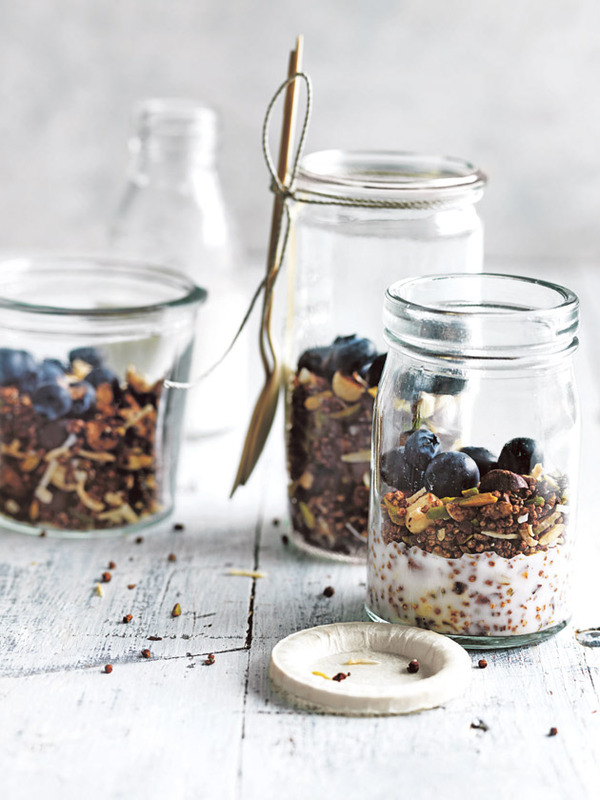 Top up your essential nutrients with this granola mix that uses buckwheat as its base ingredient. 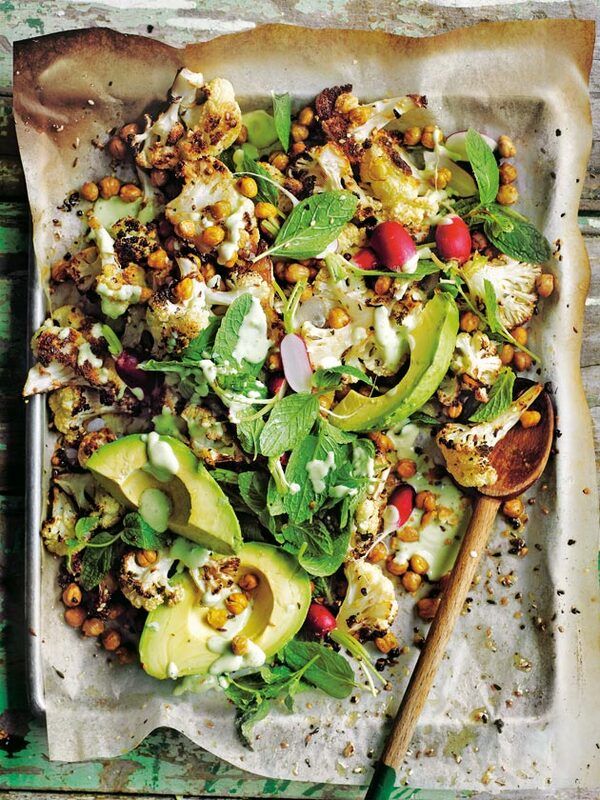 Super easy to make and full of goodness. You'll be wanting to eat this granola mix not just for breakfast, but as a snack throughout the day. 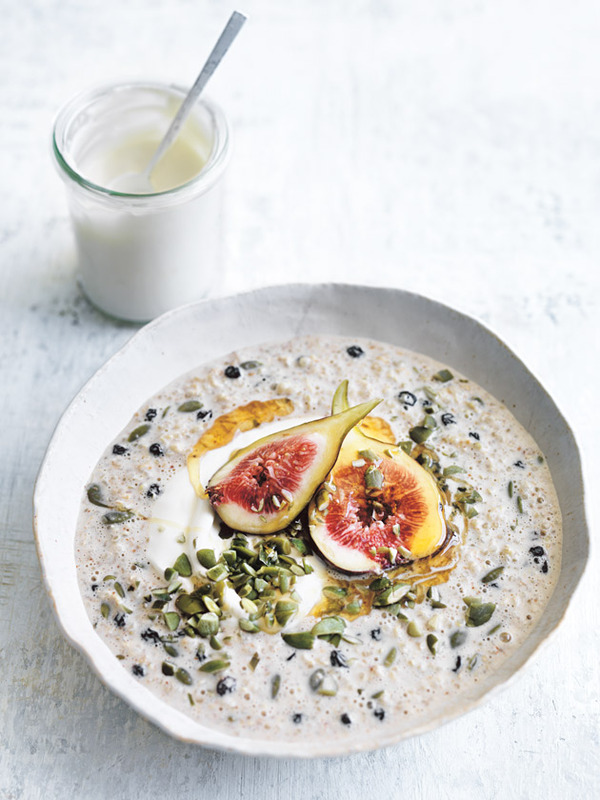 With a healthy dollop of maple vanilla yoghurt this power seed bircher is one of our favourite 'get up and go' recipes. 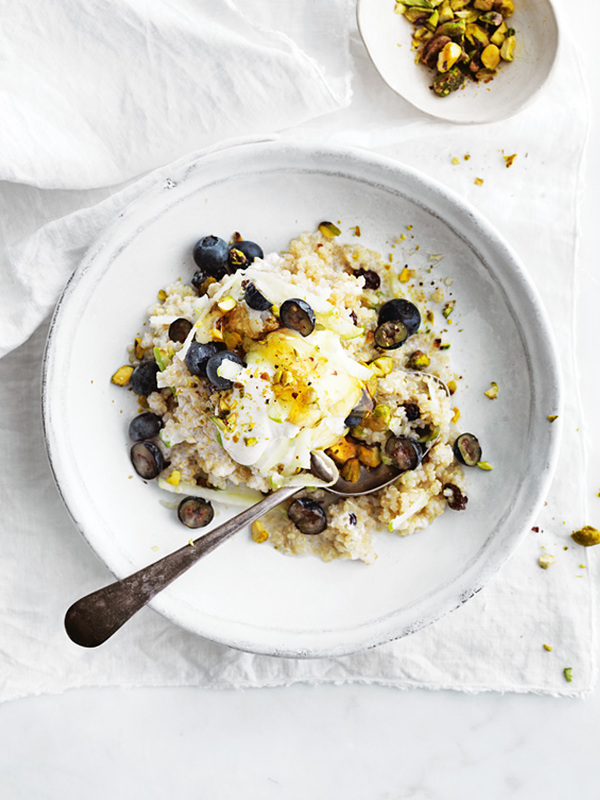 The ultimate way to start you day - grated apple, quinoa, raisins, pistachios and blueberries. You cant't go wrong with this recipe. Our busy schedules can sometimes leave us with little time to stay healthy. 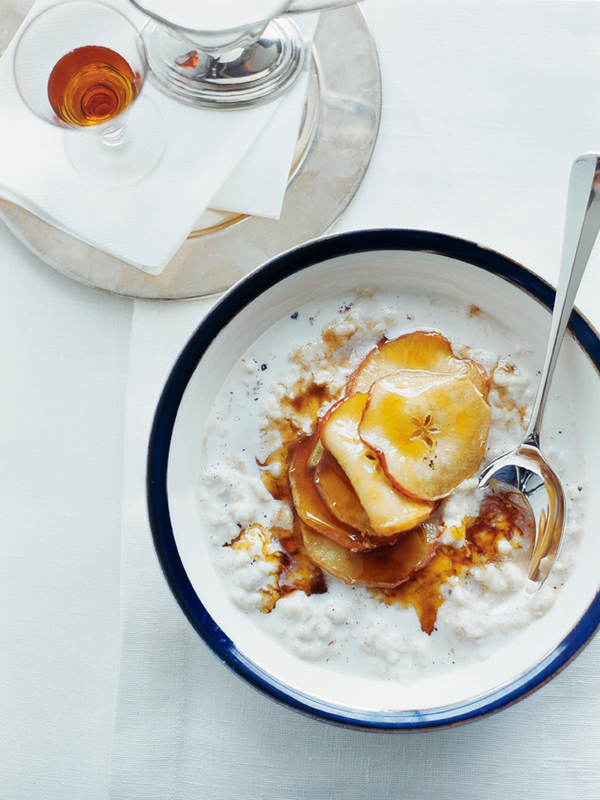 So we’re giving you 9 make-ahead breakfast recipes for when your mornings are all go. Click on each image for the recipe. From gooey s'mores cookies to fried chicken and bourbon fries, we need little encouragement when it comes to reasons to party like it's 4th July! Who can resist a piece of crunchy, golden fried chicken? If you have never made your own - this perfect southern fried chicken is what you've been waiting for. It's teamwork. 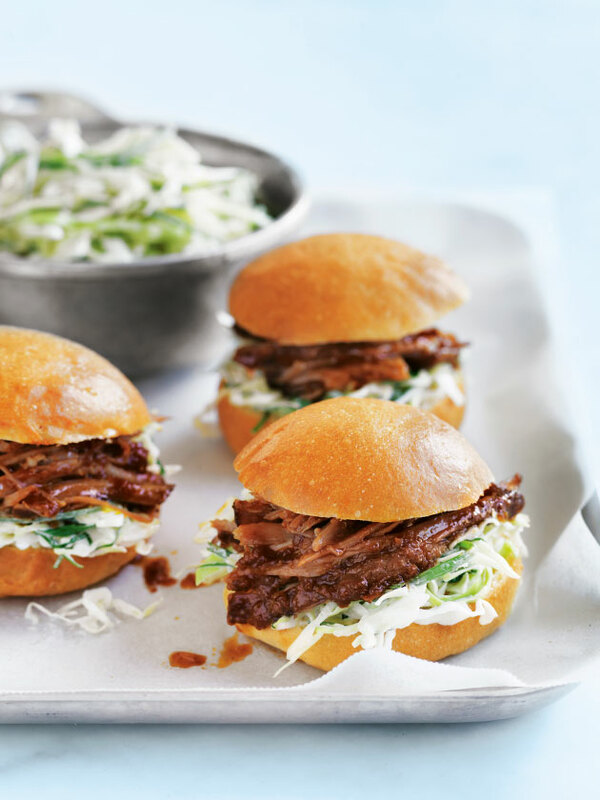 The combination of pineapple and chipotle make these sweet and spicy mini burgers the perfect party food. Not just your average potato chip. 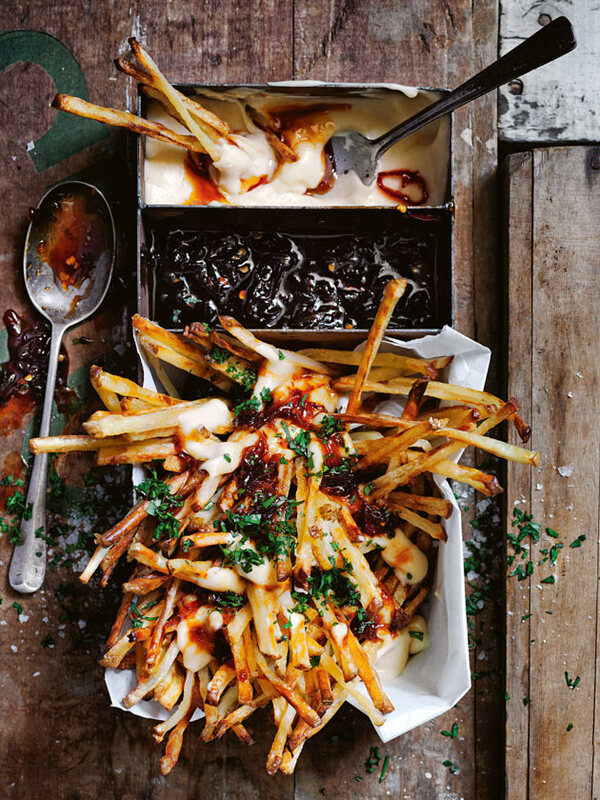 Layers of cheesy goodness just rocketed these loaded fries from good to amazing. 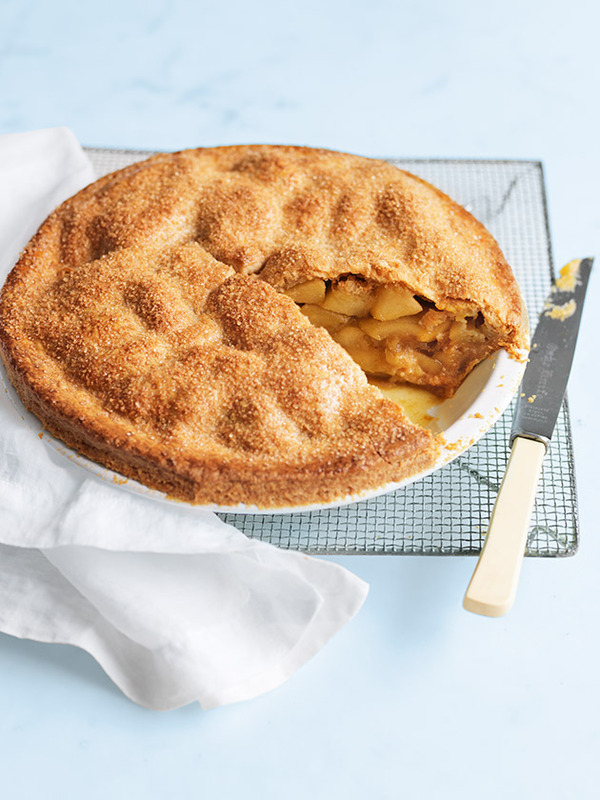 Summer or winter, you can't go wrong with apple pie. Time to take it up a notch by adding some spice to this classic! 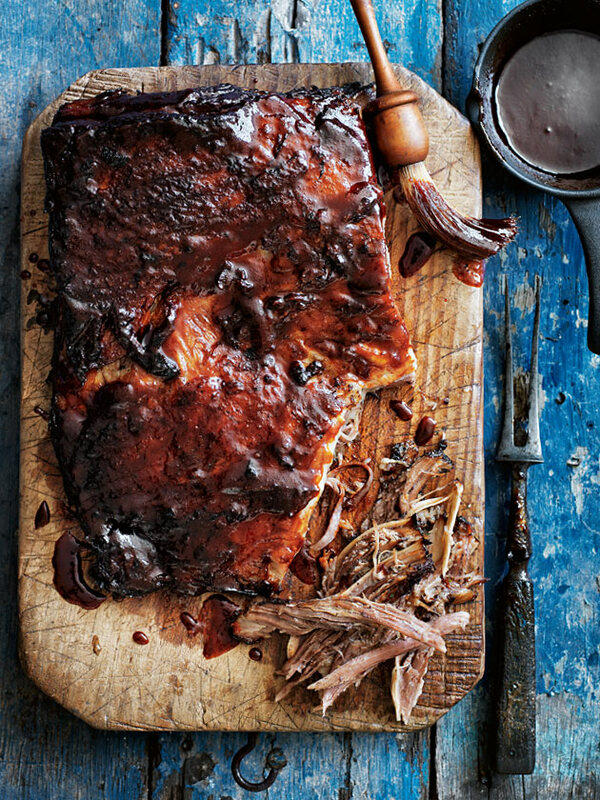 It's napkins at the ready for these sweet and sticky pork ribs bathed in a bourbon glaze. So tender and flavoursome! 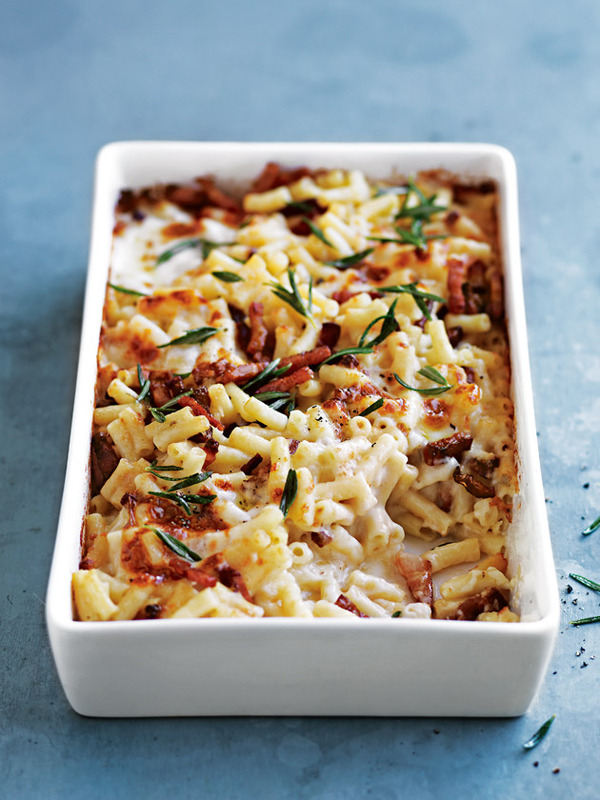 Garnished with rosemary and crispy speck, this creamy mac and cheese is so easy to make and perfect for any occasion. No party's ever complete without dessert. 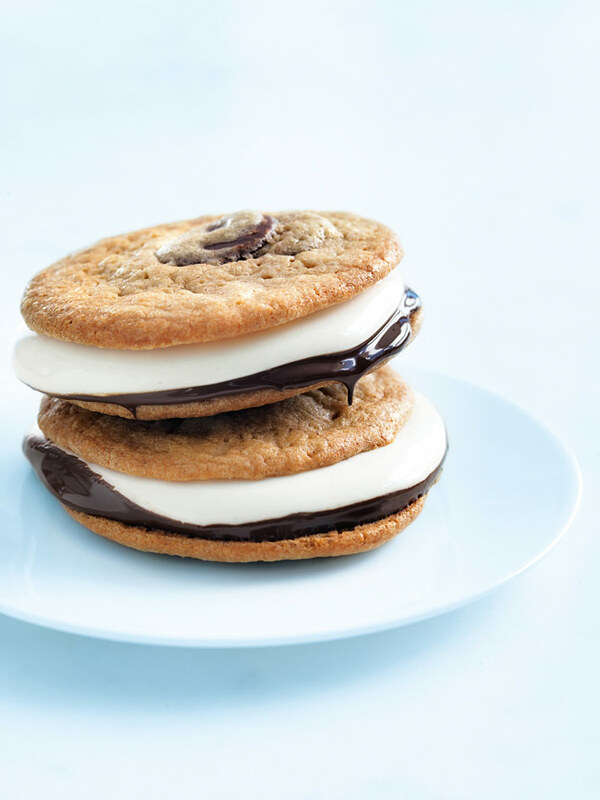 We've given the classic campfire treat a makeover with these simple s'mores cookies. 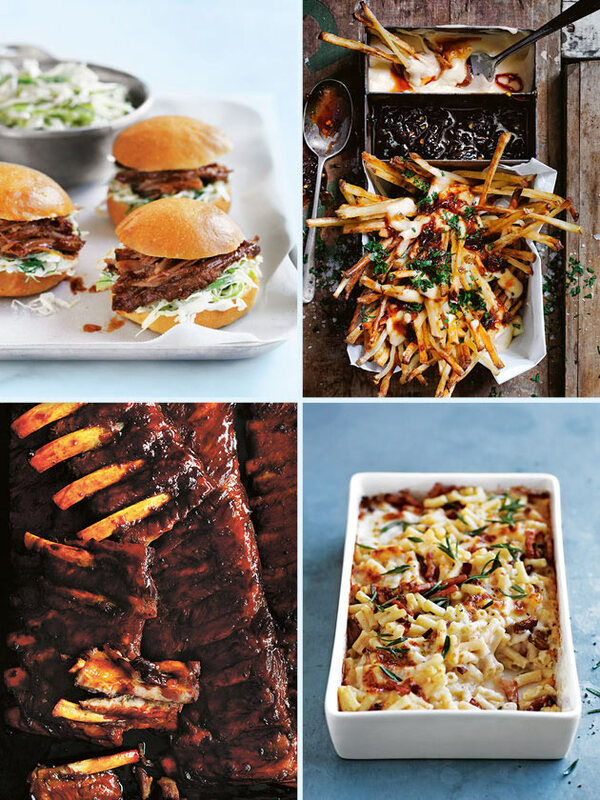 Inspired by the festivities of our American friends, these crowd-pleasing recipes are perfect for any occasion - so let’s get the party started! 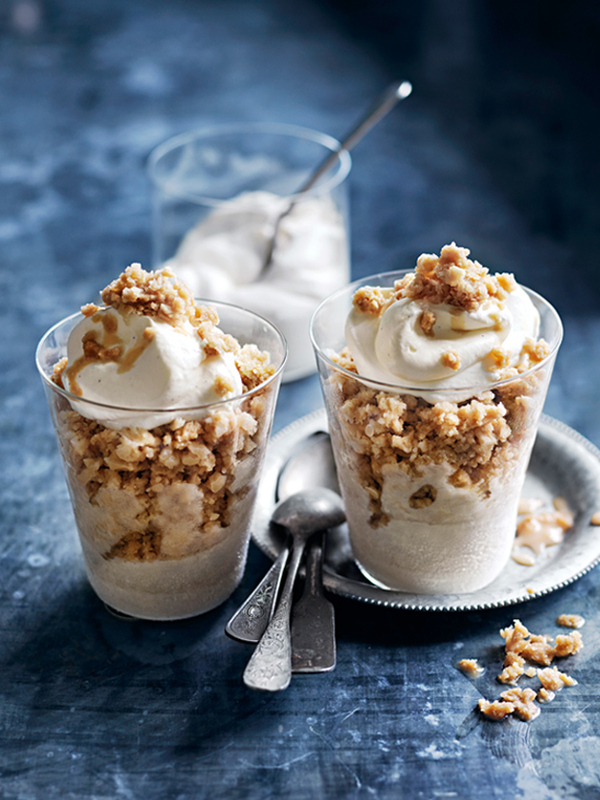 Click ‘read more’ then click on each picture to find the recipe. 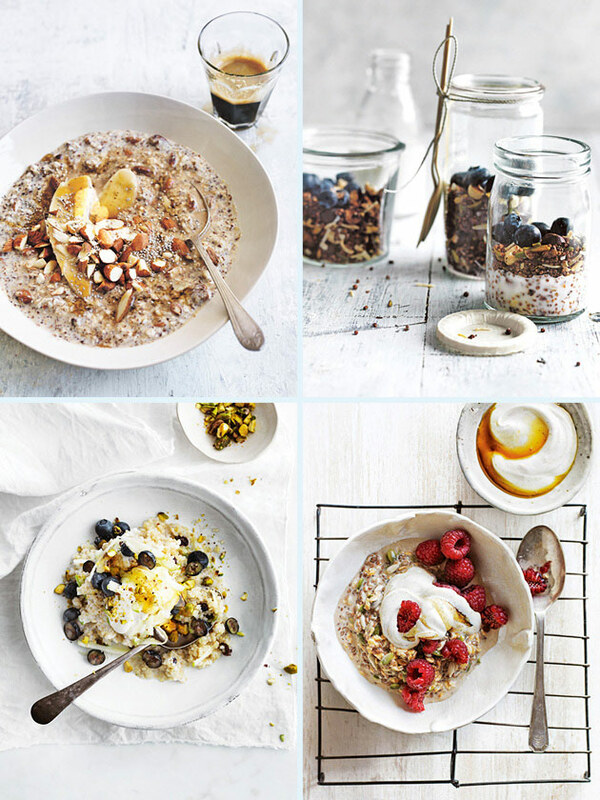 Start your day right with these super simple, deliciously tasty breakfast bowls! 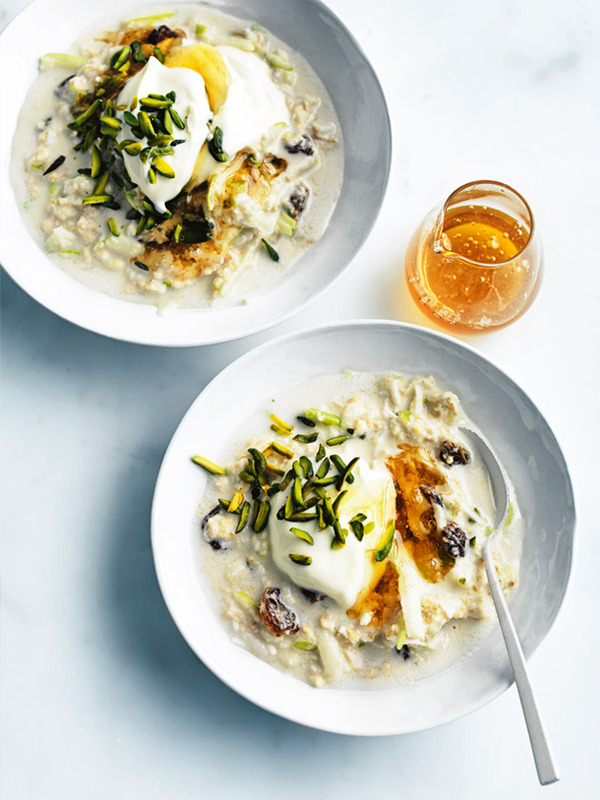 This flavour-filled recipe has all the right ingredients to kick start your day – shredded coconut, raisin, green apple and pistachio, all drizzled with a generous helping of honey. Sweet! 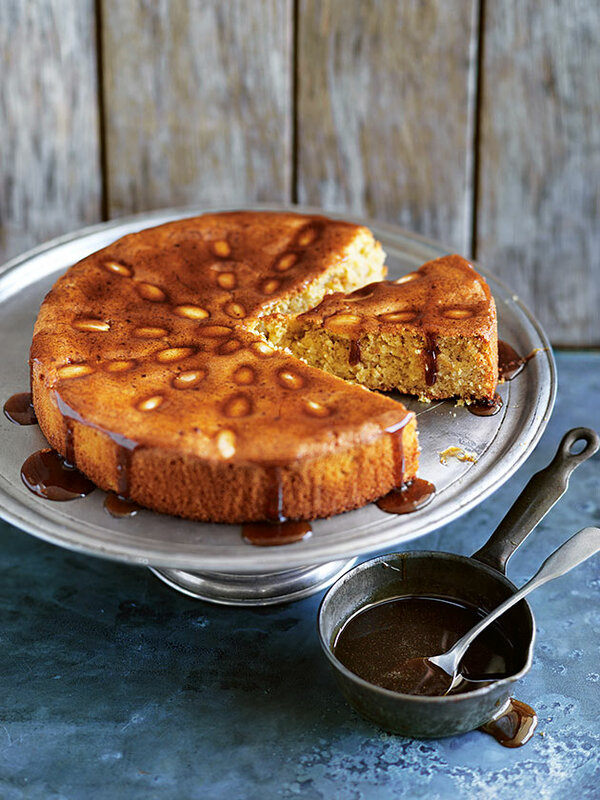 Once you learn how to make burnt butter honey, you'll never go back! 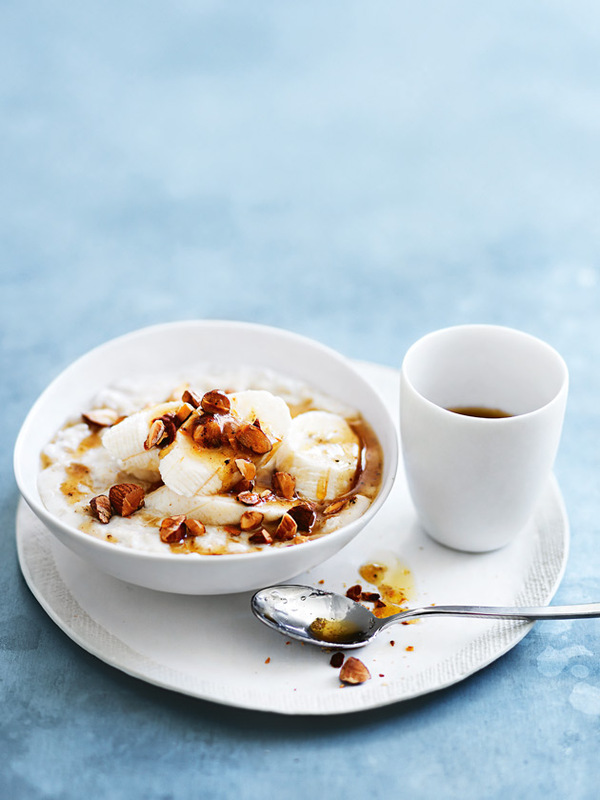 This amazing ingredient magically enhances the flavour of any dish, like this banana and almond porridge. 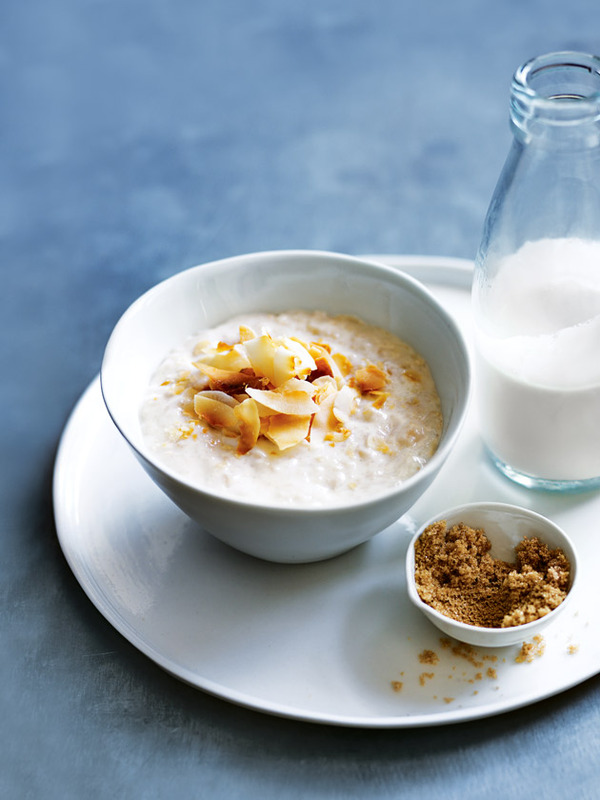 Get creative with your breakfast porridge and try it with coconut! Pour in a little coconut milk and coconut water, add a sprinkle of brown sugar and top it off with a handful of toasted coconut flakes. Perfection! Now this is sure to get you hitting the ground running in the morning! 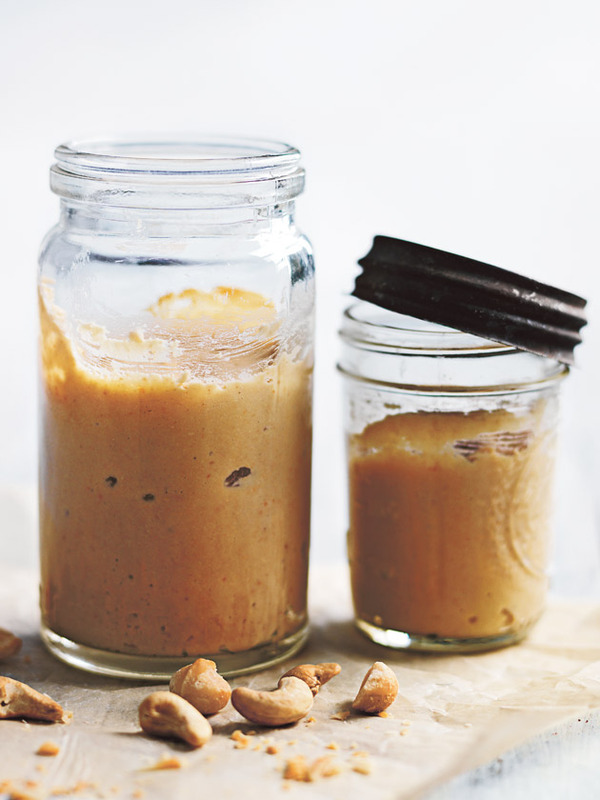 Power-packed banana, almonds and LSA – plus a hit of strong espresso. Zing! It's all about the texture with this one. 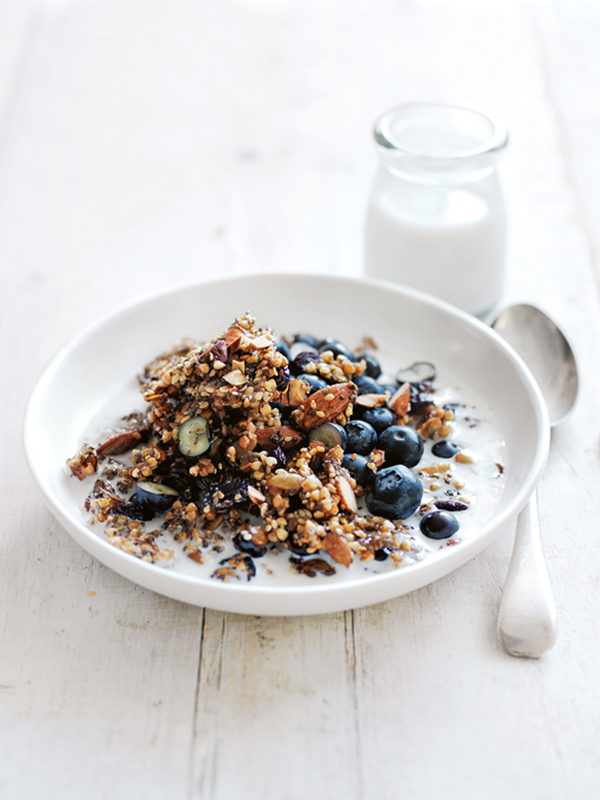 Raw buckwheat, chopped almonds and pumpkin seeds make this crunchy granola bowl the perfect breakfast option. 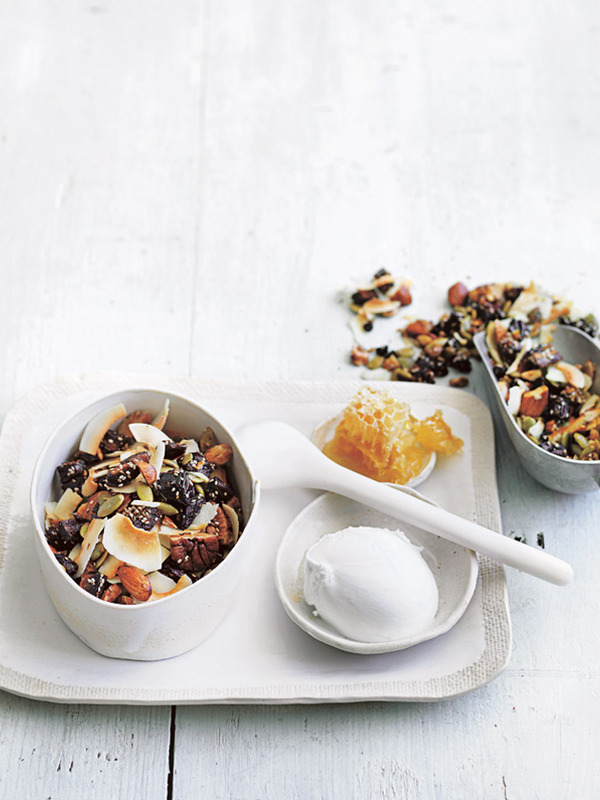 A big dollop of maple vanilla yoghurt will have you dreaming of this bowl well into midday! 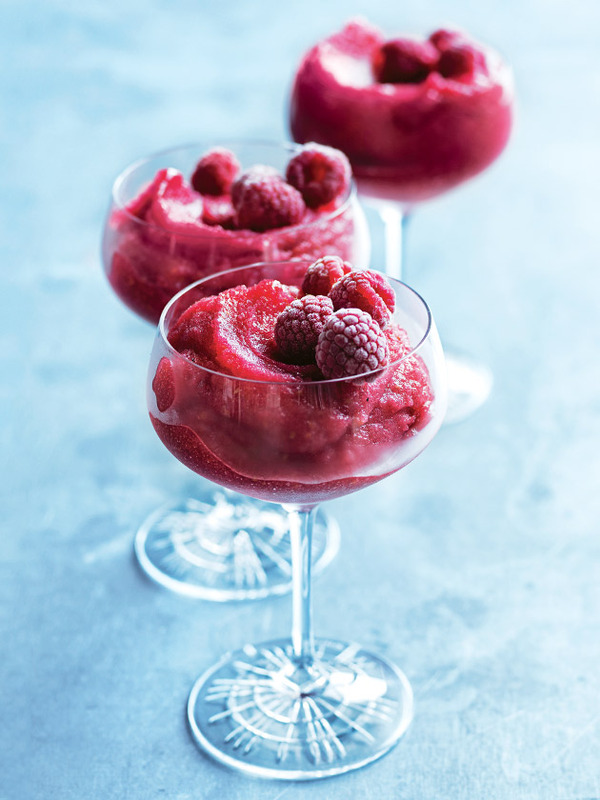 If fresh raspberries are in short supply, frozen works just as well. Got a big day ahead of you? 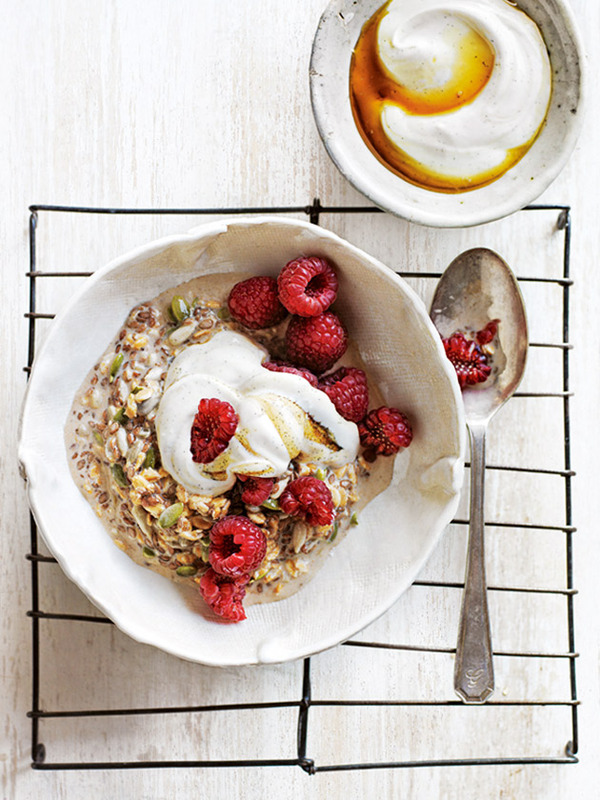 The protein-rich quinoa bircher muesli will keep you fuelled up and ready to go for hours on end. 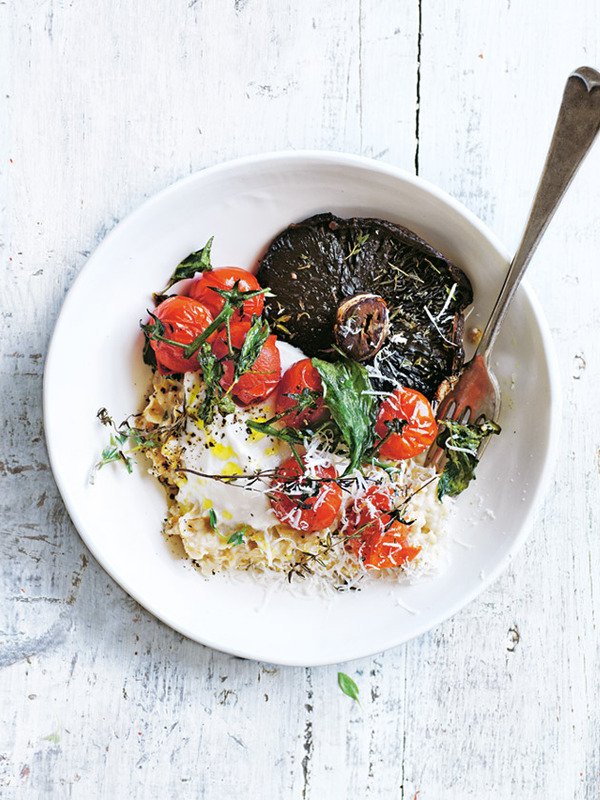 We're loving savoury oats right now. 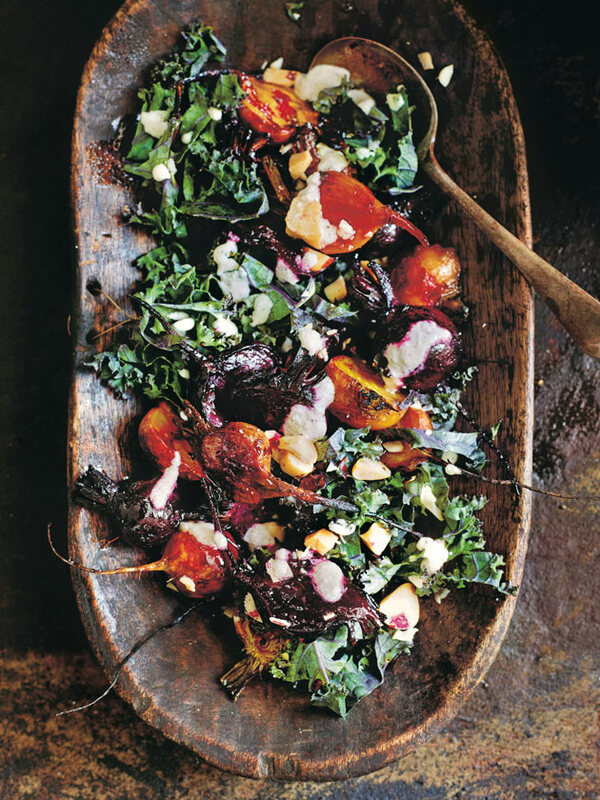 Who wouldn't with all-star ingredients like flavourful mushrooms, fragrant thyme and sweet sun-kissed tomatoes. So yum! 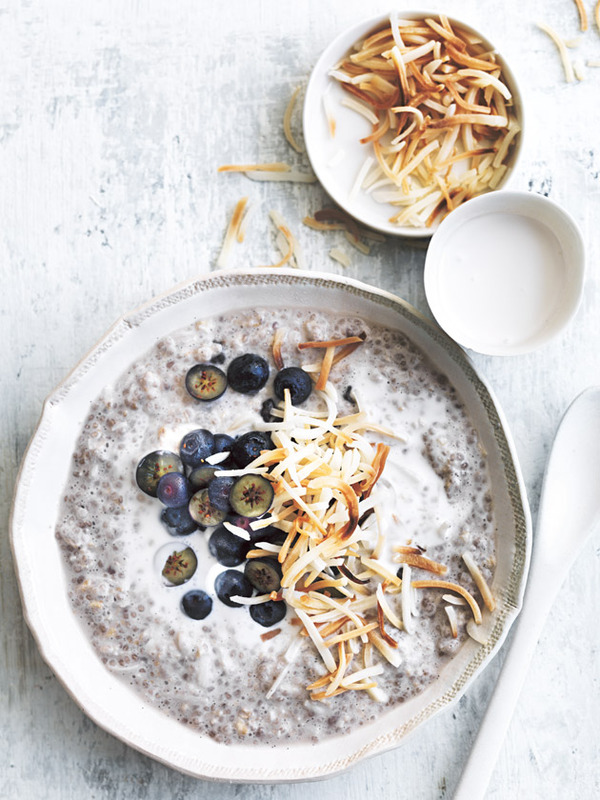 A simple, yet standout breakfast bowl. Rich caramel flavours and sweet apple, it's the ultimate way to start your day. These chilly winter mornings make it’s so tempting to lay under the covers a little while longer. 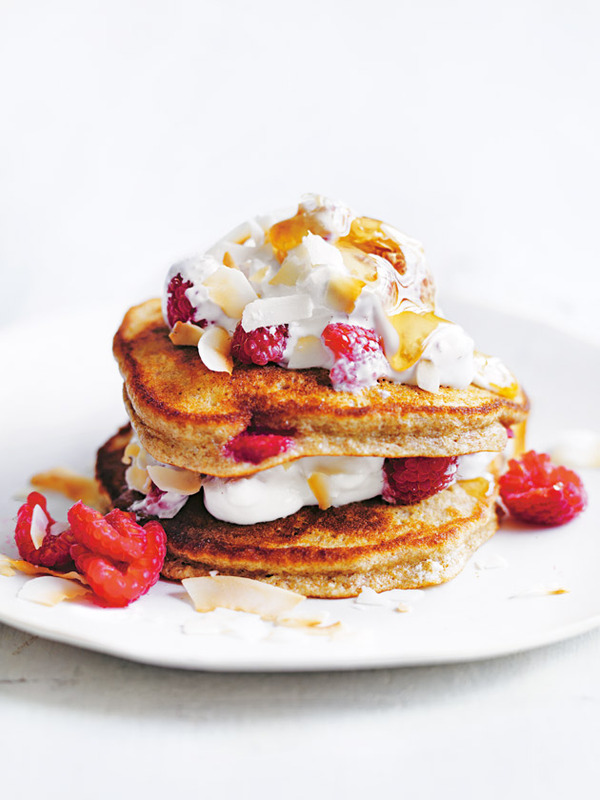 So we’re giving you nine delicious reasons to spring out of bed! Our collection of best-ever breakfast bowls will add some wholesome goodness to your morning routine. Click on each pic for the recipes. 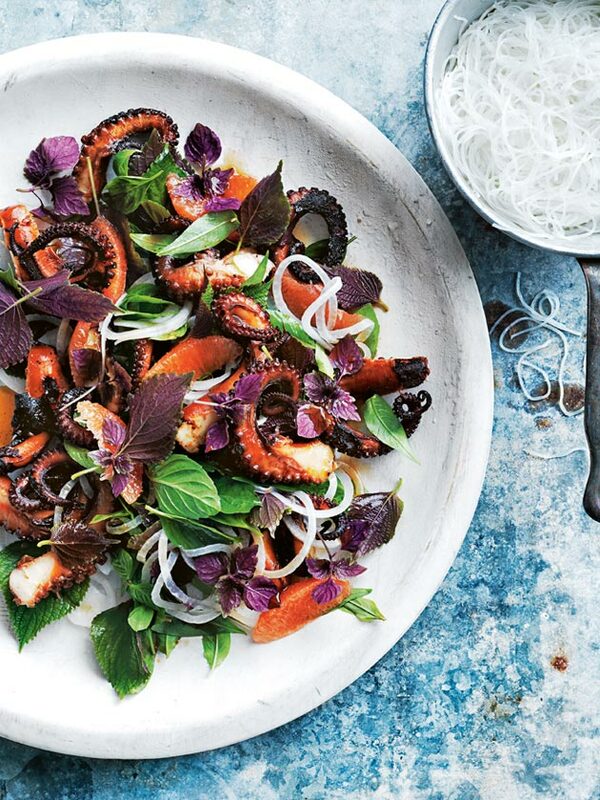 Looking for some seafood inspiration? 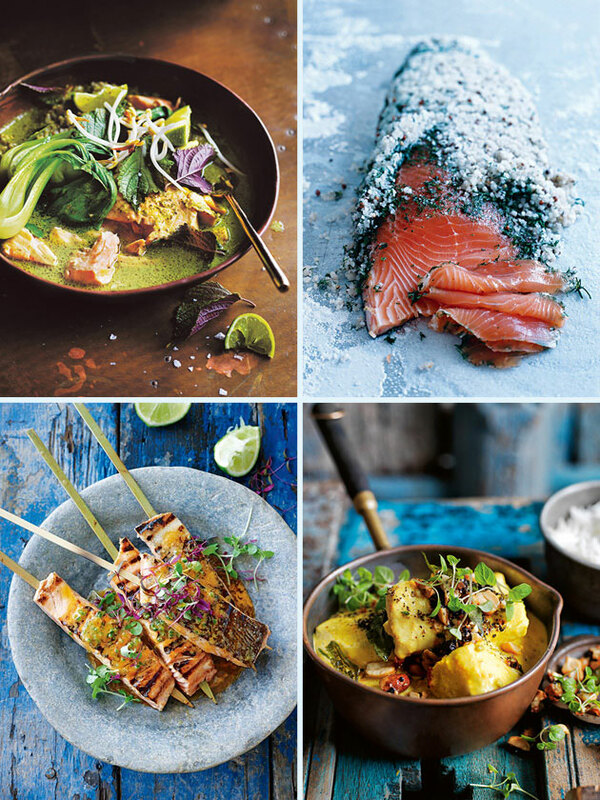 From a classic fish pie to an impressive cured salmon or exotic fish curry - nothing beats the flavour and versatility of fresh fish. 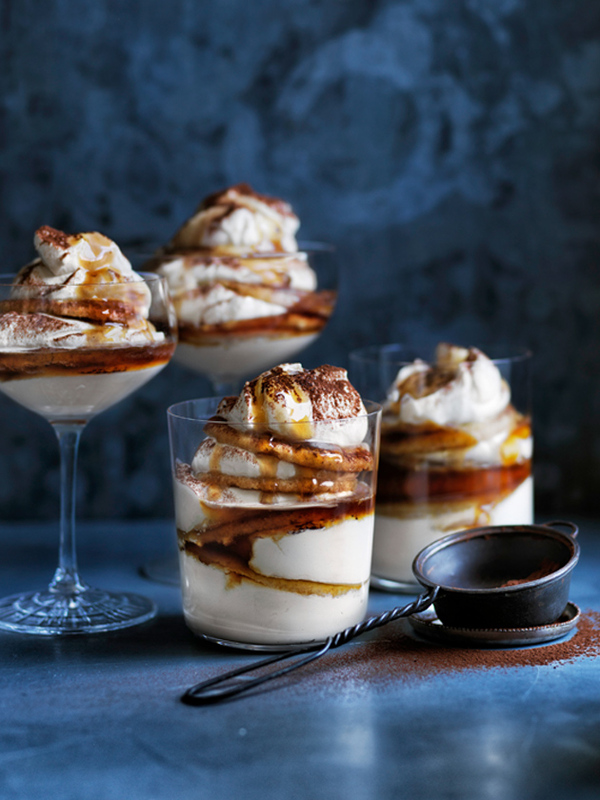 This simple winter warmer is one to please the whole family and keep everyone coming back for more. Crispy on the top and soft in the middle, just the way a pie should be. Get in early with this 24-hour cure. 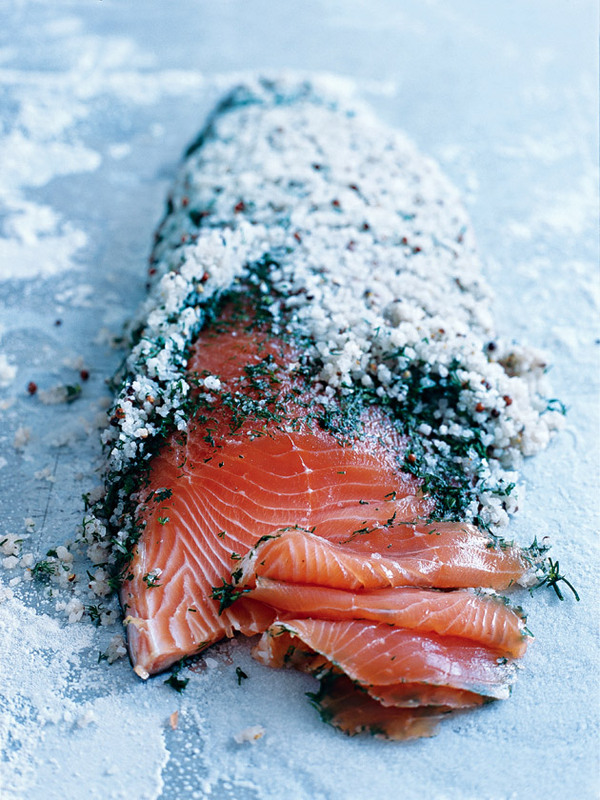 Impress your guests or simply treat yourself with this simple, salty salmon. 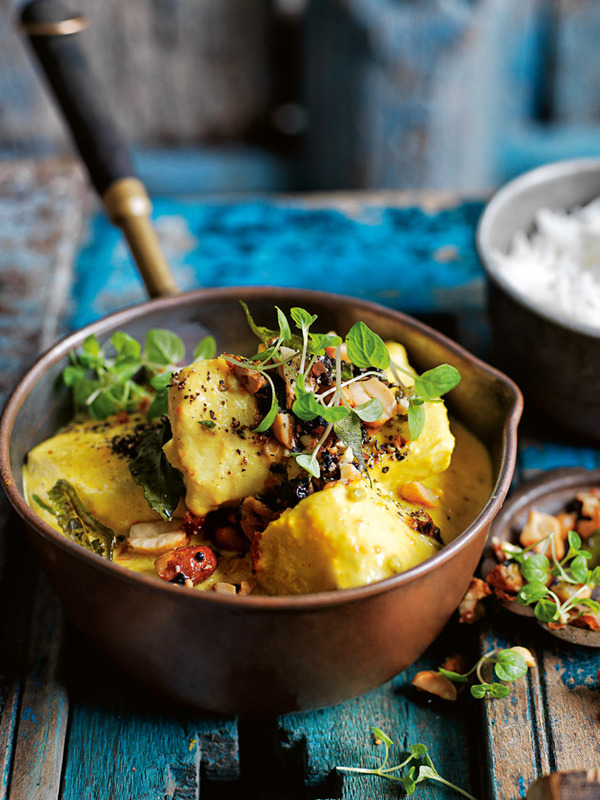 With an aromatic combination of turmeric and chilli, this full flavour coconut curry will have everyone complimenting the chef. 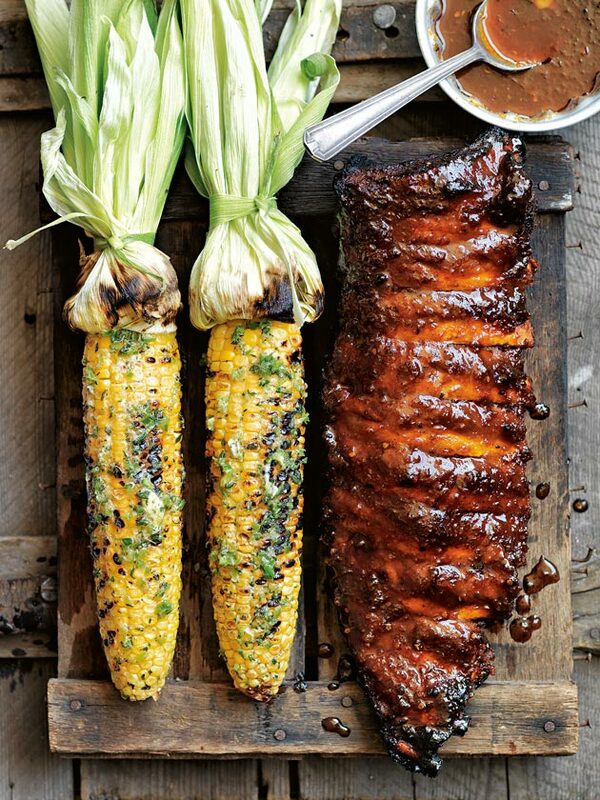 Ready to take your barbecue skills to the next level? 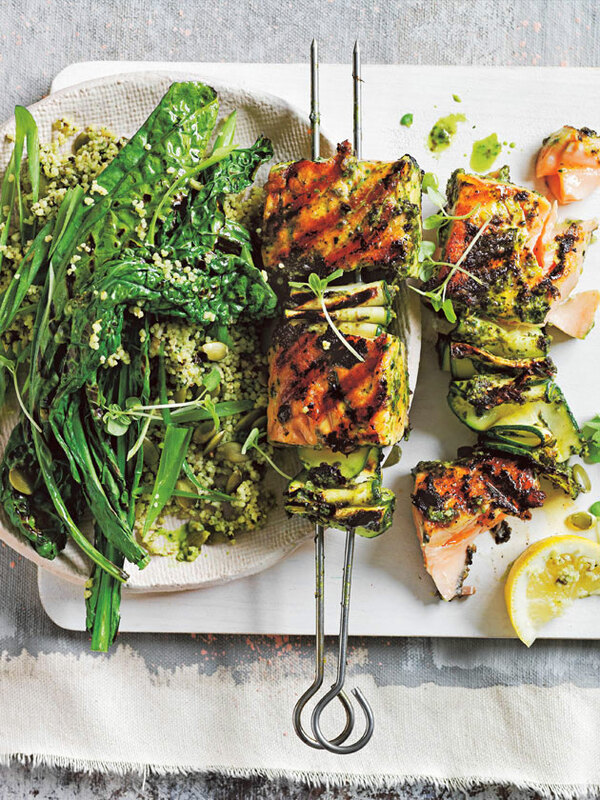 Perfect for a sunny day, these salmon skewers will melt in your mouth and leave you asking yourself why you haven't tried this before. 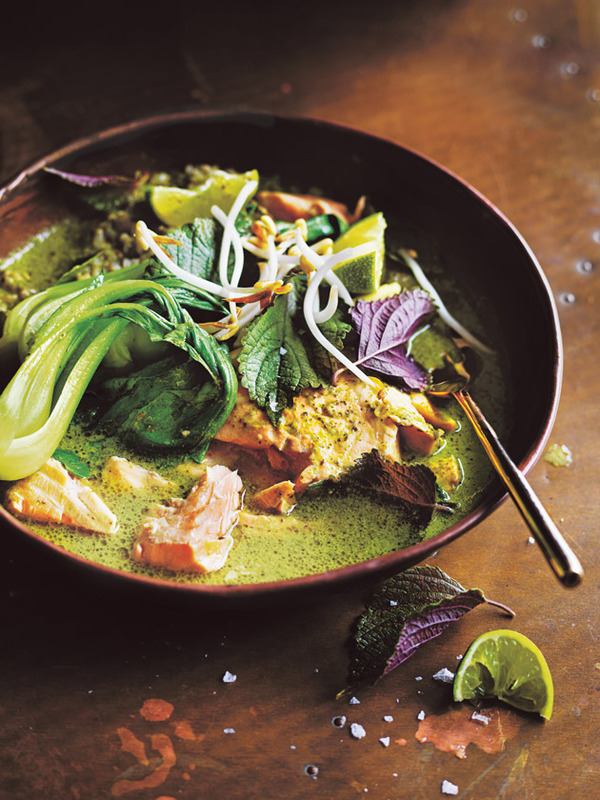 There's nothing dull about this green curry. 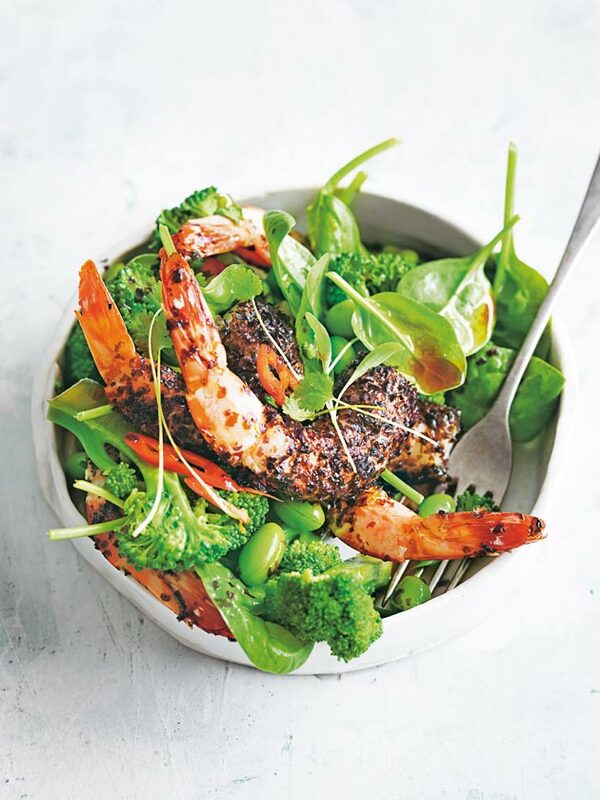 Full of colour and flavour it's a seafood dish with an exotic twist. 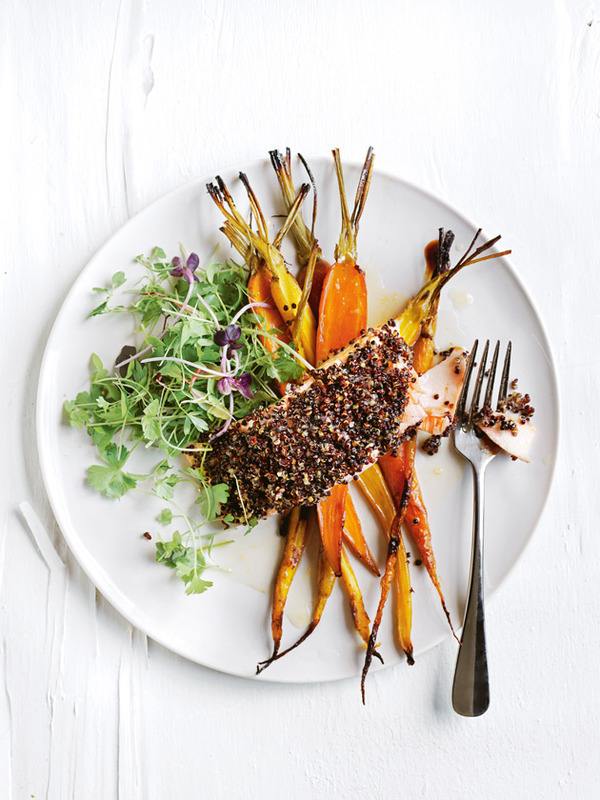 Keep it light and crispy with this quinoa-crumbed salmon. 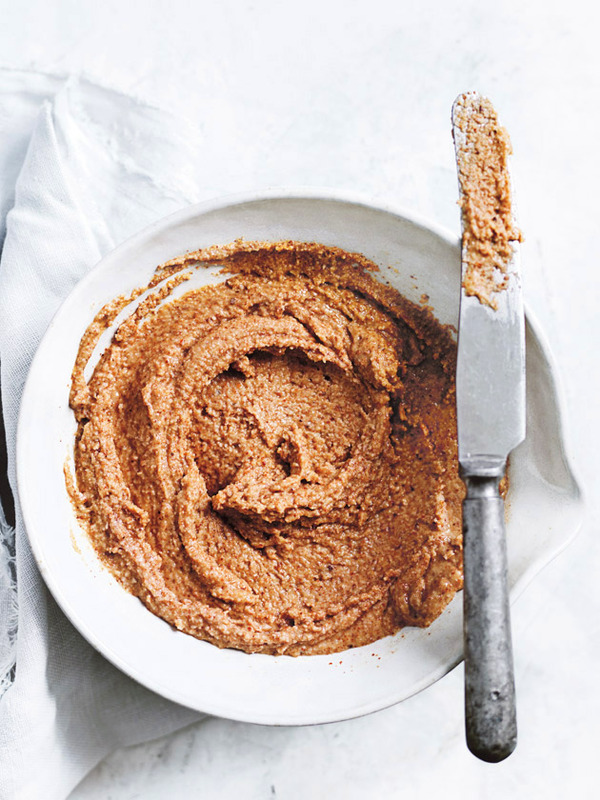 With a hint of paprika and honey it's the perfect omega-3 fix. 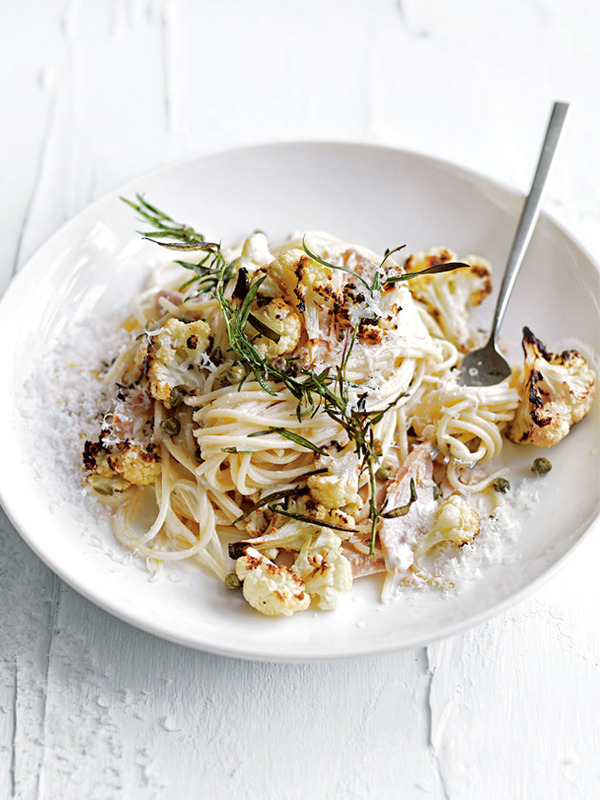 Put a spin on a timeless classic with an ultimate combination of tuna, cauliflower and capers. 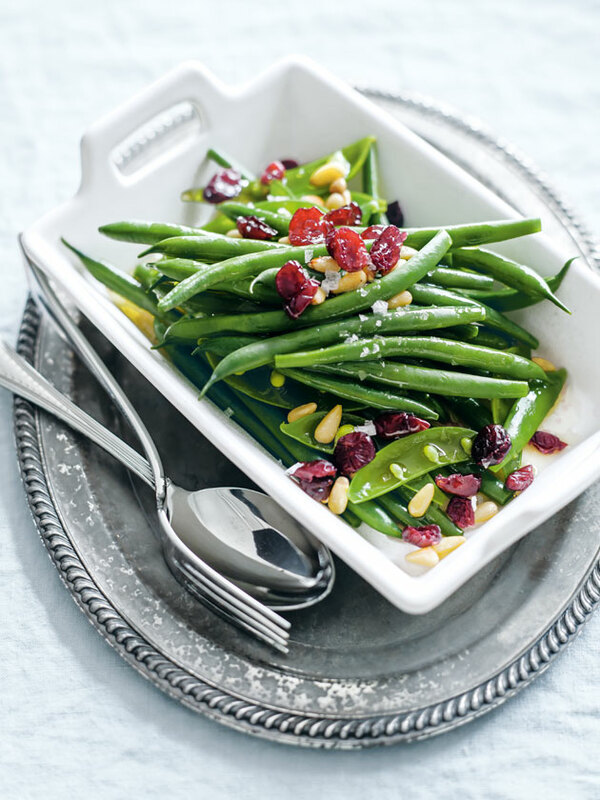 Abundant with flavour and texture, it's bound to be a new family favourite. 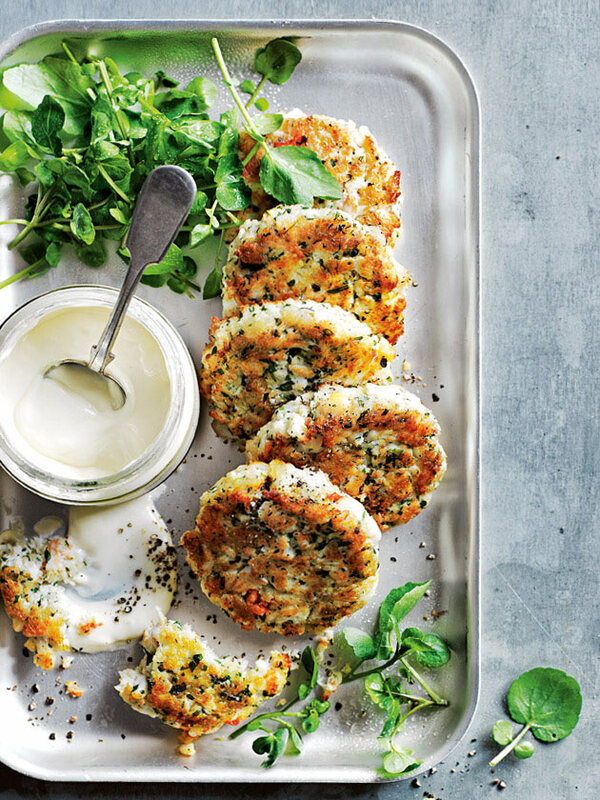 Spice up your classic crab cakes with fresh tarragon and you'll never look back. A little aioli on the side? What more could you want? 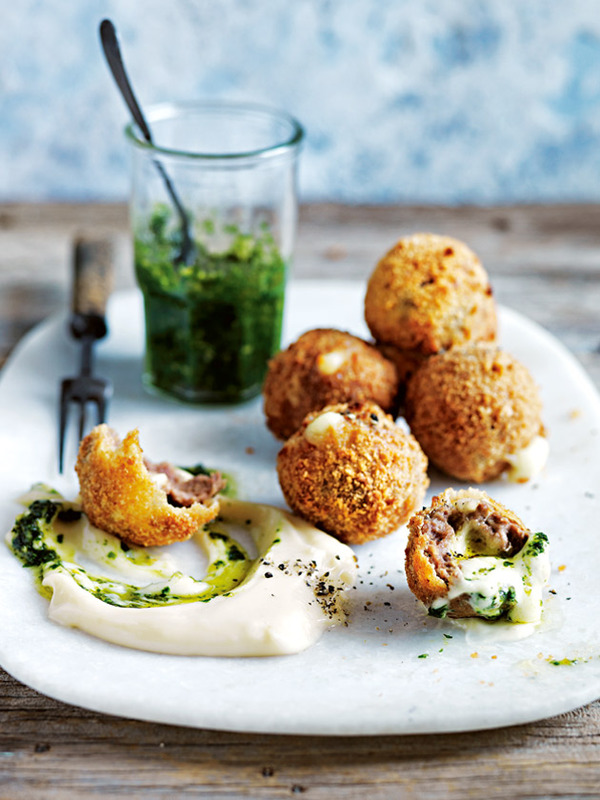 We’re talking all things seafood with these delicious favourites. Click on each photo for their amazing recipes. 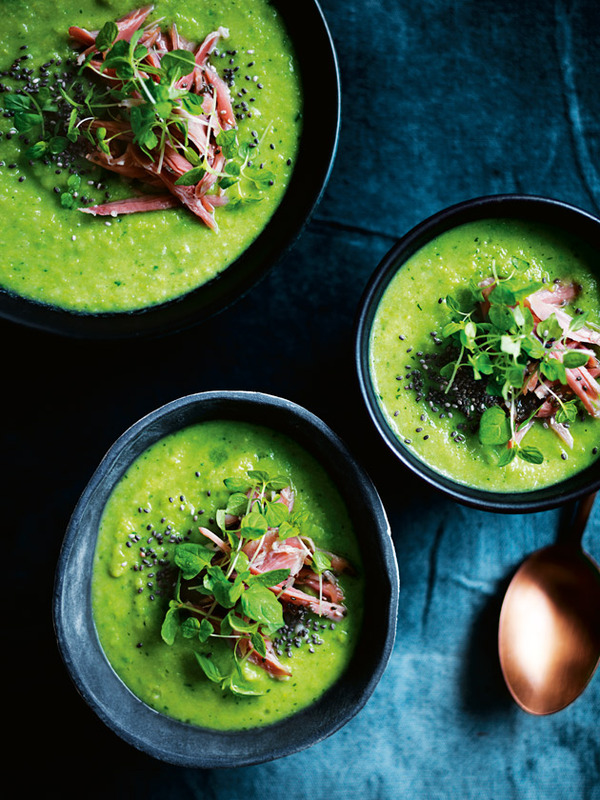 This ham hock soup is packed with vibrant, fresh vegetables and a simple nourishing broth. 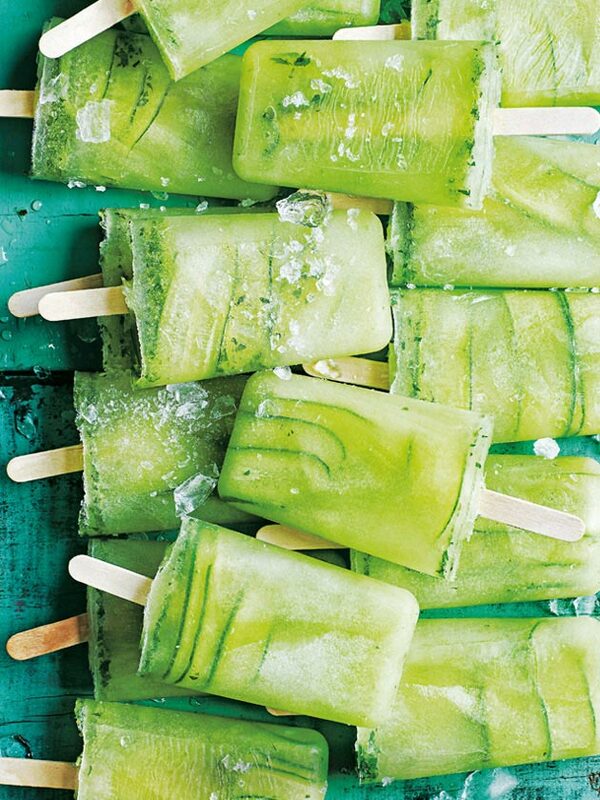 You can beat the heat with these cucumber, lime and mint popsicles – cool, light and refreshing! Feeling tropical? 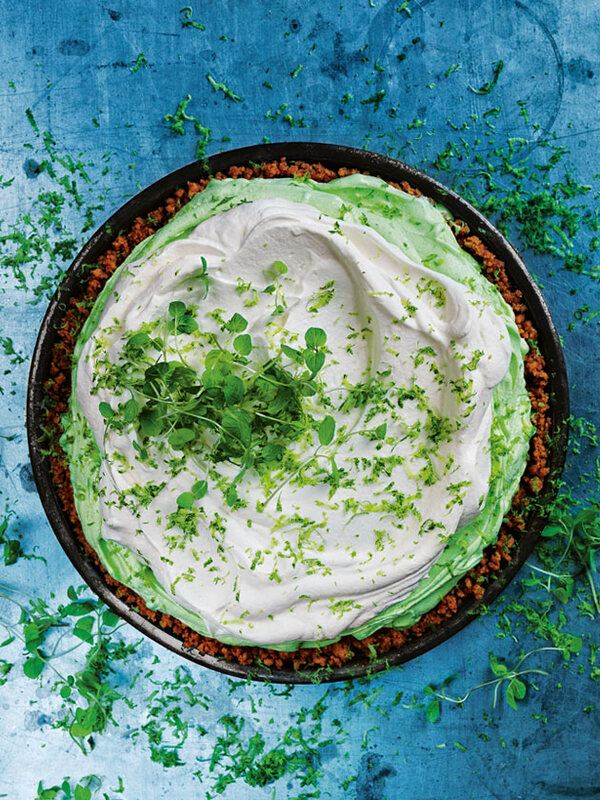 One slice of this zesty lime pie with its biscuity base and luscious pillowy ice-cream and you will be transported. 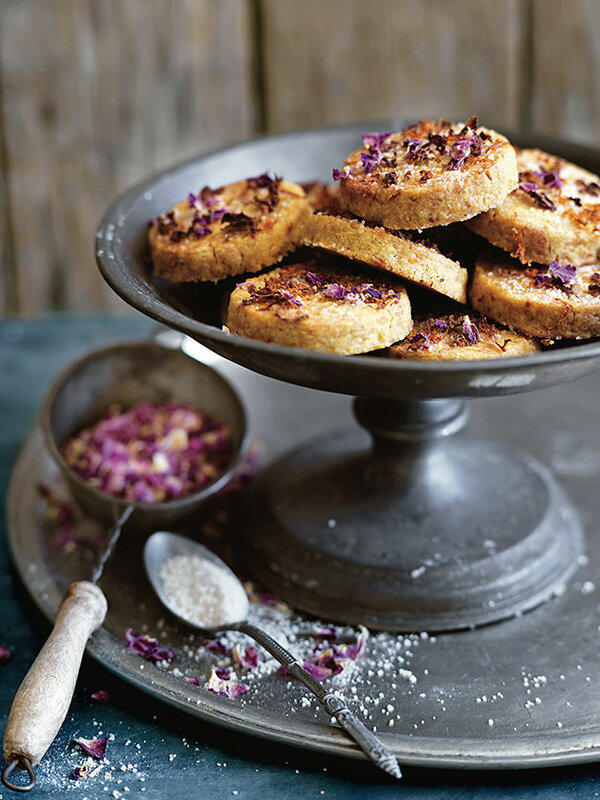 These beauties are baked, not fried! 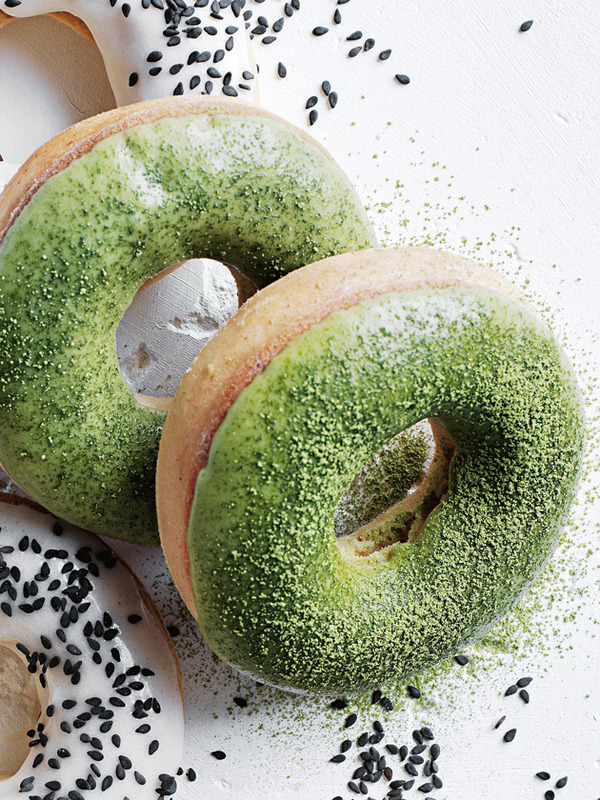 Ginger matcha latte doughnuts topped with a layer of shimmering green tea icing. A quick and easy midweek meal that's brimming with the good stuff and even better, it works for breakfast, lunch or dinner! 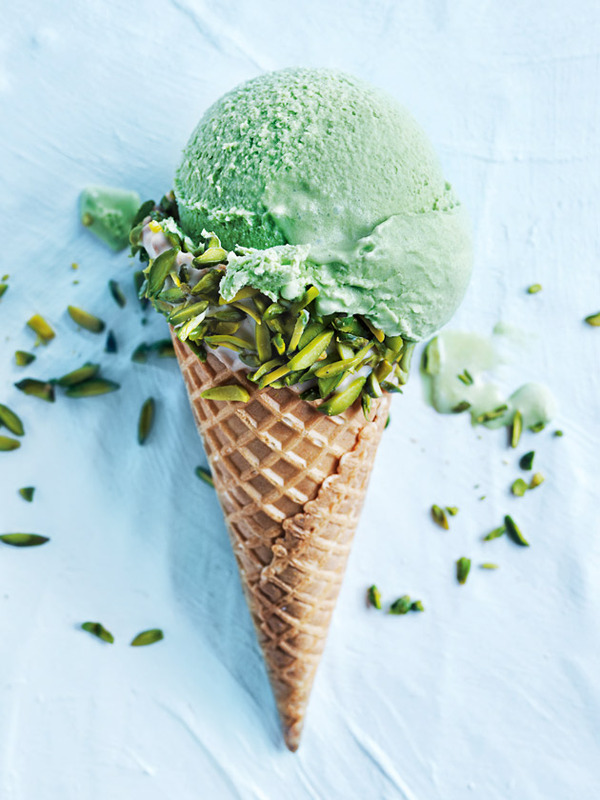 Crunchy waffle cone dipped in dreamy white chocolate and sprinkled with pistachios teamed with refreshing matcha ice-cream... heaven! 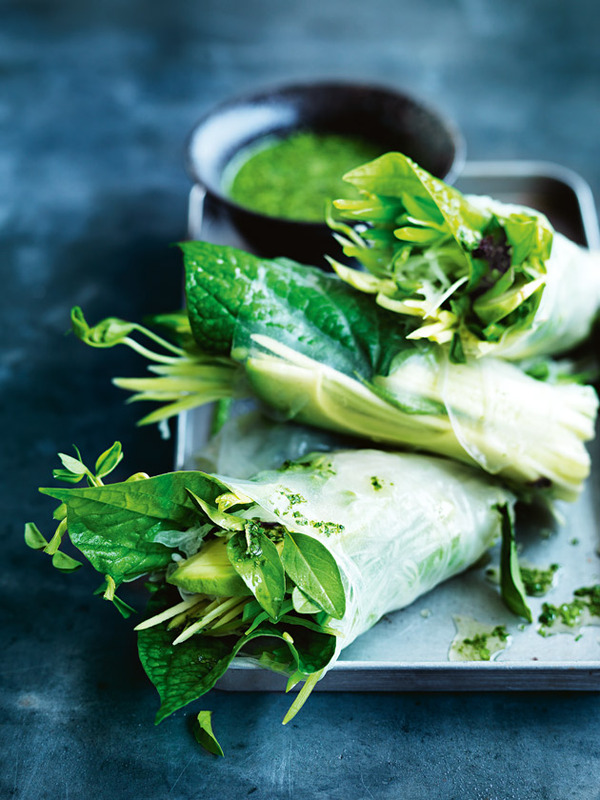 The perfect little roll of green goodness... ready for lunch. 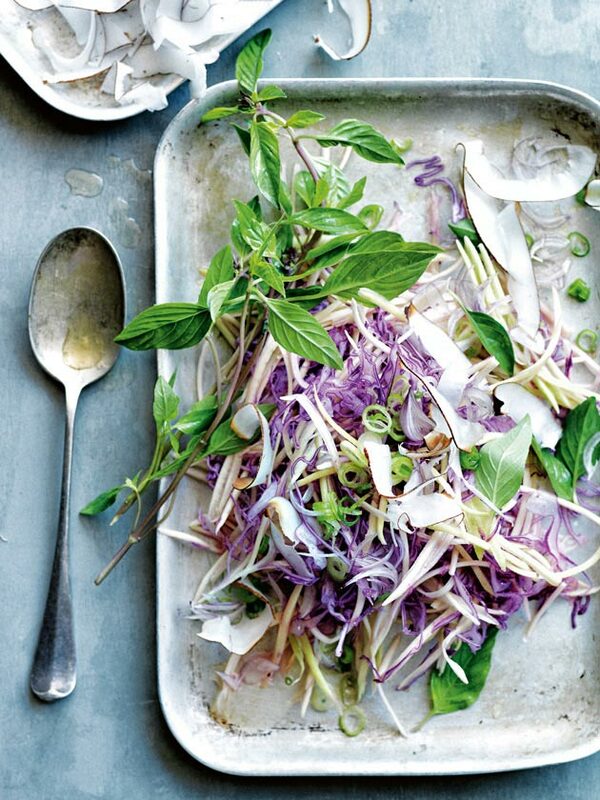 Betel leaves, green cabbage, snow peas, basil leaves, mint and avocado... yum! Is there a better way to start the day? 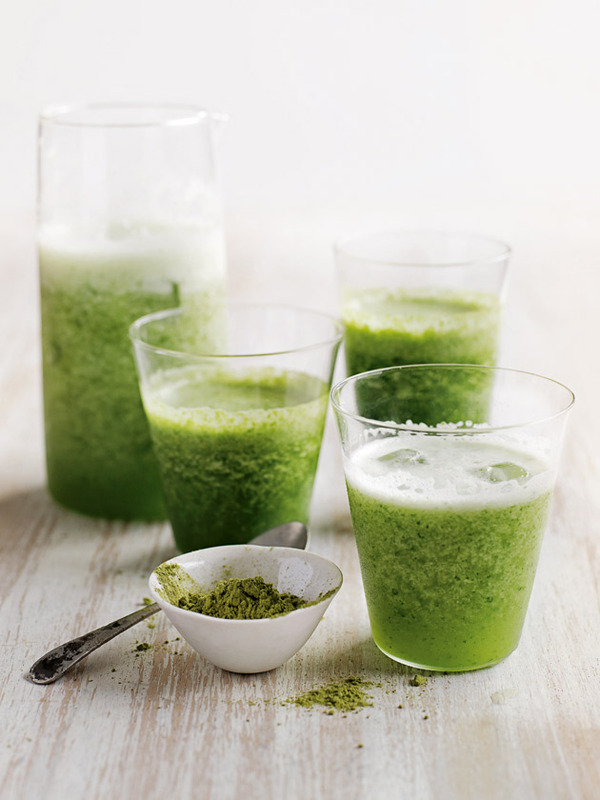 Whip up a smoothie brimming with good-for-you ingredients and superfoods. 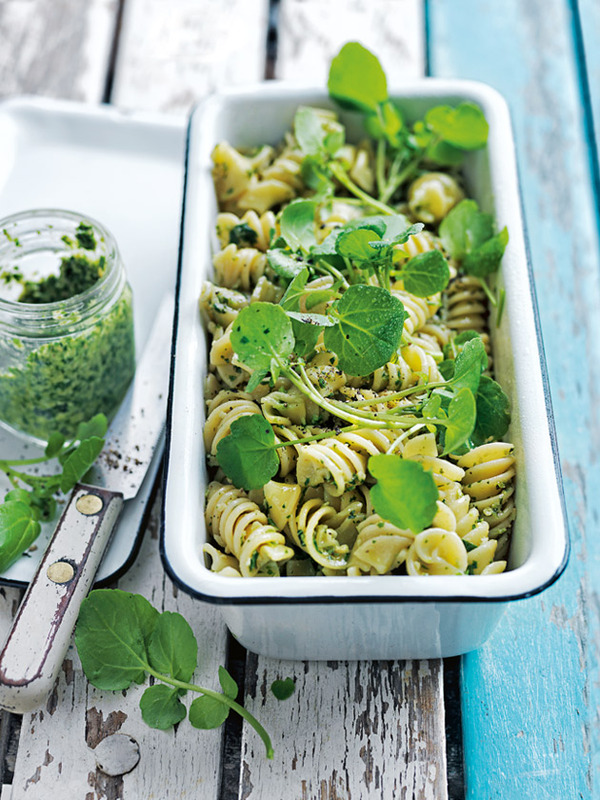 Perfect for a busy weeknight, this watercress and walnut pesto salad is made almost entirely from pantry staples. 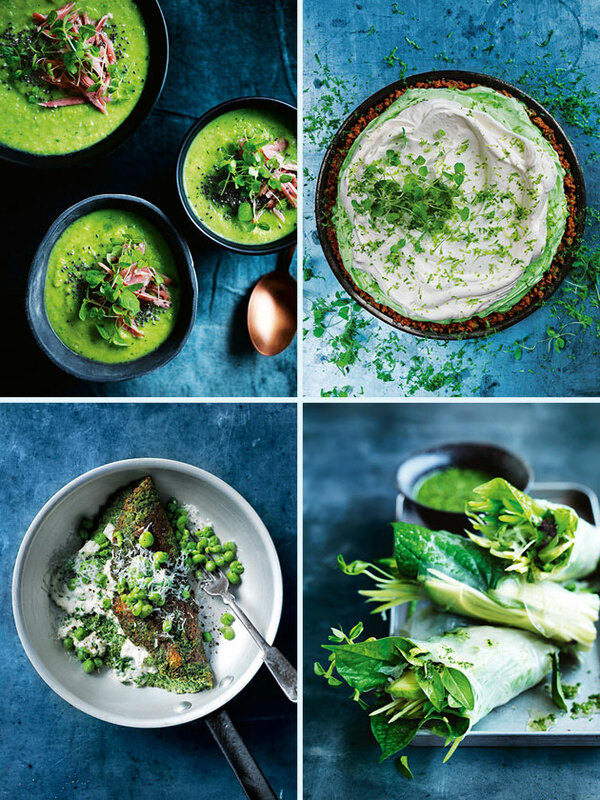 We’re celebrating St Patrick’s Day with a feast of green. 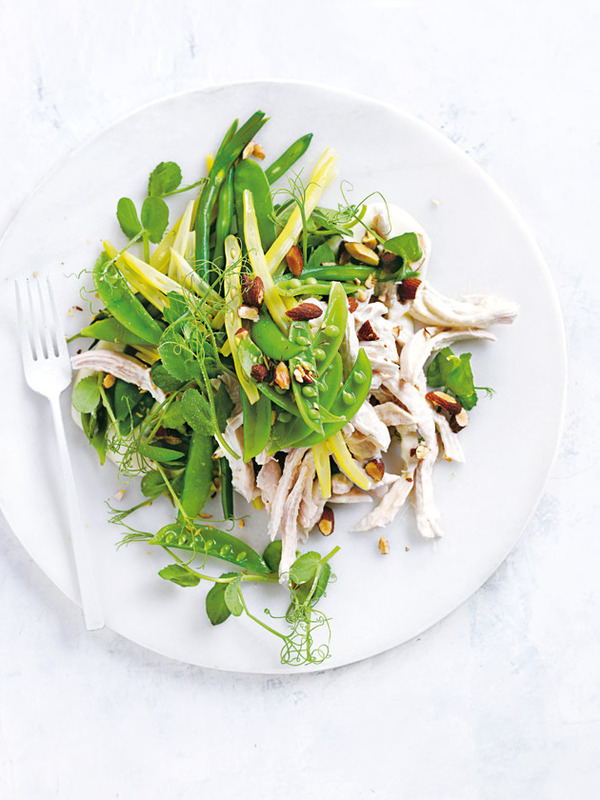 From snacks to salads and everything in between. Click on each pic for their recipes. 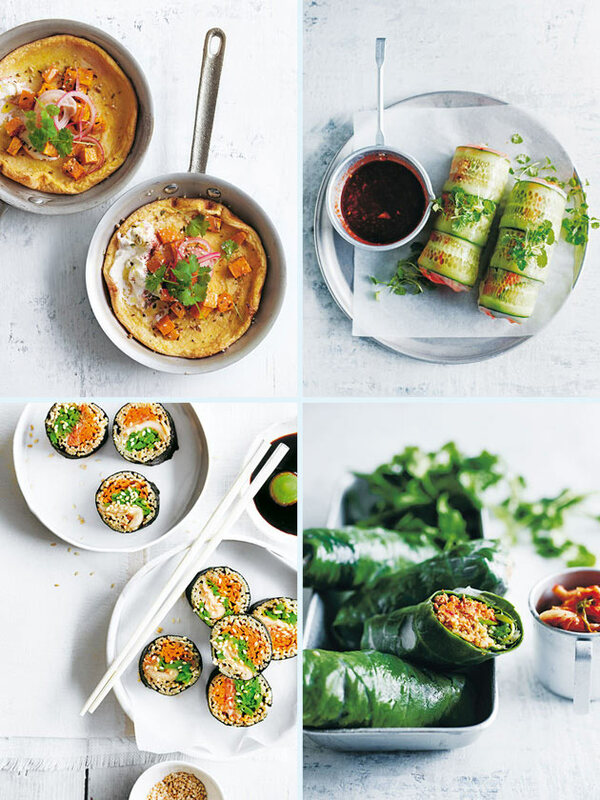 ​From raw tuna tortilla to sweet potato omelette and smoked salmon avocado spinach rolls, your lunchtime fare has become a lot more exciting! 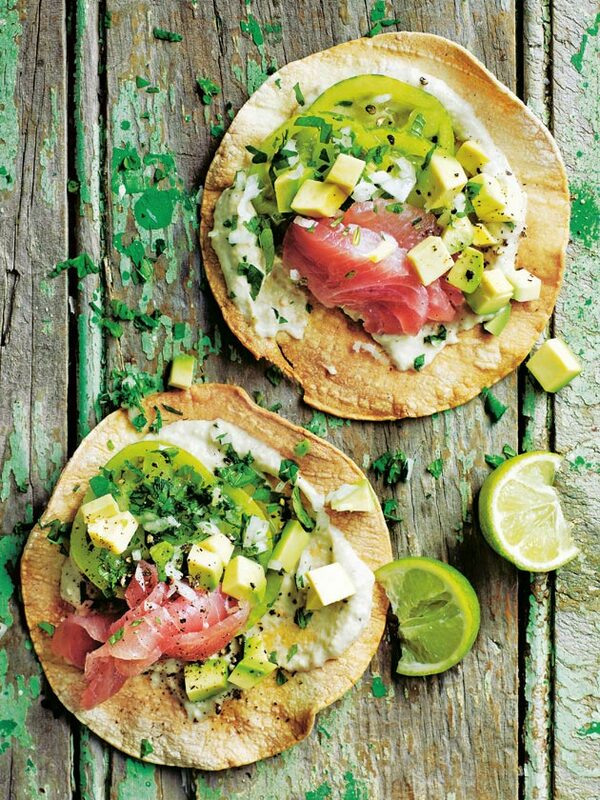 A virtuous spin on the Mexican classic that's super simple to make and is sure to go down a real treat! We've experimented with a few different ingredients – like kimchi, nori and green tea soba noodles – to make this Fresh + Light sushi dish. 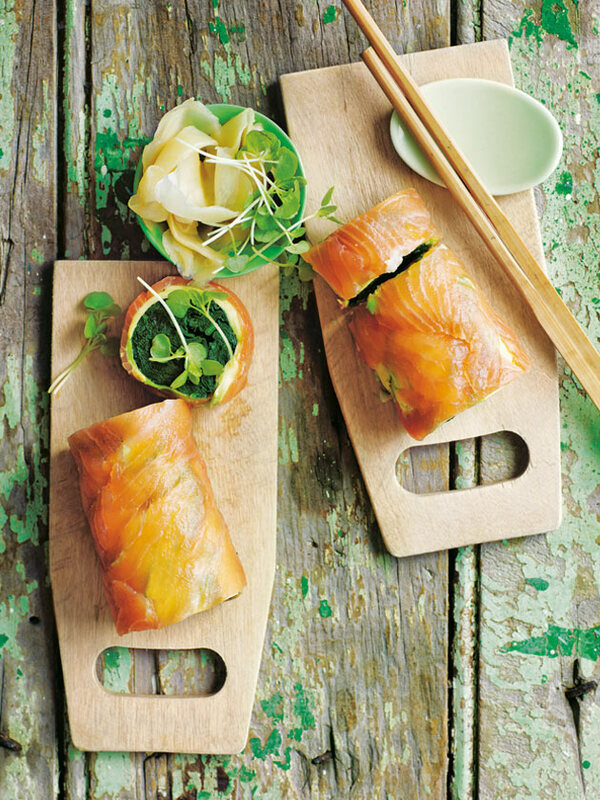 Salmon, avocado and spinach - the perfect combination for a light and wholesome lunch! 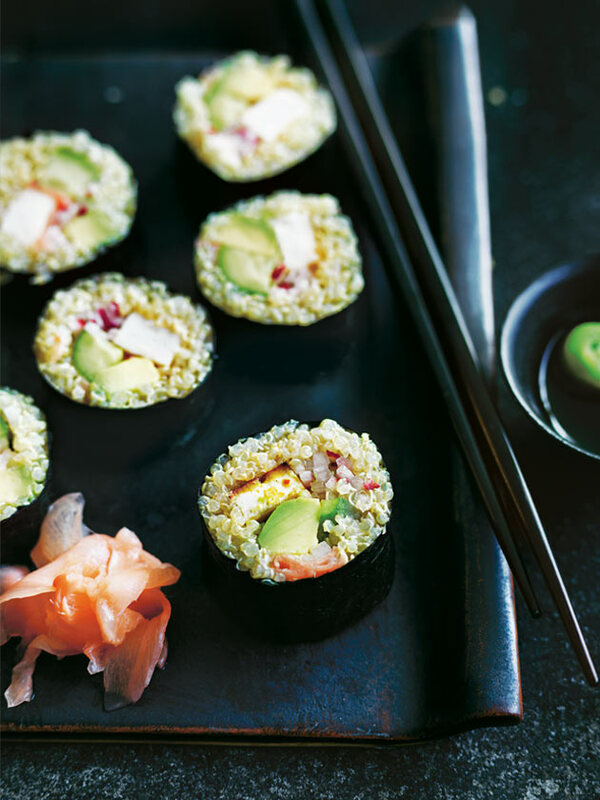 Using protein-packed quinoa in place of rice gives this traditional sushi dish a deliciously Fresh + Light upgrade. 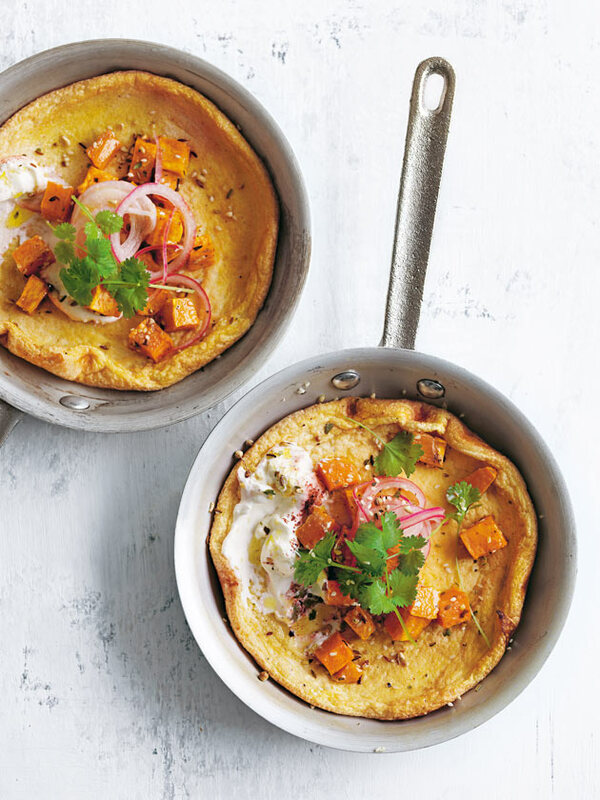 Give your lunch a protein-packed and flavour-filled boost with this sweet potato and labne omelette. 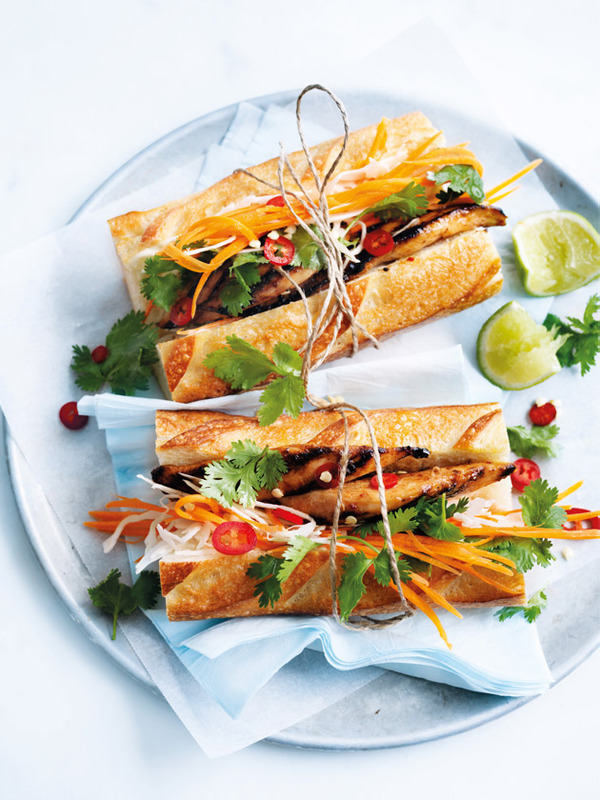 A light, yet satisfying lunch option bursting with flavour and freshness in the form of tofu and green tea noodle rice paper rolls. 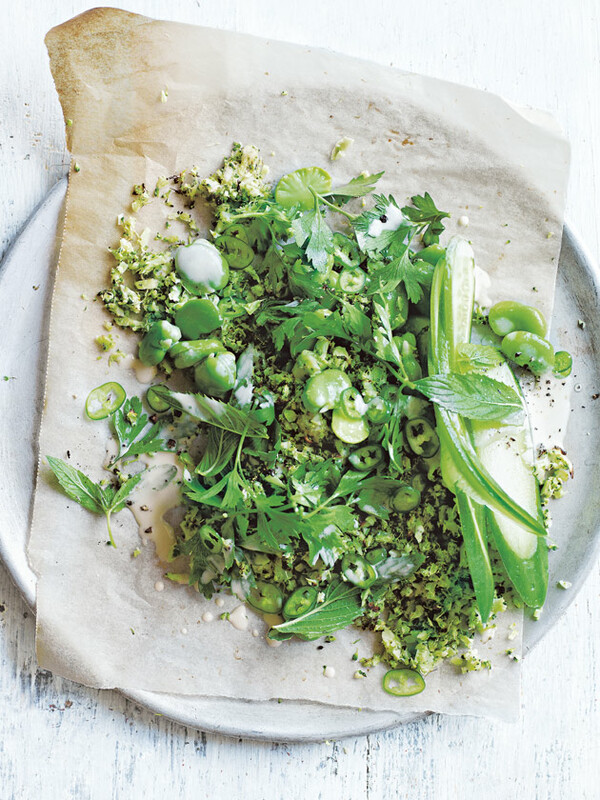 Fill your lunch with the good stuff – think betel leaves, green cabbage, snow peas, basil leaves, mint and avocado – and you'll soon start to feel good from the inside, out! 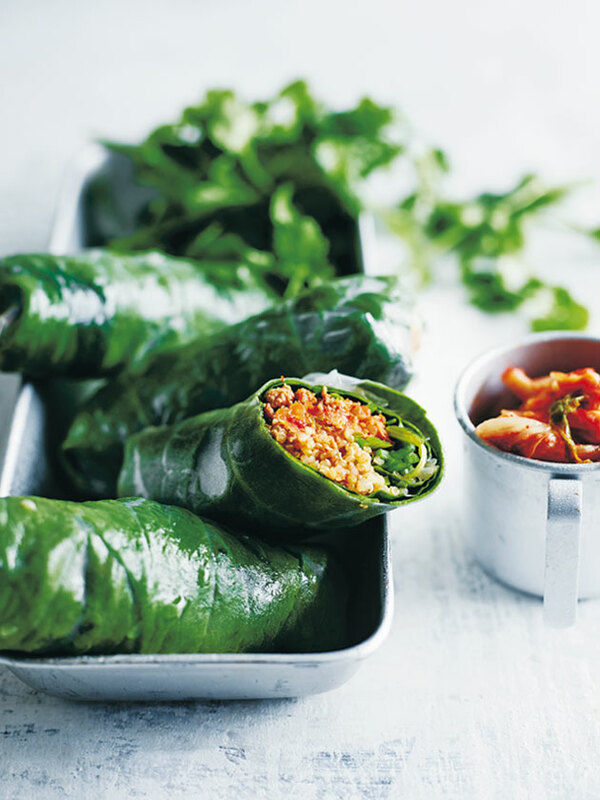 Try something a little different and add a layer of nutritious spinach leaves to your rice paper rounds. 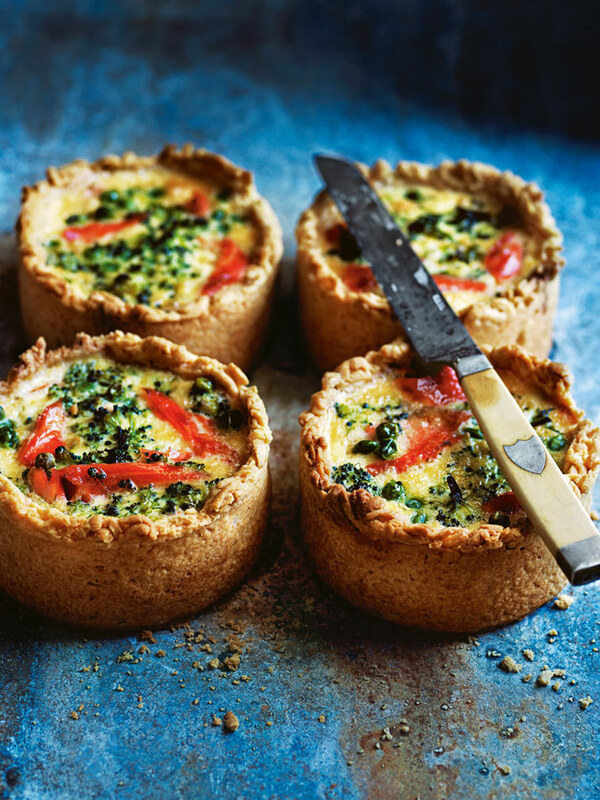 That's lunch, sorted! 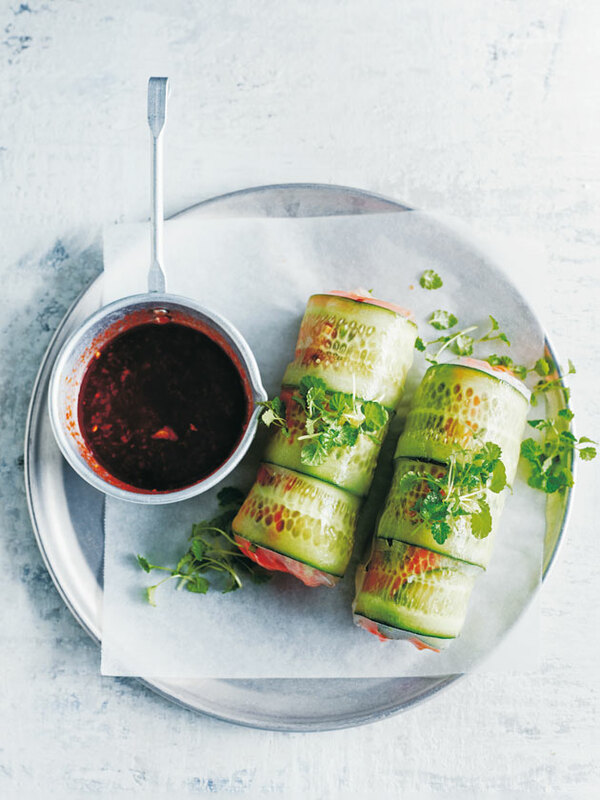 Upgrade your lunch break with these clever rolled lunches. 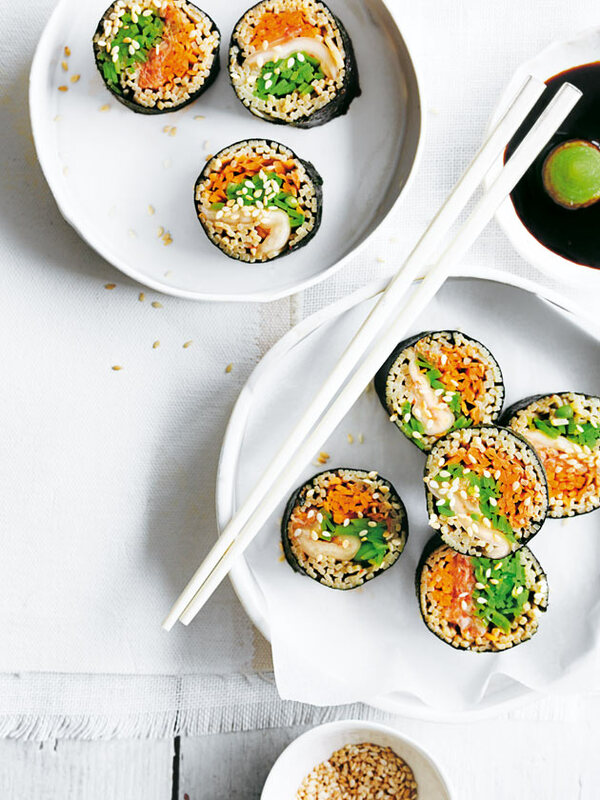 From amazing sushi to flavoursome tortillas and fresh rice paper rolls, they’re deliciously satisfying and so simple to make! 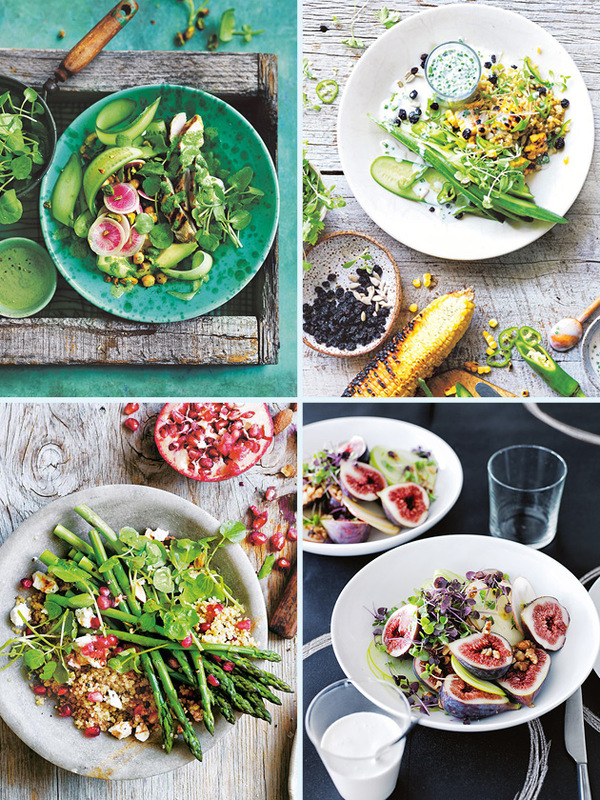 Everything you need for a super summer is crammed into our amazing best-of barbecue blog. Happy grilling! 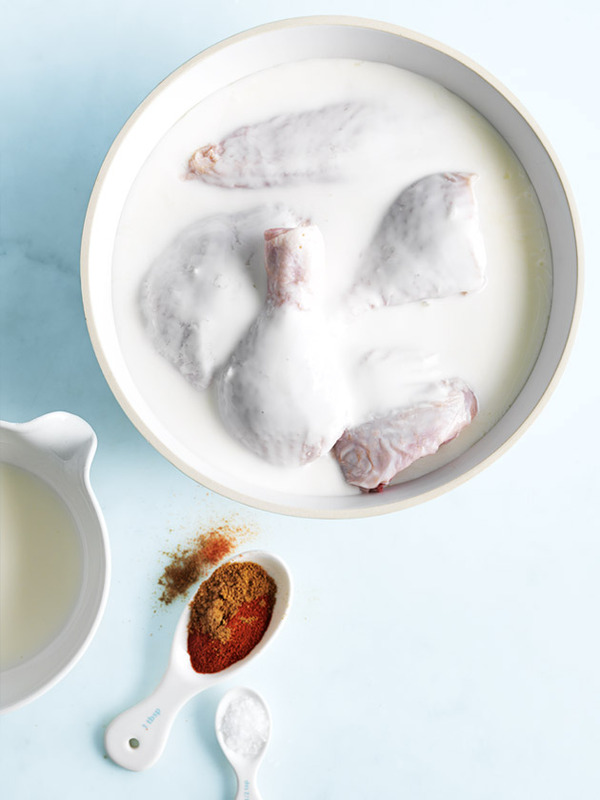 If you love juicy, succulent steak - buttermilk is your friend. 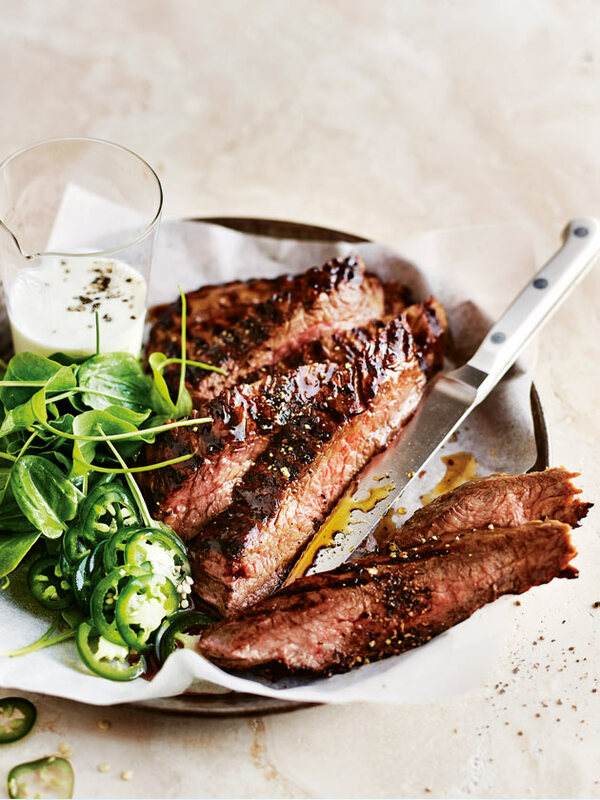 This steak is marinated in buttermilk, lime, garlic, coriander and of course jalapenos! 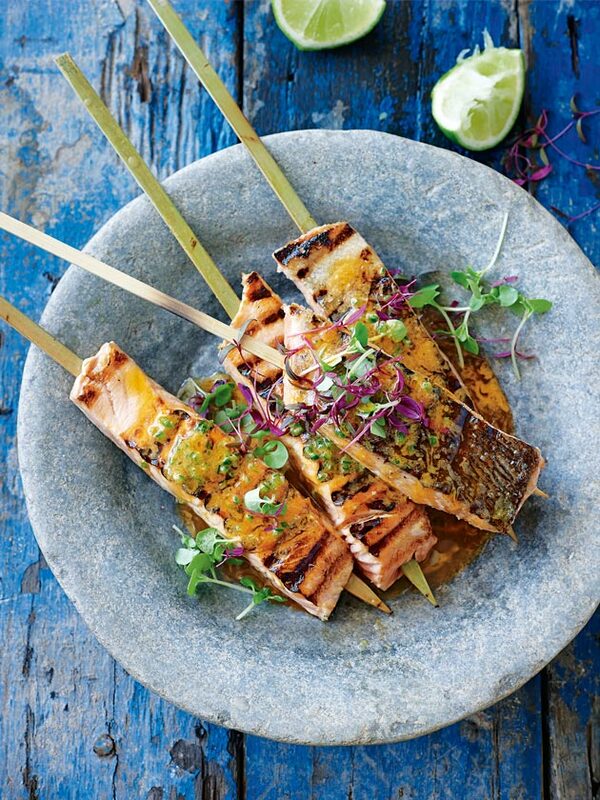 Take your perfectly barbecued salmon skewers to new heights this summer with a generous drizzle of chilli lime butter. 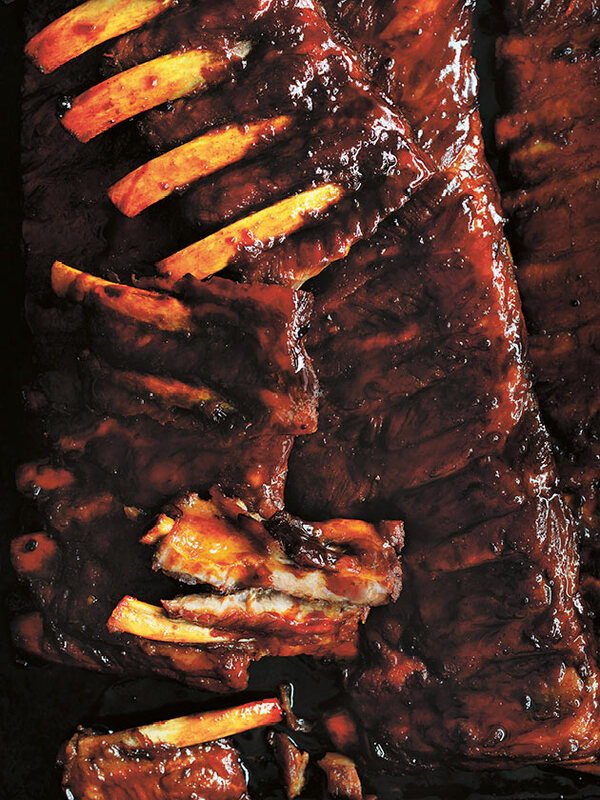 I don't know anyone who doesn't love sticky barbecued ribs! 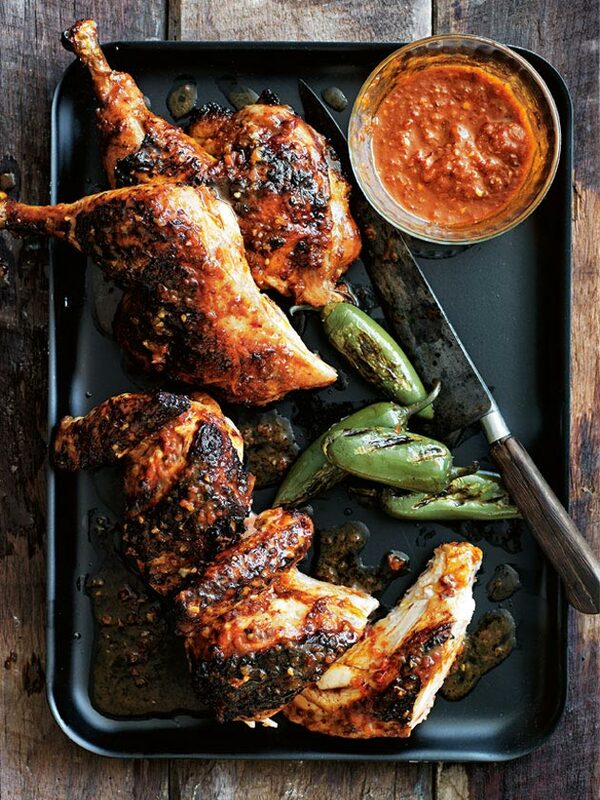 These are cooked with smoky paprika and a delicious homemade barbecue sauce. 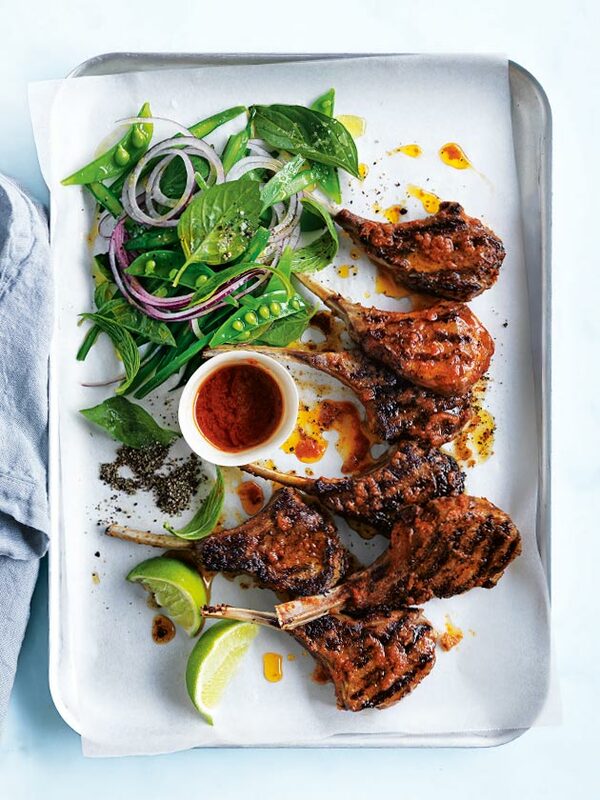 Not only are these char-grilled lamb cutlets melt-in-your-mouth delicious, they're also super quick and easy to make – just 20 minutes and you're done! 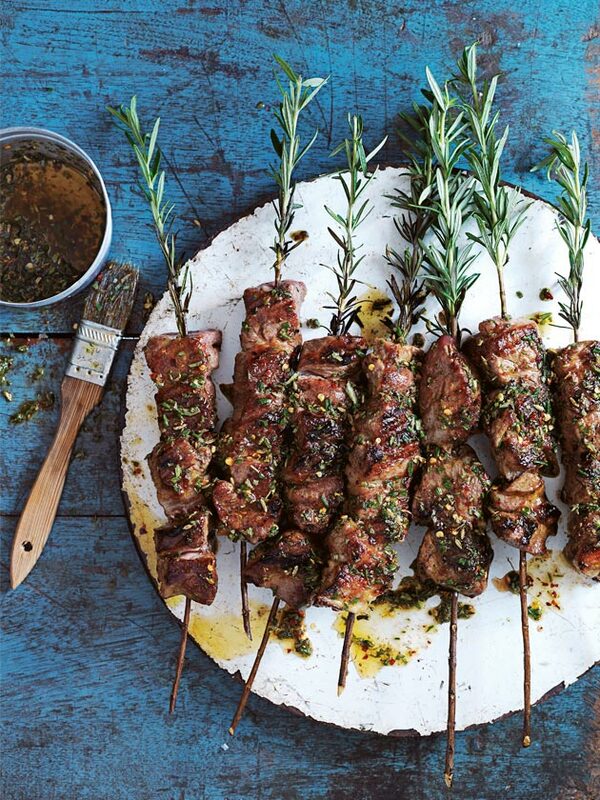 Gently infused with the flavour of rosemary, these show-stopping pork skewers are perfect if you're entertaining. Barbecues don't stop at steak! 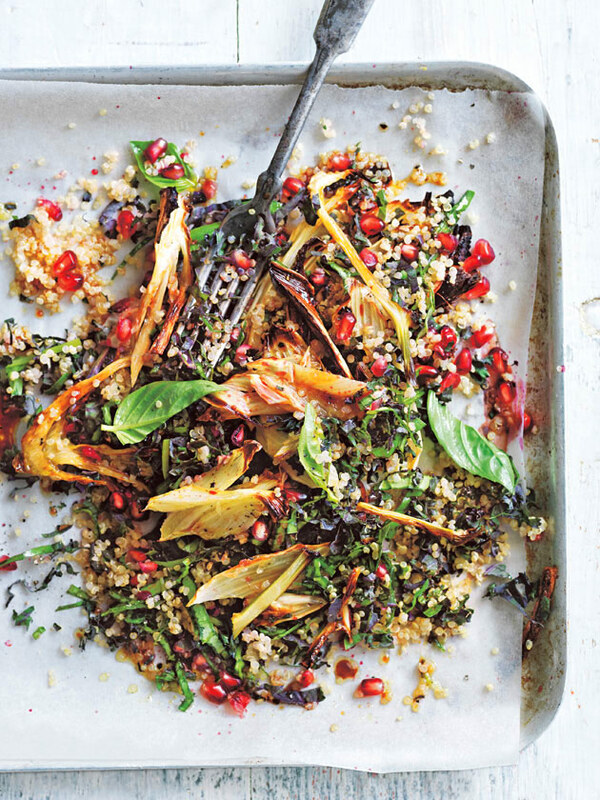 Give this fresh and simple Mediterranean seafood dish pride of place on your table this summer. 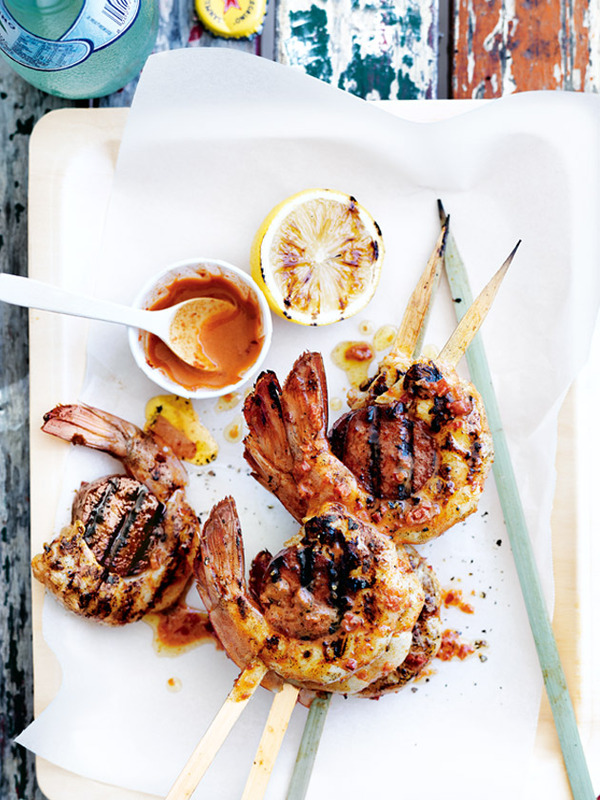 Add a touch of spice to your barbecued prawns this weekend with chorizo slices and a smoky piri piri sauce. 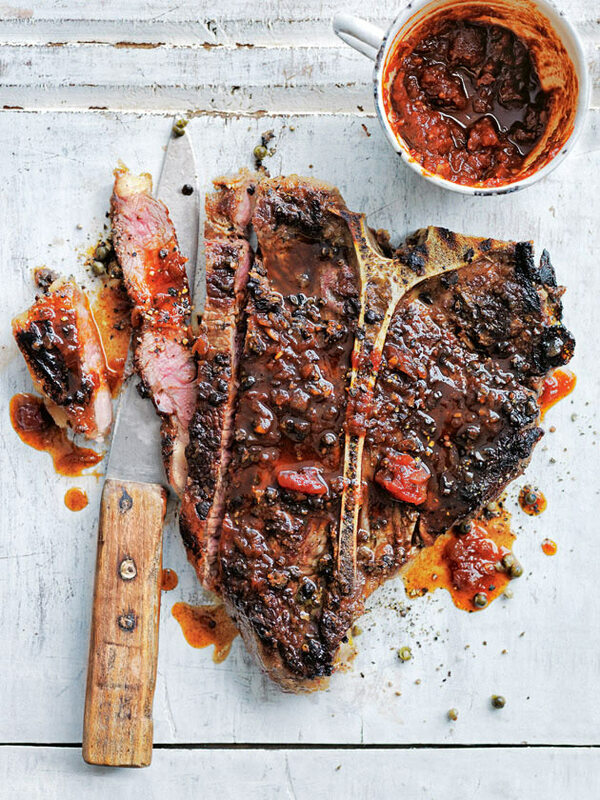 This tender, green peppercorn t-bone steak, generously drizzled with homemade smoky barbecue relish is summer grill perfection! 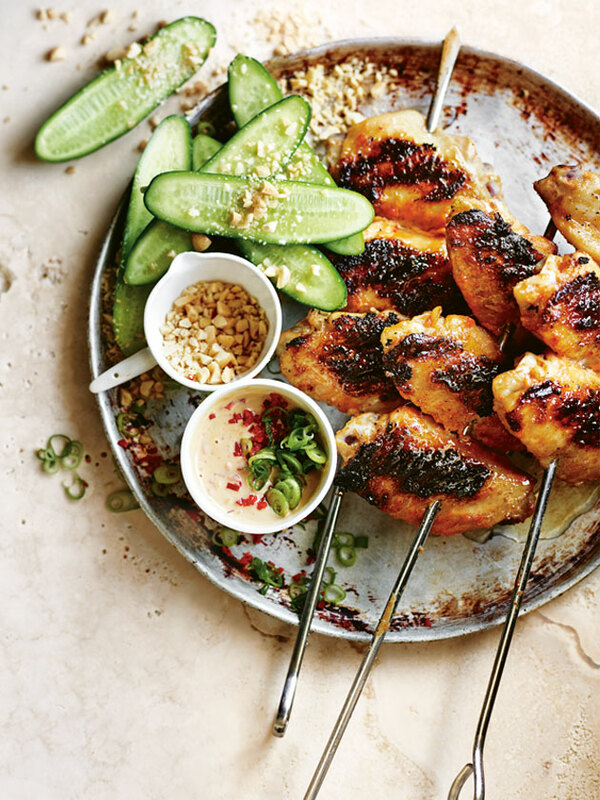 Spice up your chicken with a fresh twist on a classic. 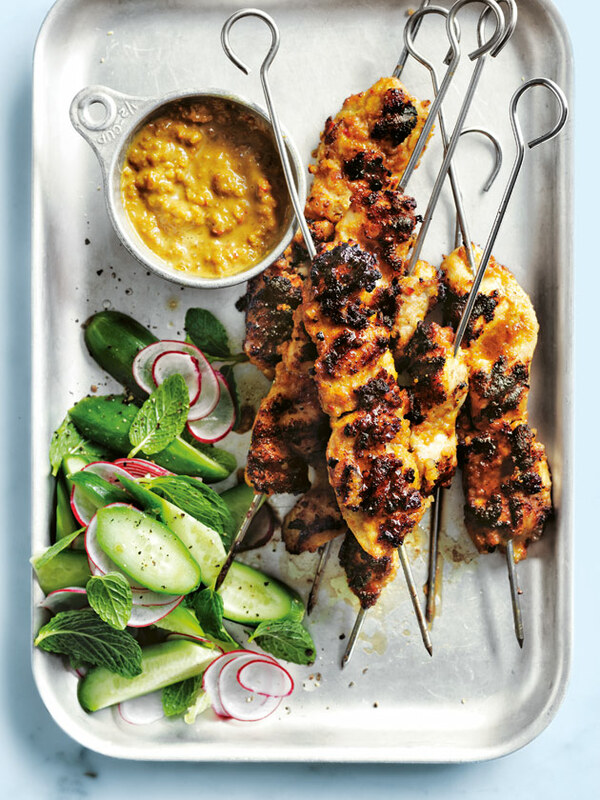 Brined in zesty lime and tequila, with an irresistible smoky chilli sauce and peppy jalapenos, this is chicken at its best. 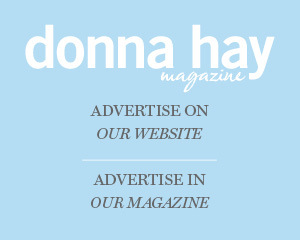 Click the images to see recipes and click below for Donna’s top tips for barbecue perfection! Well, it is Christmas after all! 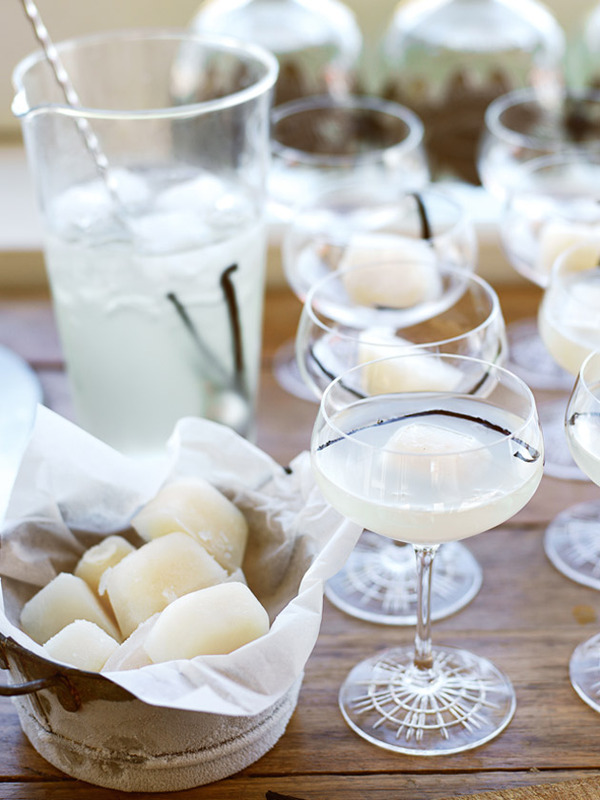 Time to share some of our favourite festive cocktails to add to your drinks menu this party season. If you need something festive fast this drink is super simple to make. 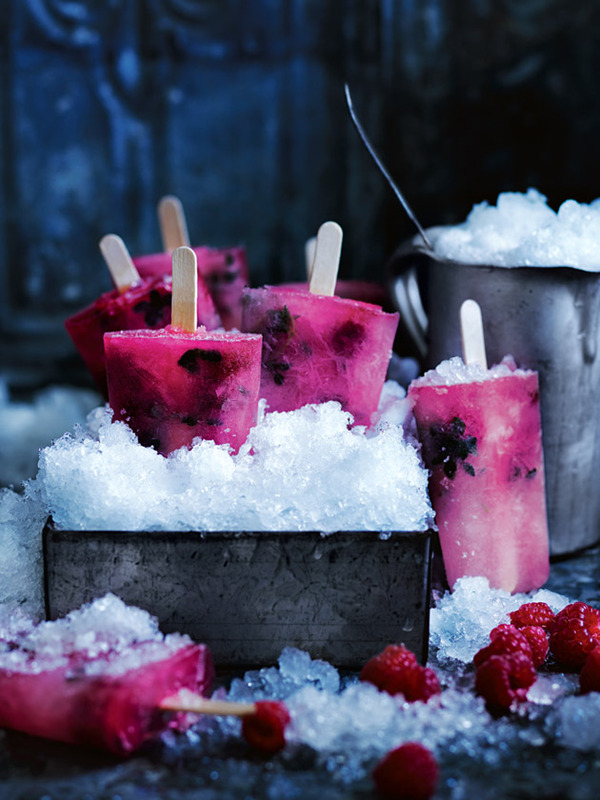 Top it off with a few strategically placed berries and you have Christmas.perfection! Sophisticated and complex. 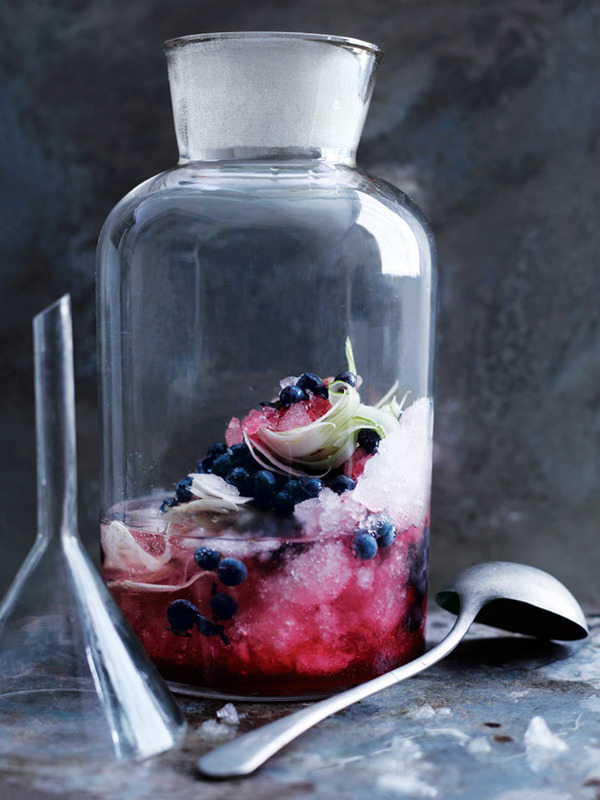 This vodka infusion will leave your your guests thinking you're a mixology master! 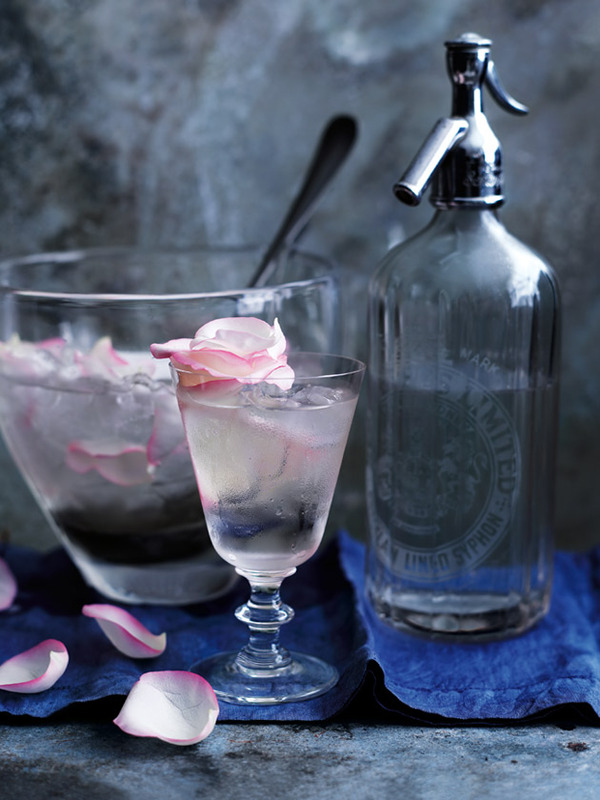 The delicate aroma of rose water makes the perfect partner for delicious prosecco. Perfectly dressed with some pesticide-free rose petals. 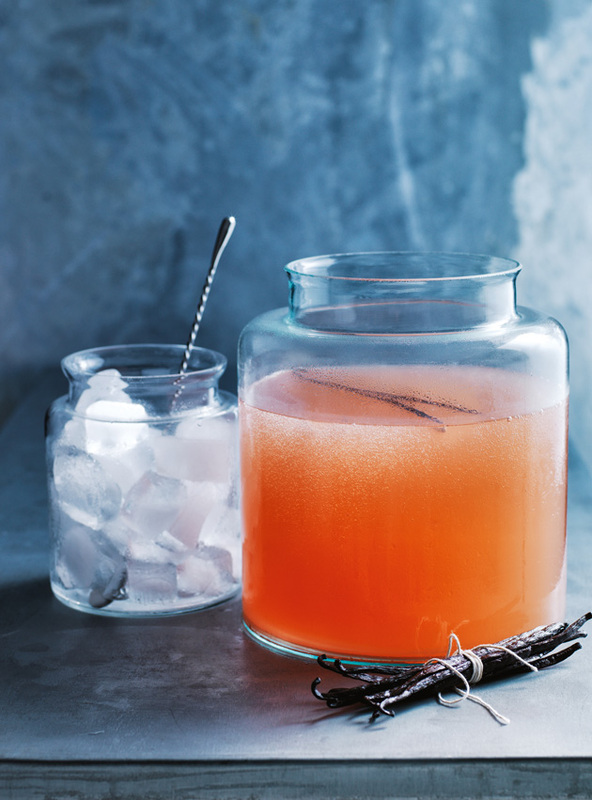 If you like a touch of tang in your party drink, this one's for you. 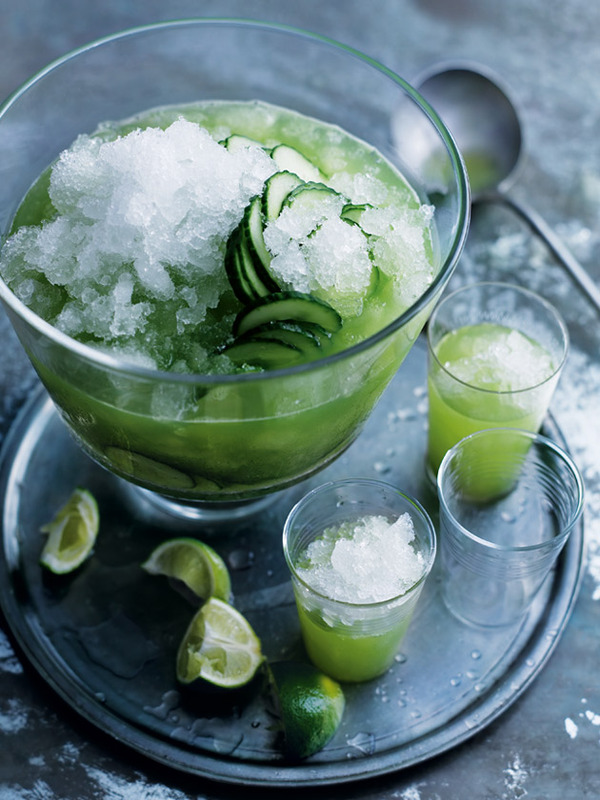 A refreshing mix of lime, lemongrass and cucumber bring new life to white rum. 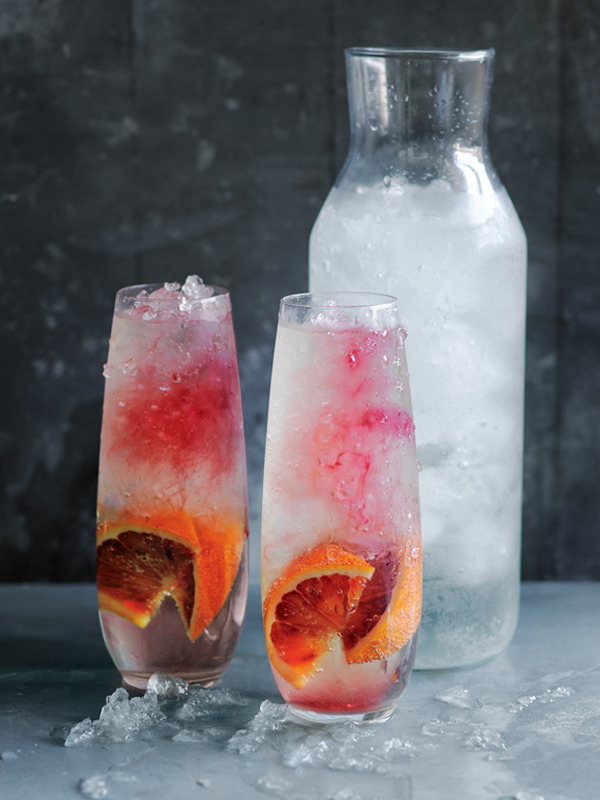 What's not to love about a tall glass loaded with chambord, rosehip, blood orange and sparkling wine? 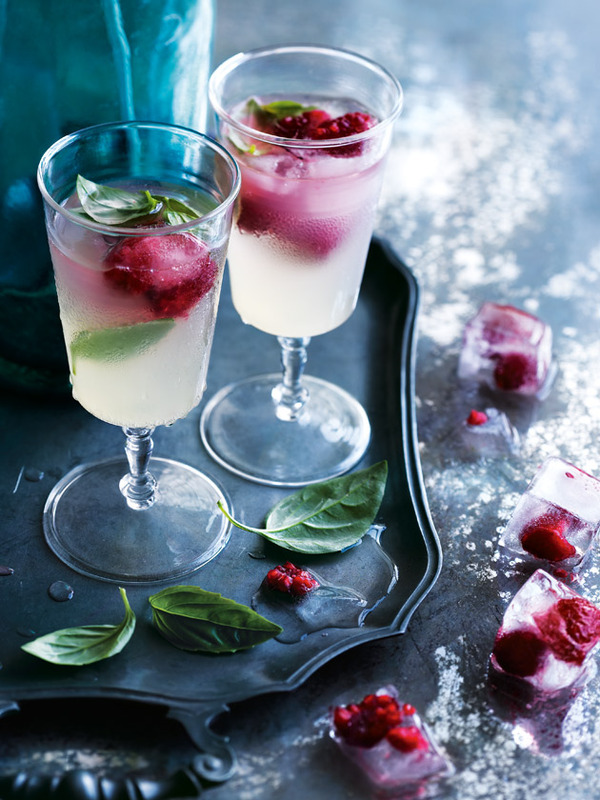 Perfectly pretty raspberry ice cubes transport this simple vodka lime to a party-season high. 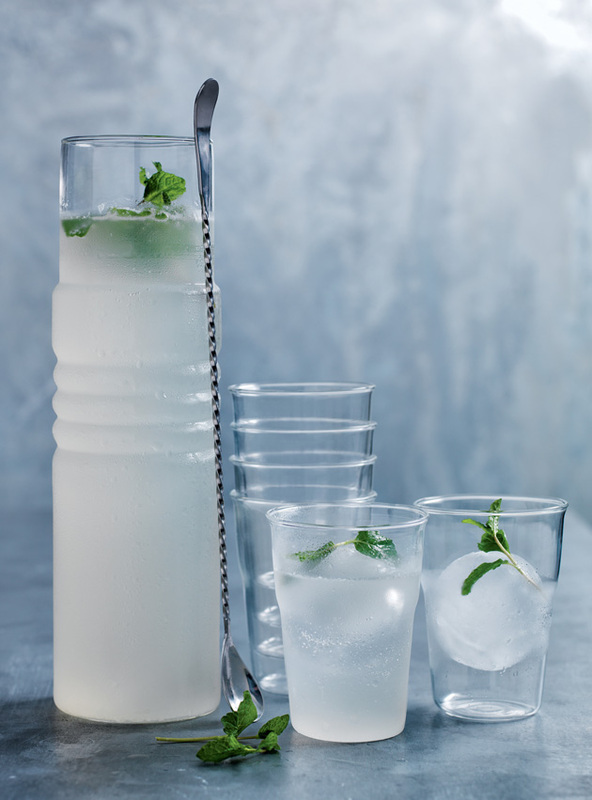 A refreshing, fruity treat every summer party needs loaded with pink grapefruit, coconut water, vodka and a touch of vanilla. 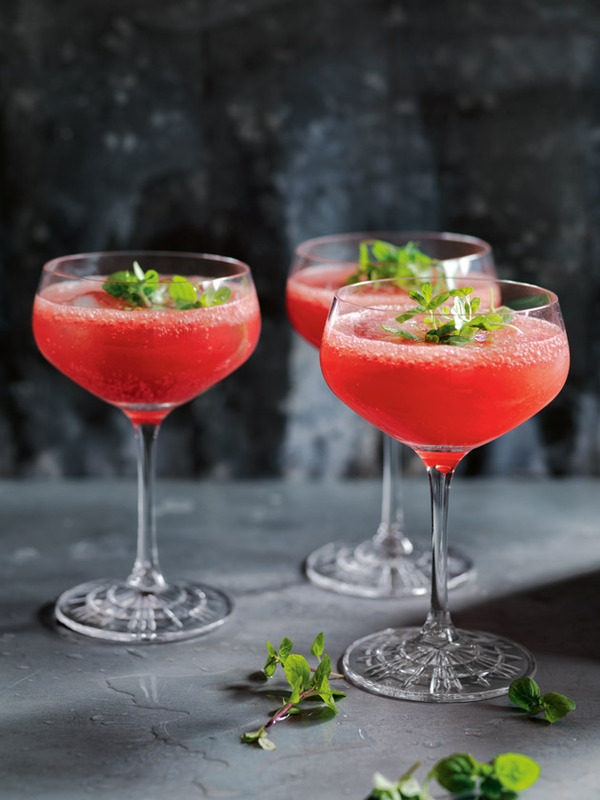 Sweet, juicy watermelon is the perfect fruit for cocktails and pairs perfectly with champagne or sparkling wine. 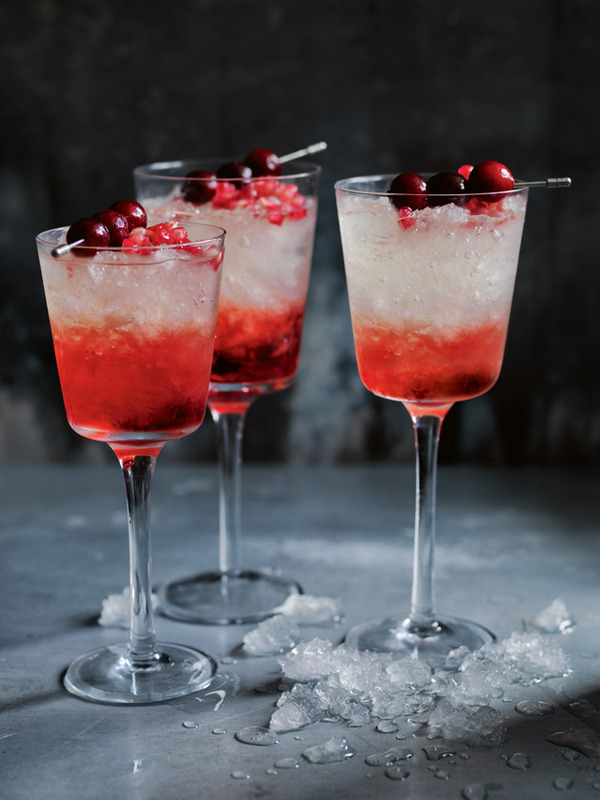 Raise a glass and bring on the Christmas cheer with our fine selection of zesty, fruity and bubbly festive cocktails. 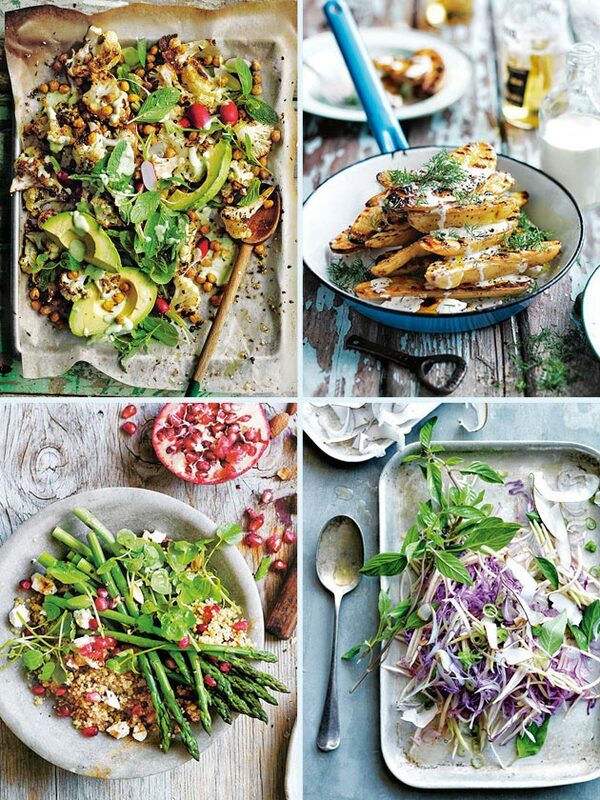 Click on each pic for the delicious recipes. 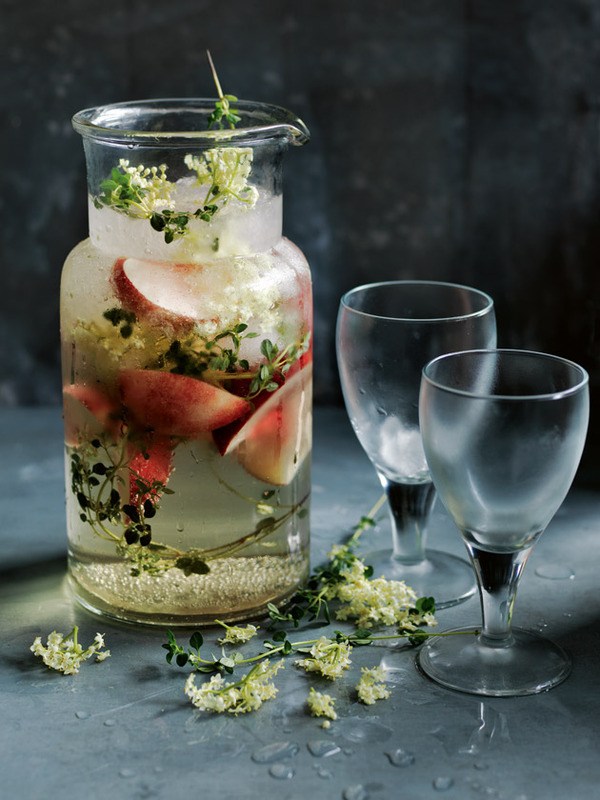 An all-round crowd-pleaser, a jug of this deliciously fun and fruity white peach and elderflower cooler will surely get the festive celebrations going in full swing. 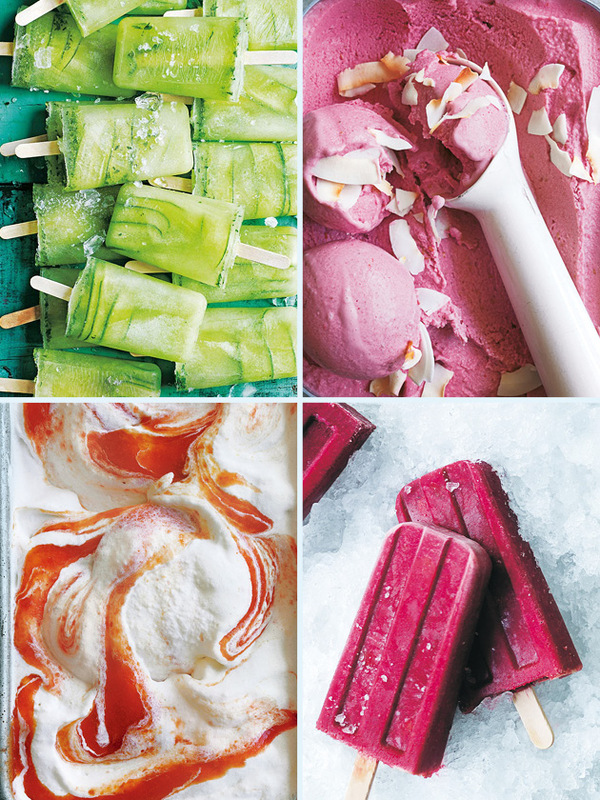 Sweet, juicy watermelon is the perfect summer fruit for cocktails and pairs perfectly with champagne or sparkling wine. The harmonious blend of tropical coconut, zesty lime and fresh mint makes this Christmas concoction an instant refresher. Pomegranates can be a little tricky. 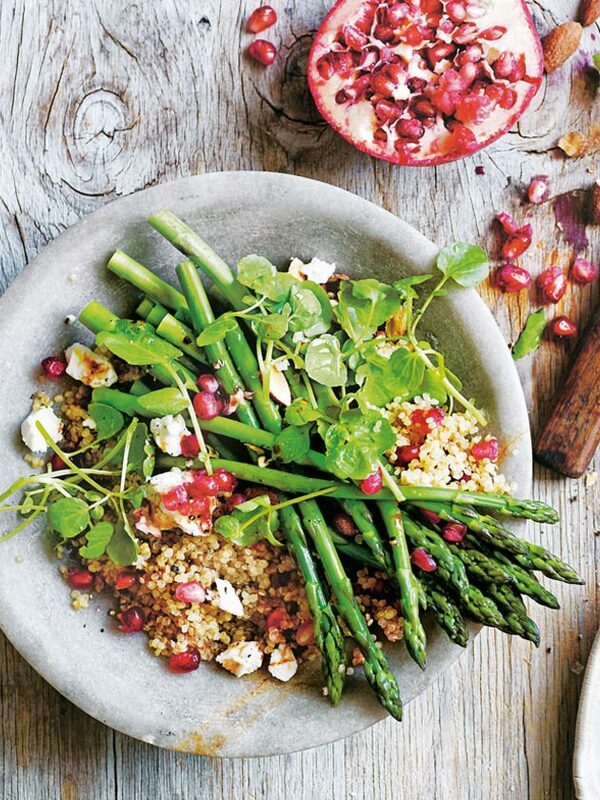 To loosen the seeds, roll the pomegranate on a bench, cut in half and scrape the seeds into a bowl. Cheers to that! No travel plans over Christmas? No worries! 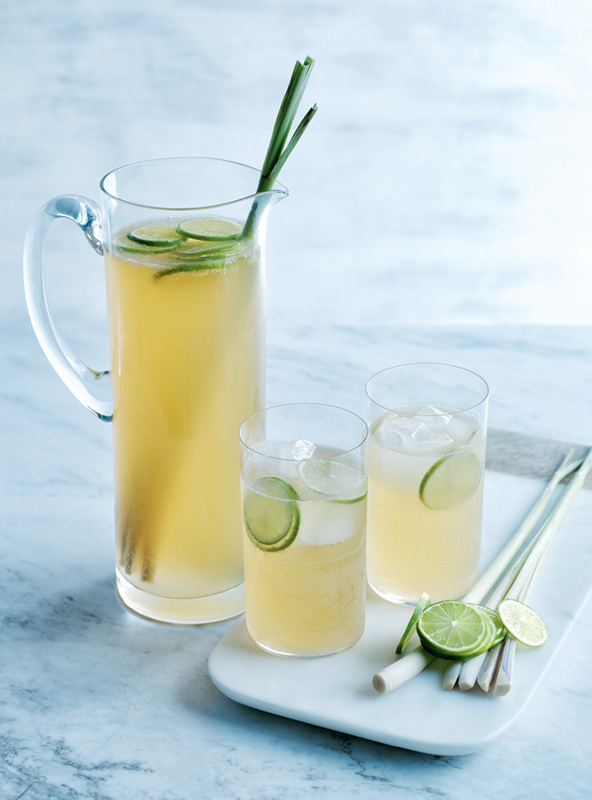 One sip of this ginger, coconut and lime-infused drink will transport your senses to a tropical haven. 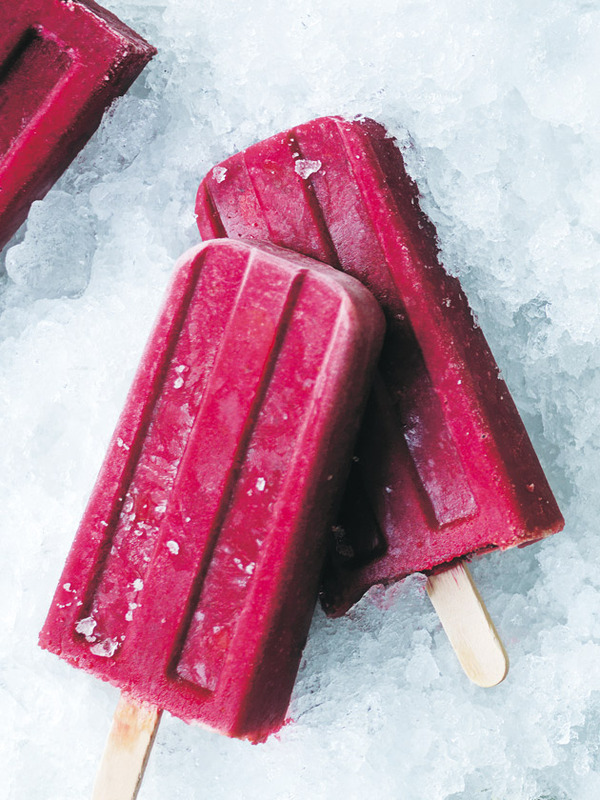 Blood red and oh-so-sweet blackcurrant is making a comeback. Paired with champagne and a sprinkle of rose petals, you'll fall in love with its magical charm. 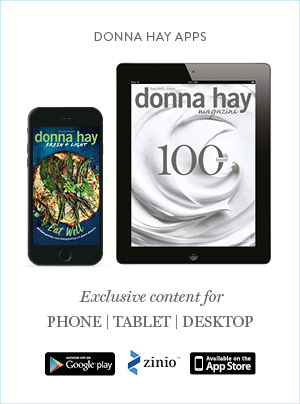 Shaken or stirred, this delightful martini is Donna's specialty cocktail. 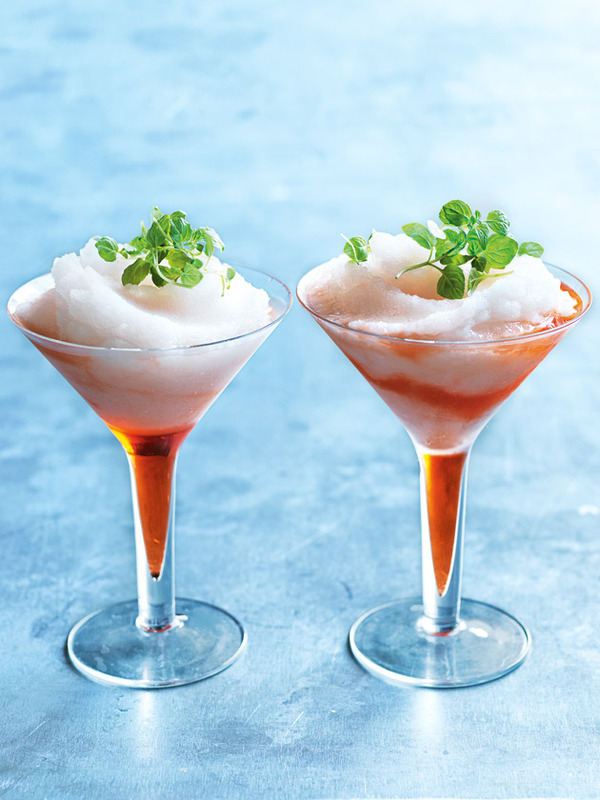 She uses deliciously pretty lychee ice cubes to guarantee the flavour stays strong! 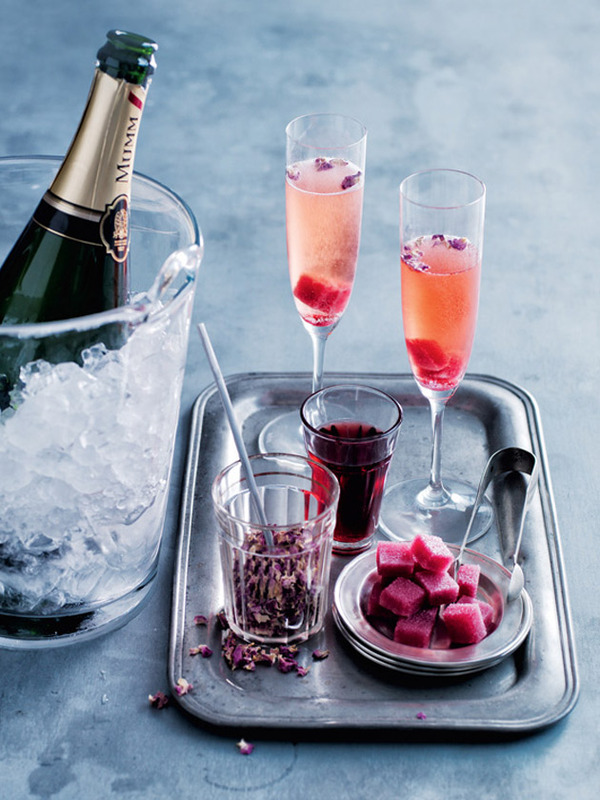 A celebration wouldn't be right without bubbles! 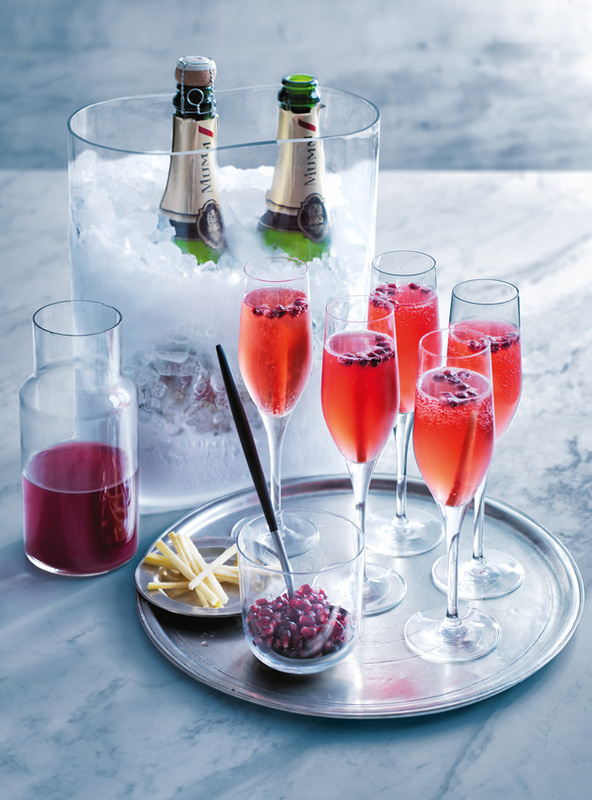 Keep the smiles wide and spirits high with a generous topping of champagne with your pomegranate and ginger-filled flutes. 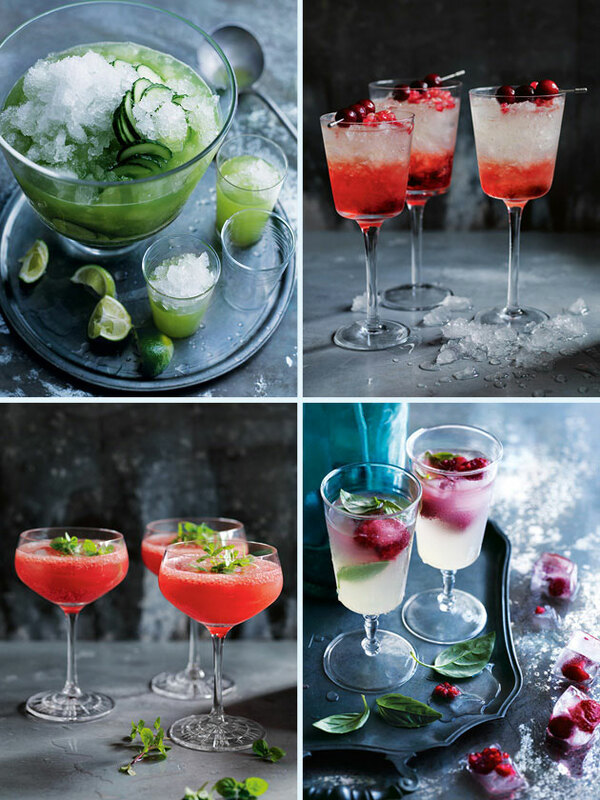 Whether you fancy a fruity punch or a smooth martini our favourite elegant cocktails will add a bit of spritz and sparkle to your festive gathering! 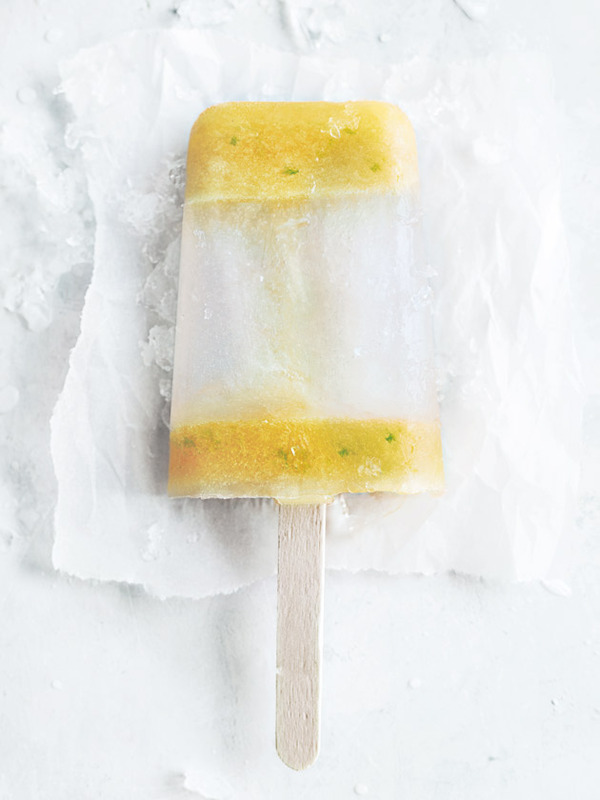 This irresistible frozen slice is deliciously simple. 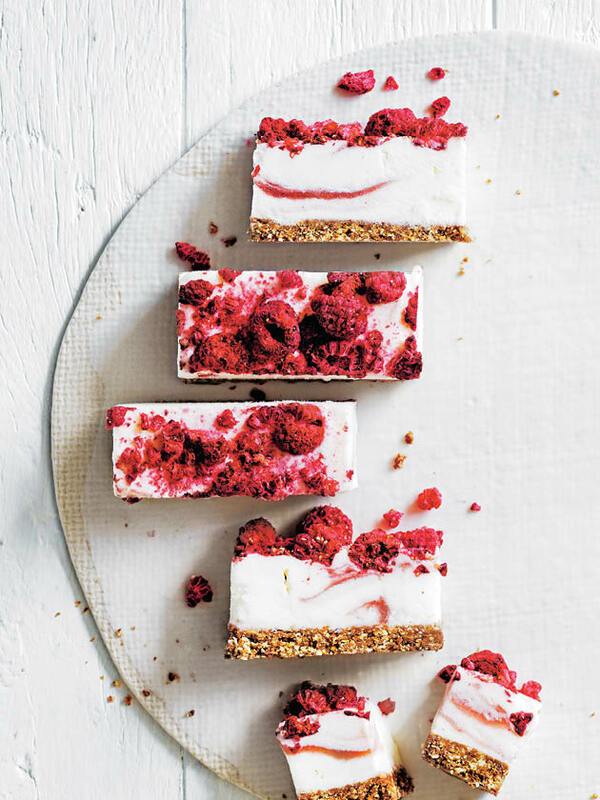 The no-bake nutty base is topped with Proud & Punch frozen Greek-style yoghurt with raspberries, blueberries & strawberries and a sprinkle of freeze-dried raspberries. 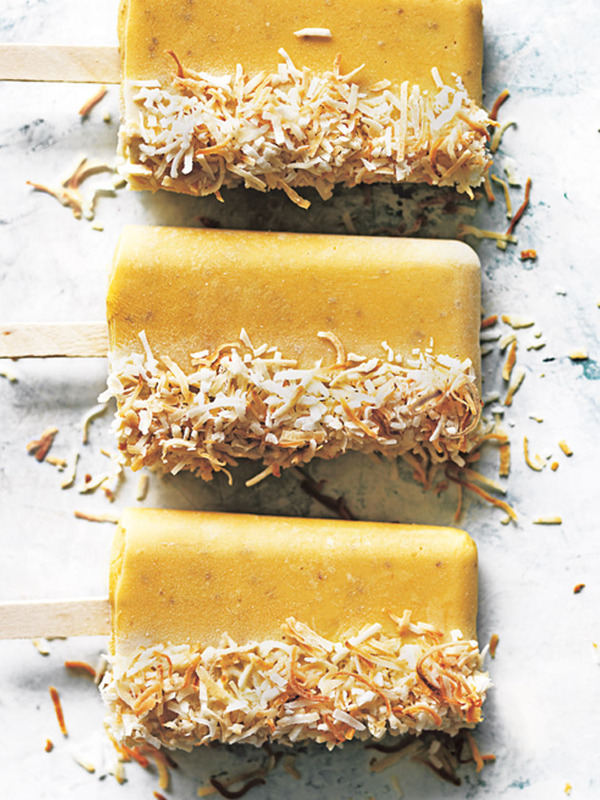 Made with fresh mango and ultra-hydrating coconut water, these tropical popsicles are the ultimate frosty treat to while away scorching afternoons. 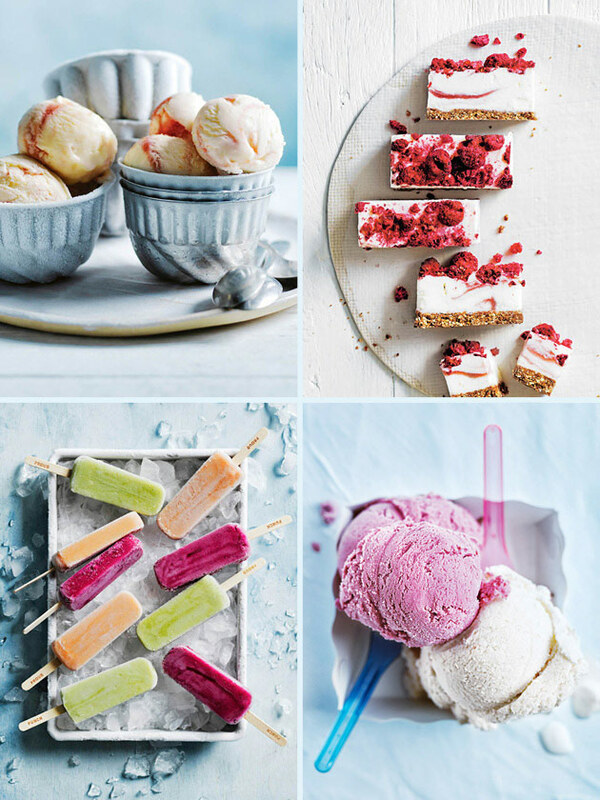 Creamy scoops of frozen yoghurt are one of our favourite summer staples. 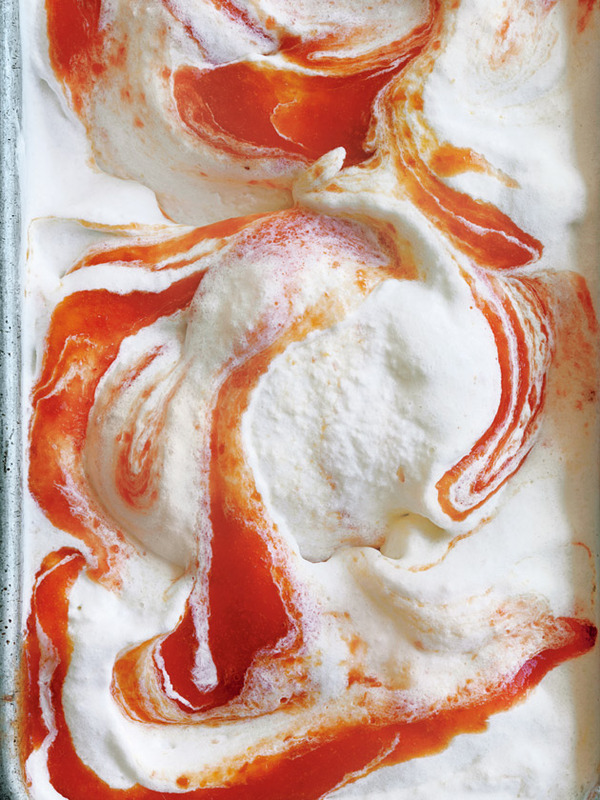 When we don’t have time to make our own, we love this Proud & Punch blood orange and mango frozen Greek-style yoghurt, bursting with fruity swirls and tangy flavours. 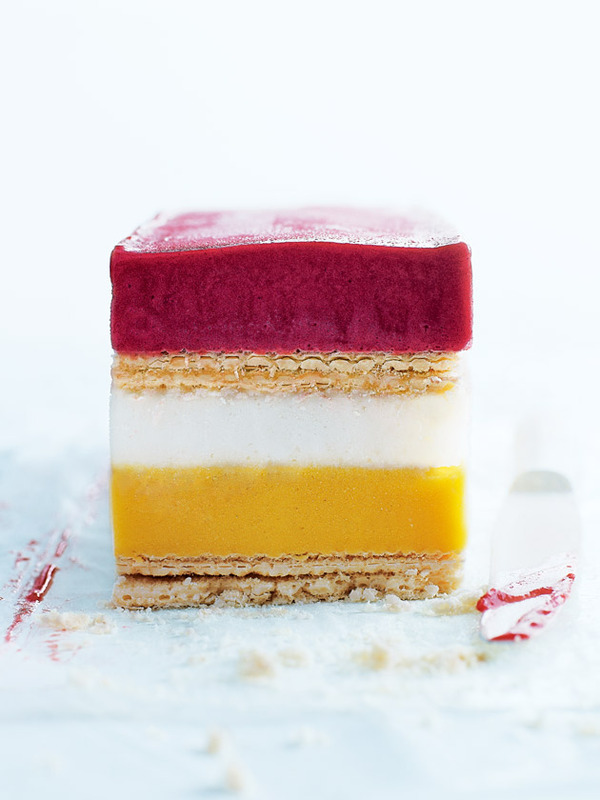 With vibrant luscious layers of mango, lychee and raspberry, this clever sorbet slice is what summer dreams are made of. 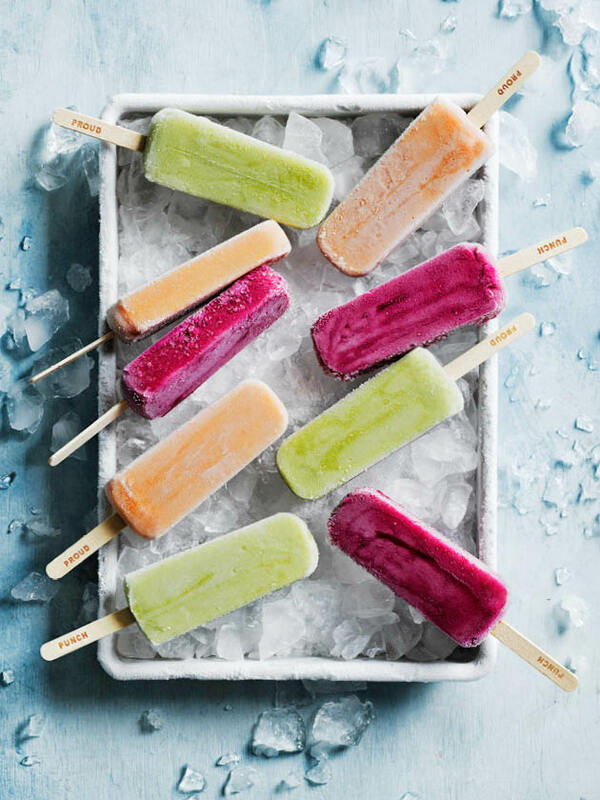 Treat your taste buds and get a bonus boost of goodness with these frosted pops! 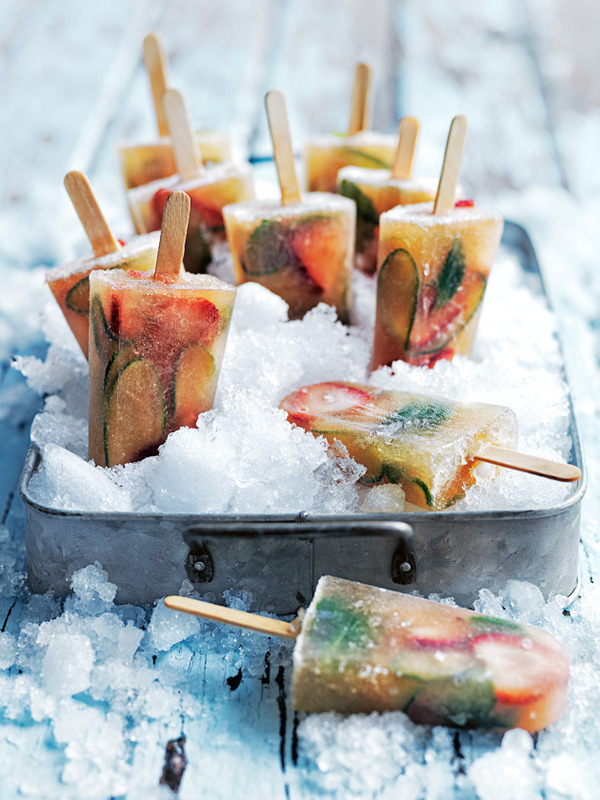 Packed with nutritious fruits and veg (including apples, pears, beetroot and more), they're the perfect feel-good refreshers. 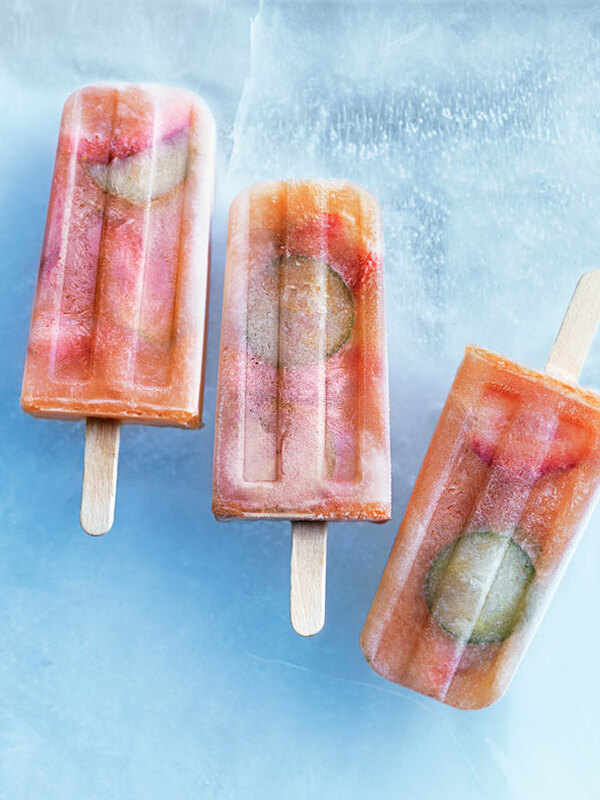 You need just three simple ingredients to make these super-refreshing coconut, raspberry and lychee popsicles. Marvelous! 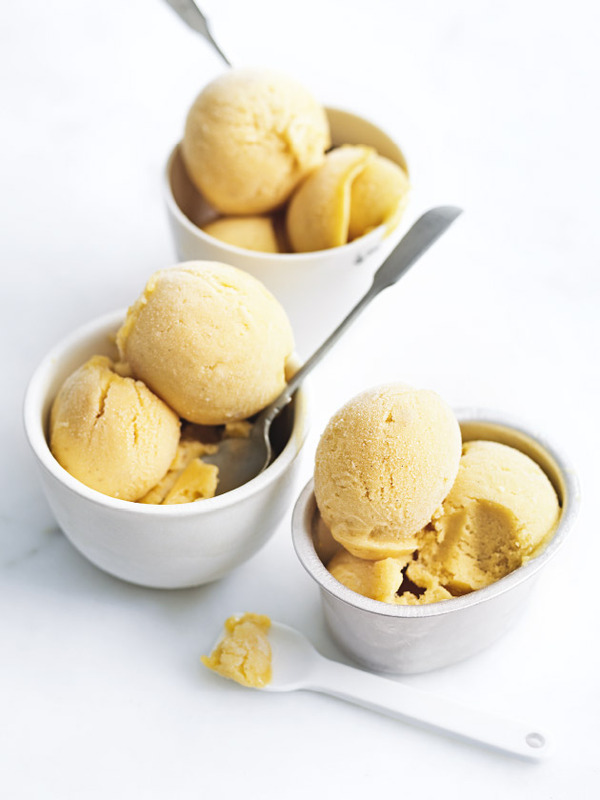 Beat the heat with this all-too-easy recipe for the creamiest, silkiest ice cream. 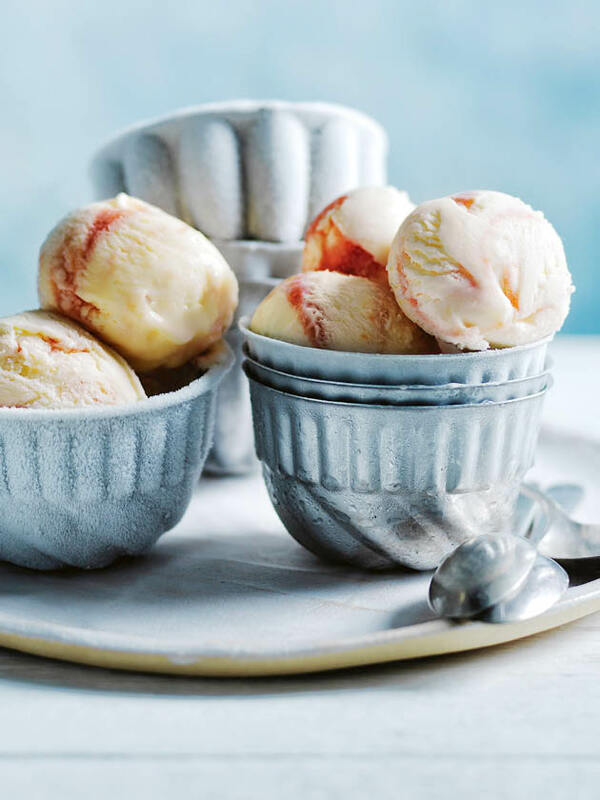 Our clever cheat’s method means there’s no clunky ice-cream machine required, so you’ll have heavenly scoops in no time at all. 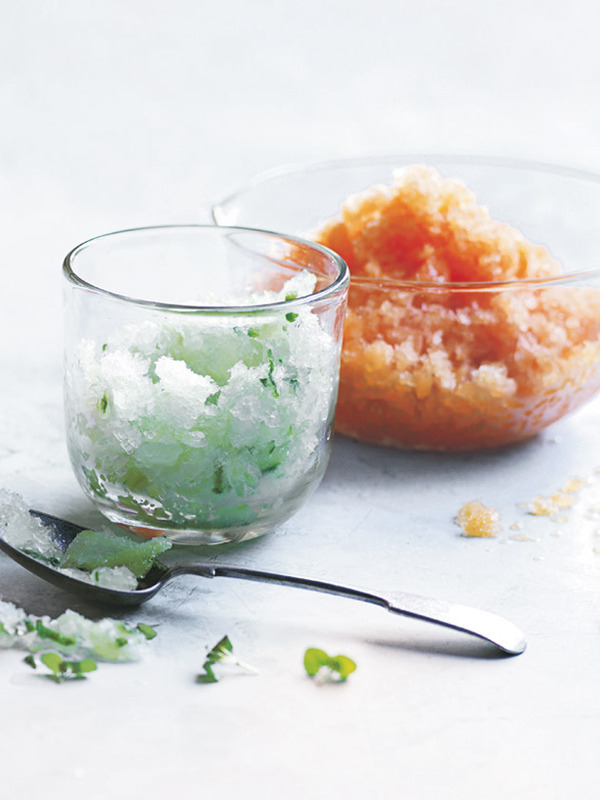 A refreshingly icy granita bring a touch of subtle sweetness to sunny days, and these two super-simple recipes are packed with all-natural fruit flavours. 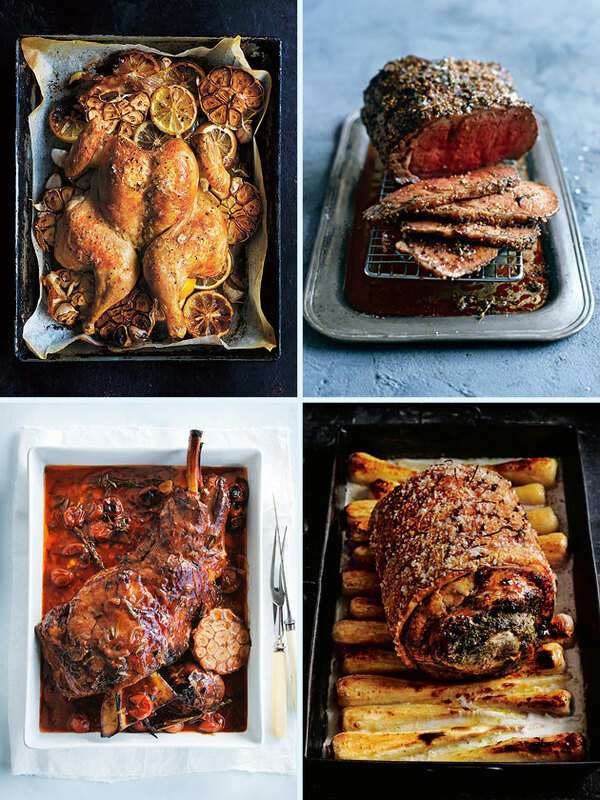 From crispy pork belly to slow-cooked beef brisket and tender lamb shoulder, these are our all-time favourite roasts - guaranteed to make Sunday special. 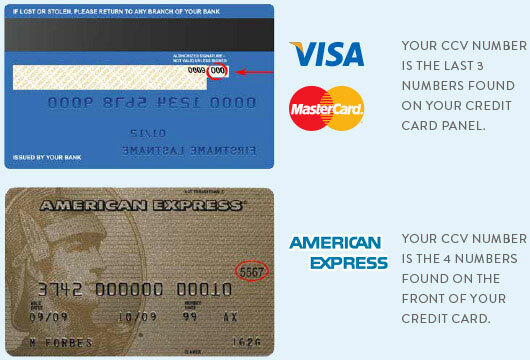 Click the images for recipes. This one's a favourite with dinner guests. Tender on the inside and crispy on the outside with a little added kick, thanks to the bourbon, paprika and cayenne. You'll win the trophy for most beautiful roast. 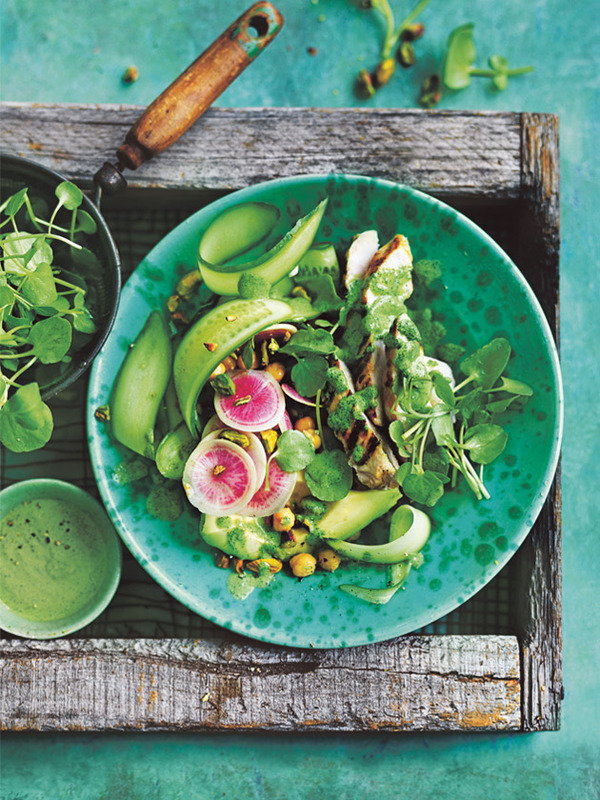 The contrast of deep browns and vibrant greens is enough to make anyone's tastebuds dance. 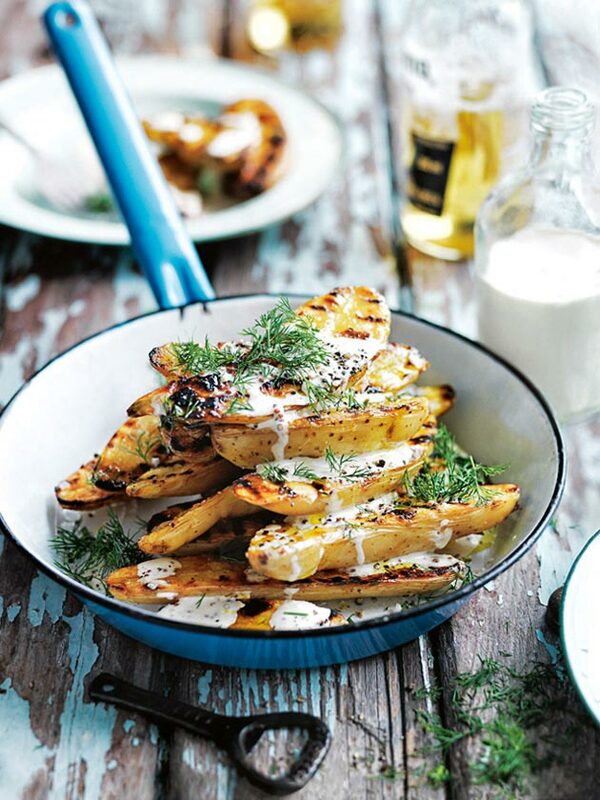 A lighter option to roast potatoes. 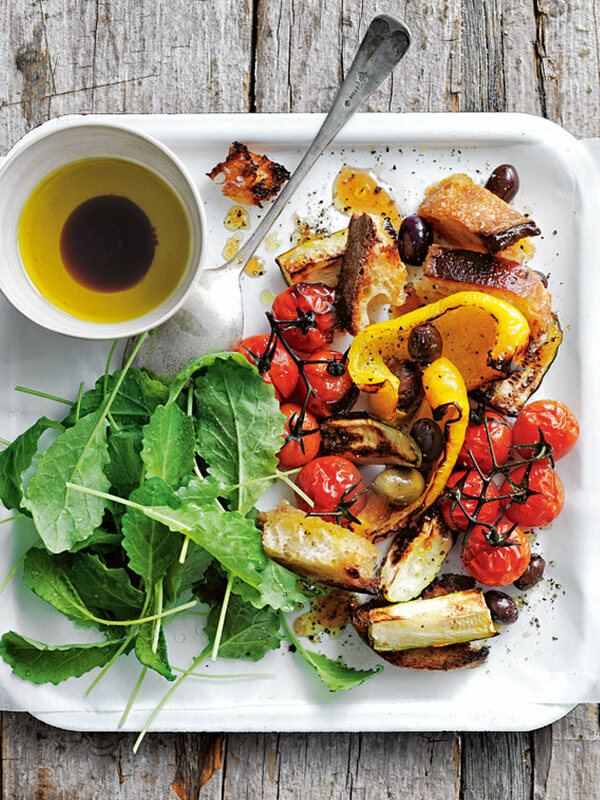 It's simple, it's quick and it's all in one pan. 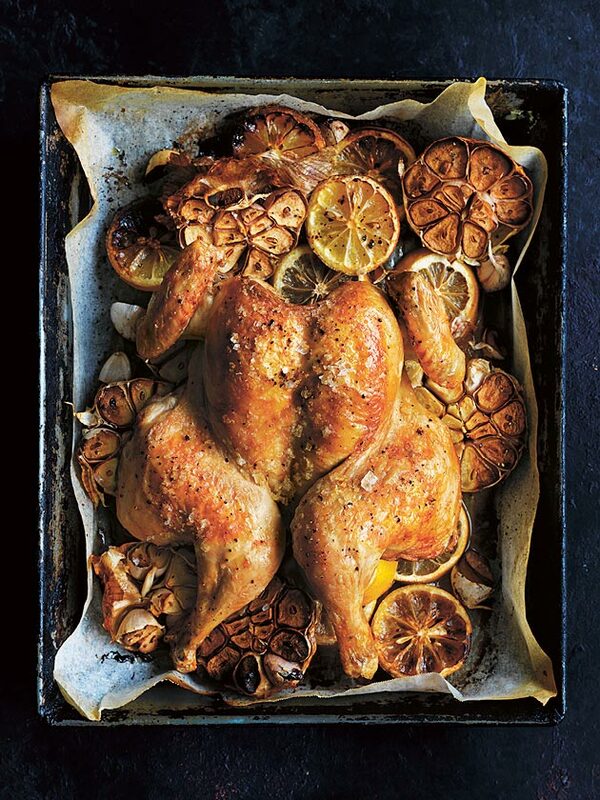 This butterflied chicken rests on sliced lemons, gently infusing the meat as it cooks. 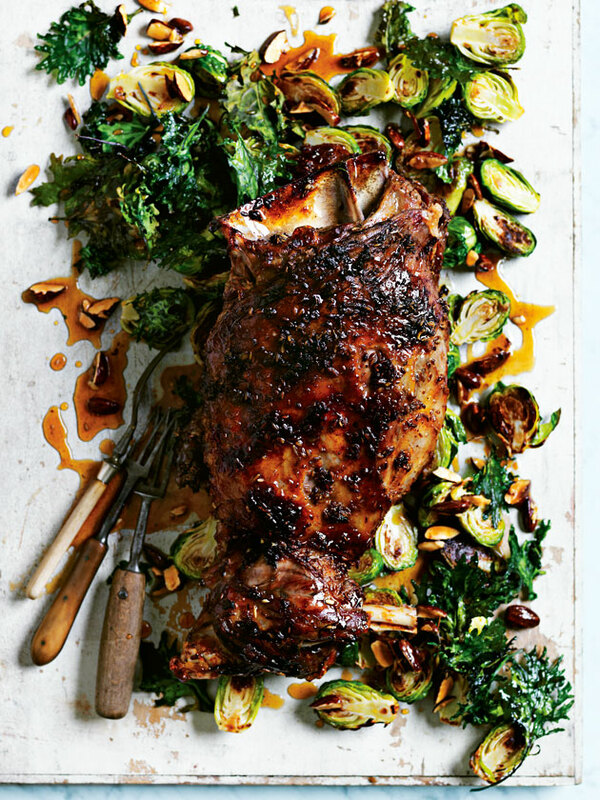 This roast is a mid-week staple in my house! 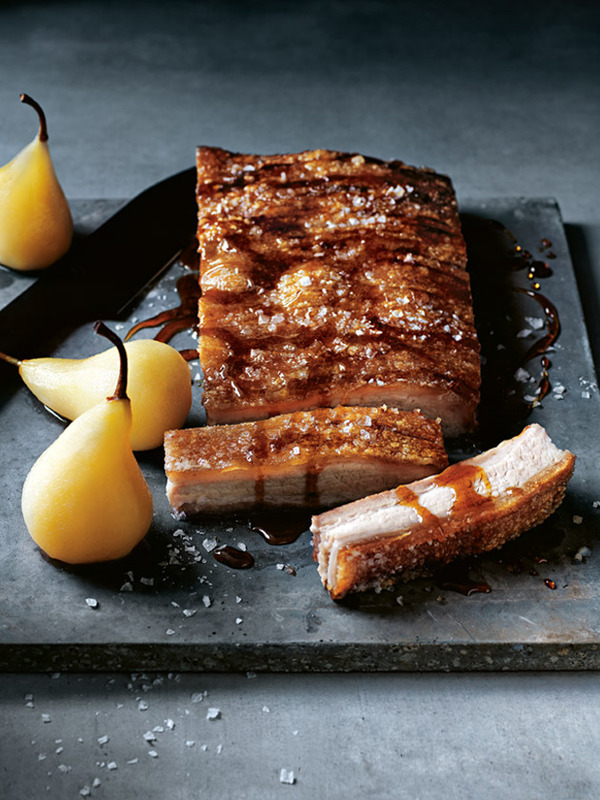 Who doesn't love a roast pork and pear combination! 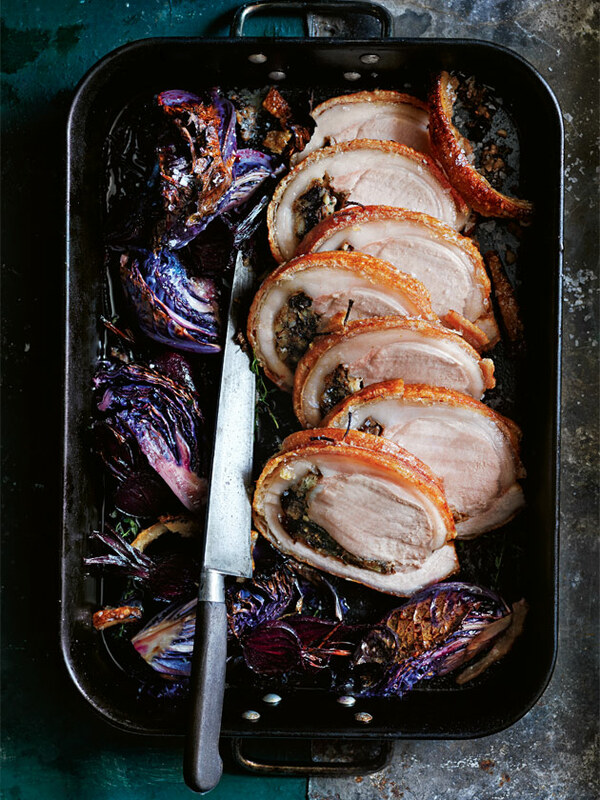 For a slice of Italy, drizzle your crispy pork with lashings of vincotto – made of grapes, it cuts through the richness of the pork. As delicious as it is impressive, if you want to wow your guests with seafood on this will do the trick! 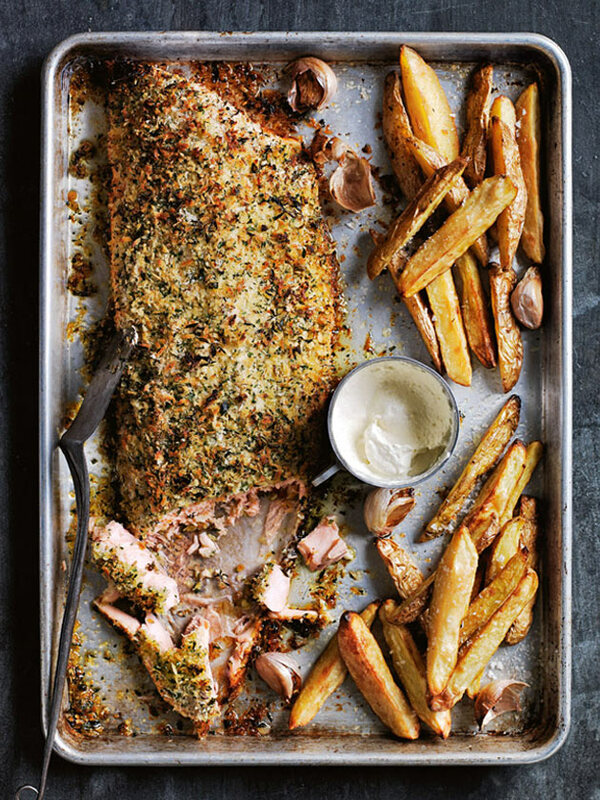 Just add a simple crumb topping to a fresh salmon fillet add some tender potato chips and roast away. 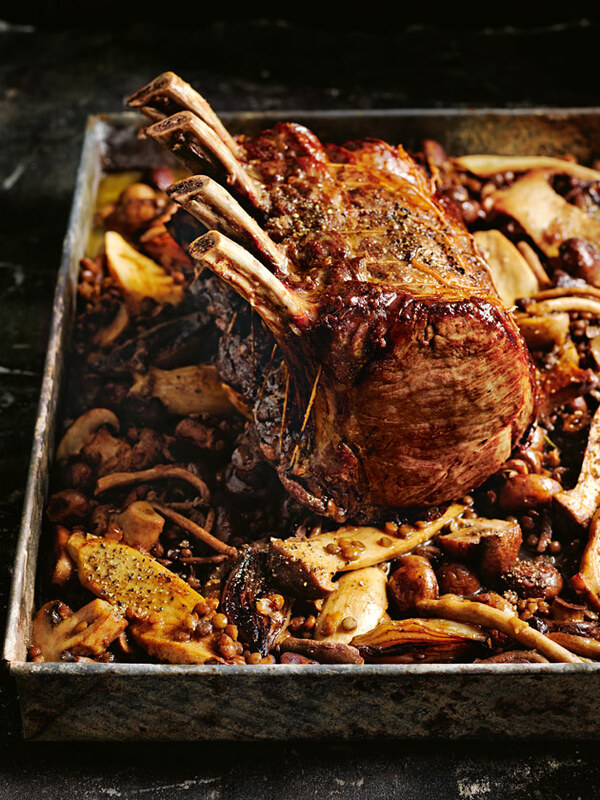 This easy one-tray dish is my go-to when I want to cook a roast with minimum effort and maximum flavour. The bed of chorizo and mushroom really gives it that rich taste. Prunes are my secret weapon to giving roast pork that hint of sweetness. A flavourful dish so tender and juicy, I guarantee you'll come back for seconds! Not a traditional roast I hear you say, but the addition of some bold-flavoured mustard makes this a chicken dinner that packs a punch. 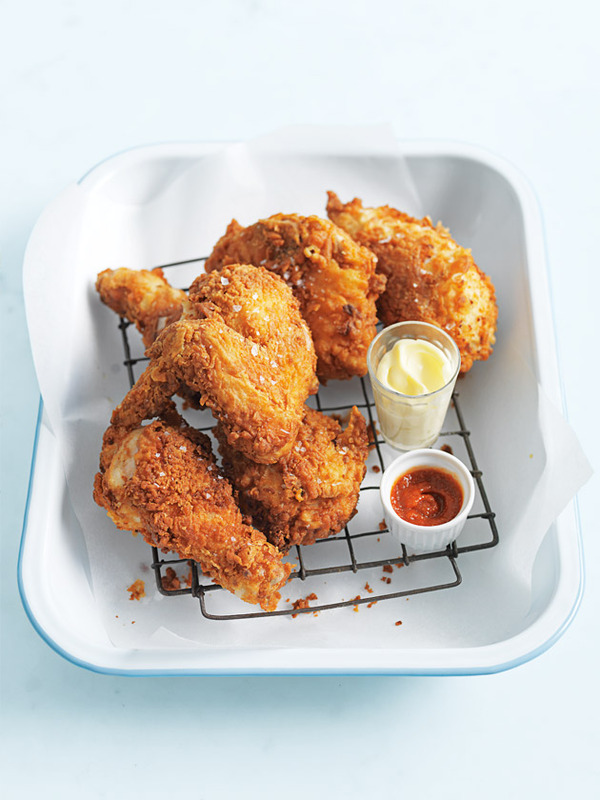 ​I can never resist a piece of crunchy and golden fried chicken, and, as with most things deep-fried, it tastes even better when you make it fresh at home! 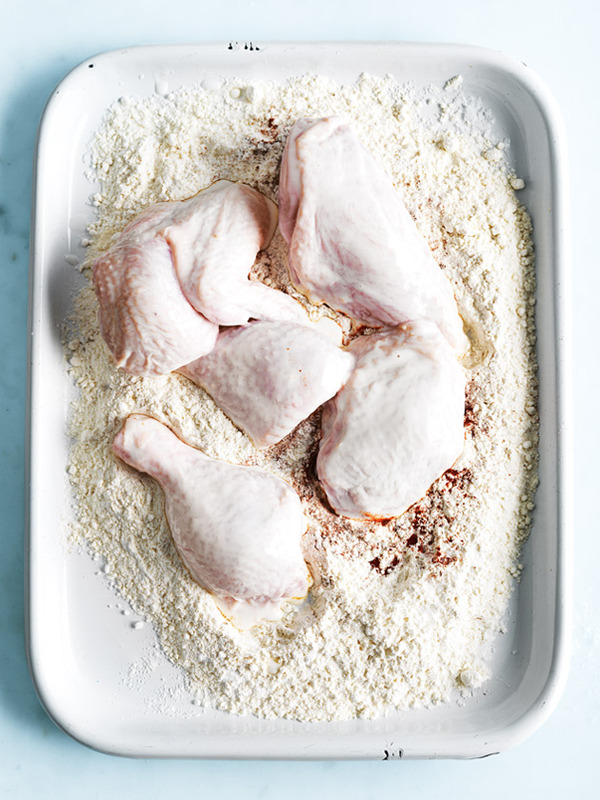 My southern-style recipe creates a perfectly balanced bite; soaking the chicken in buttermilk keeps the meat moist and juicy while the spicy flour mixture results in an impossibly crisp and flavourful skin.